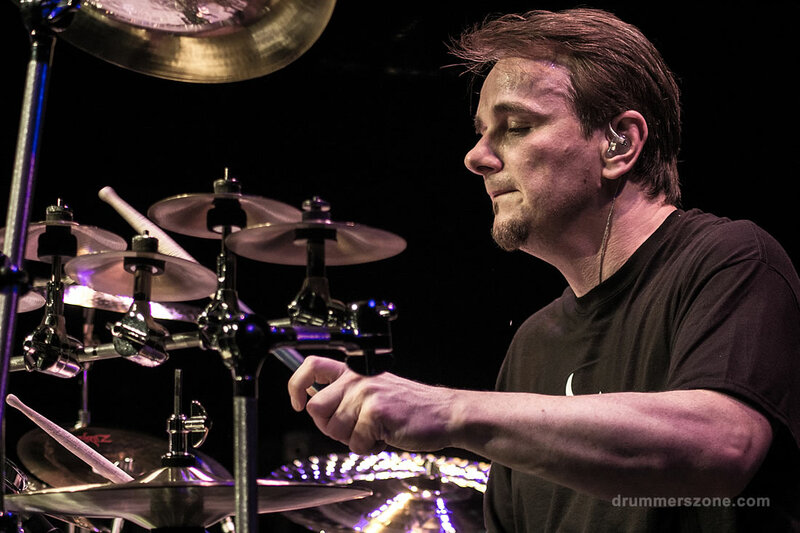 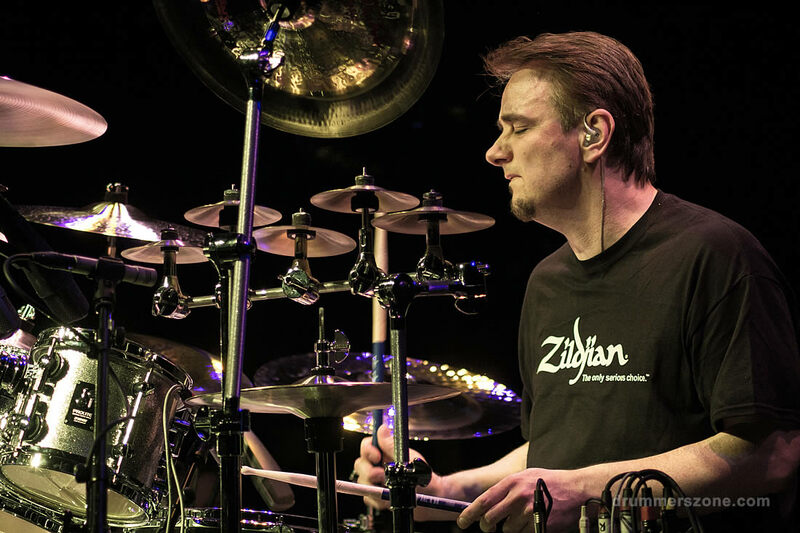 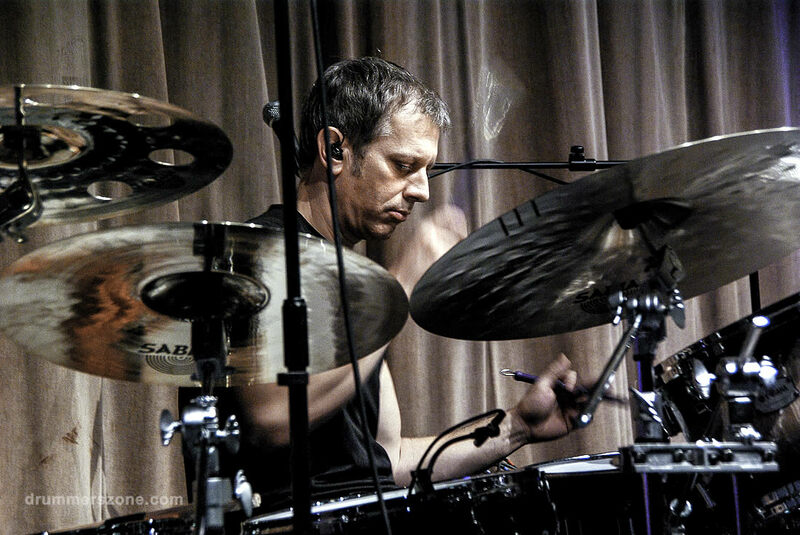 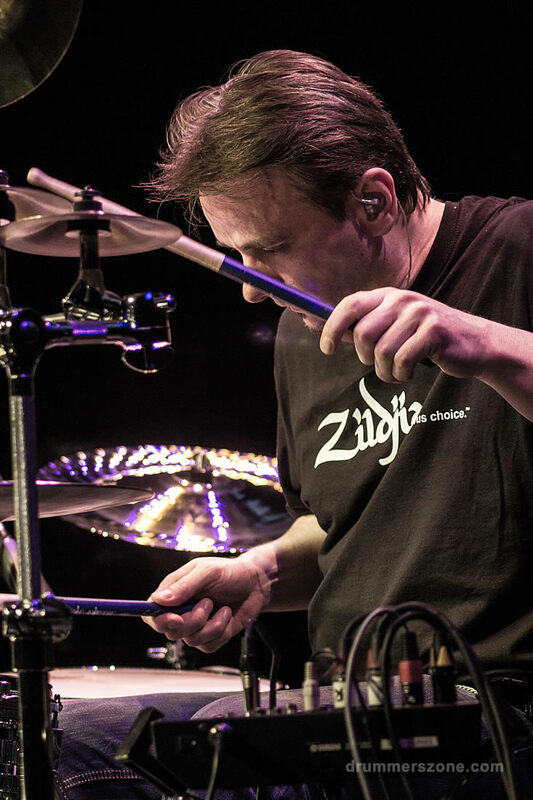 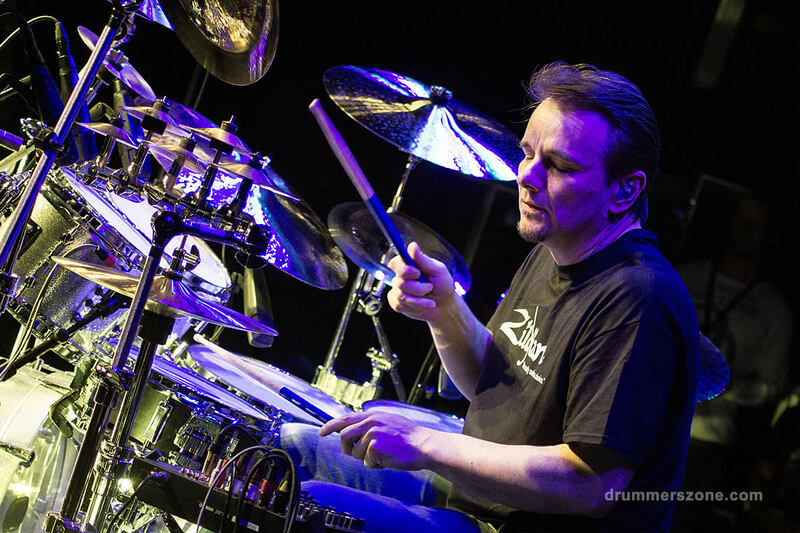 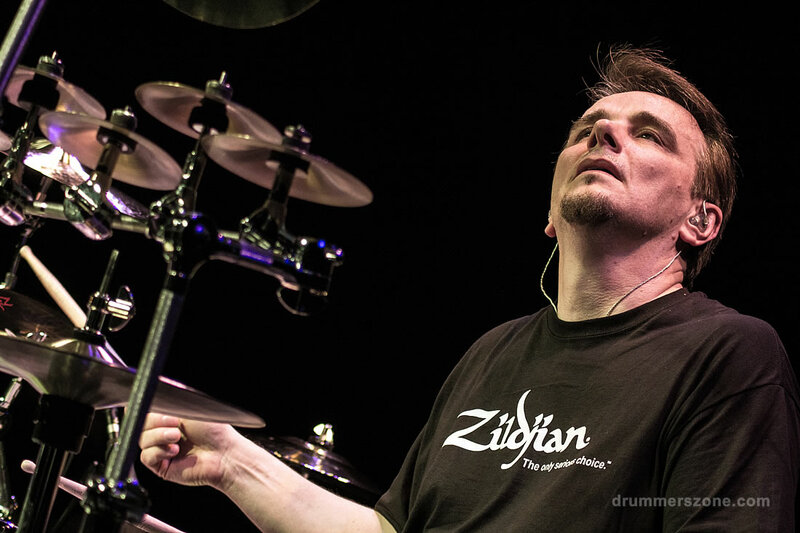 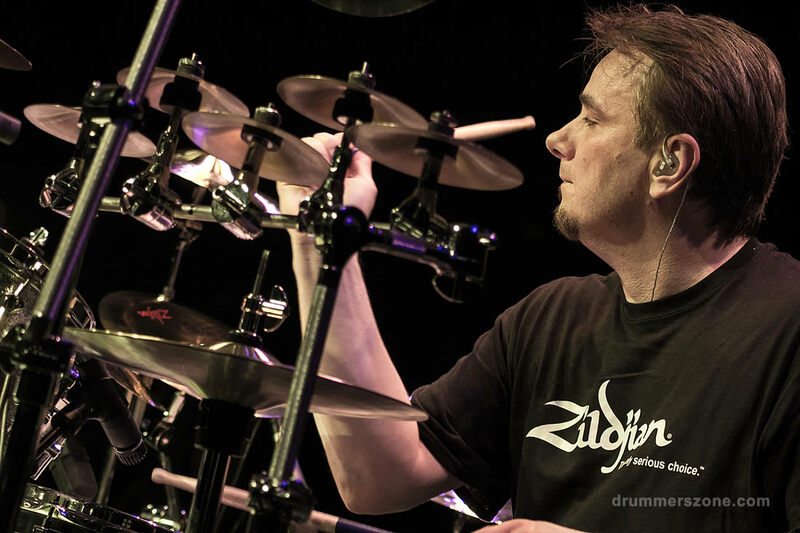 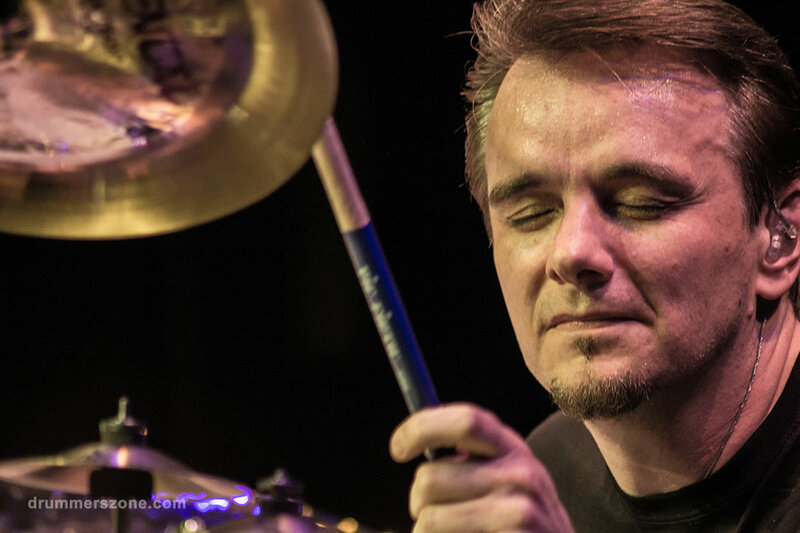 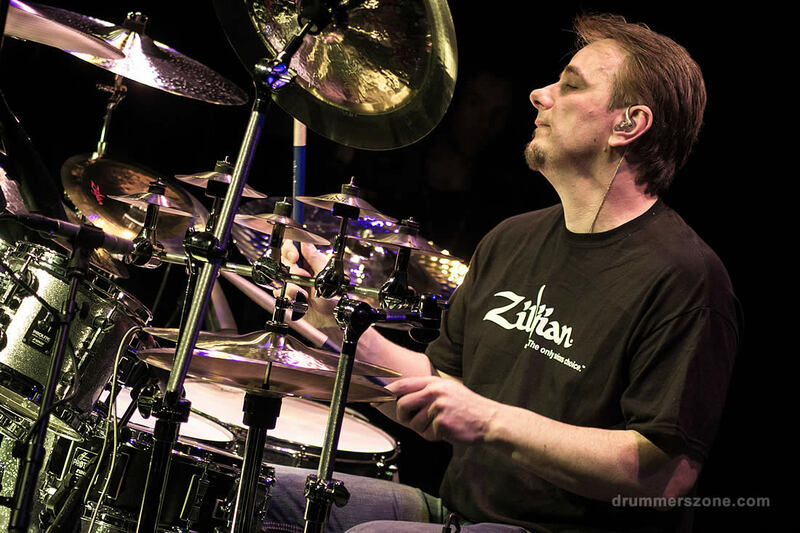 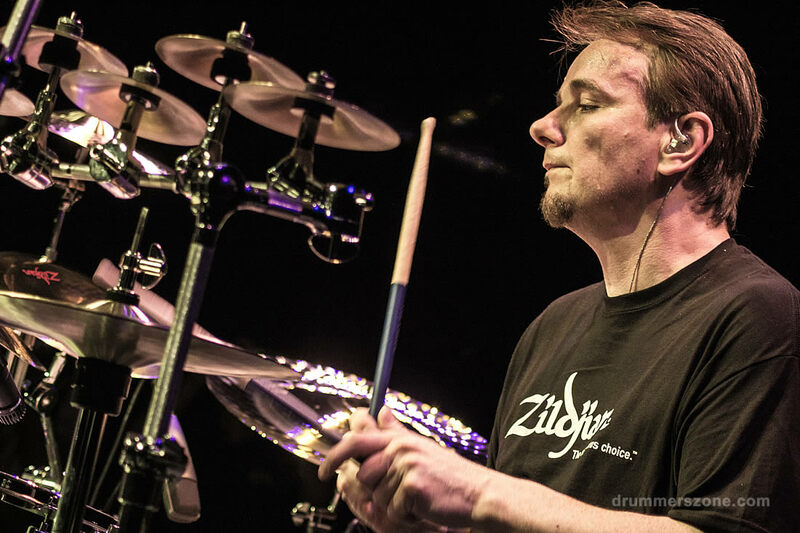 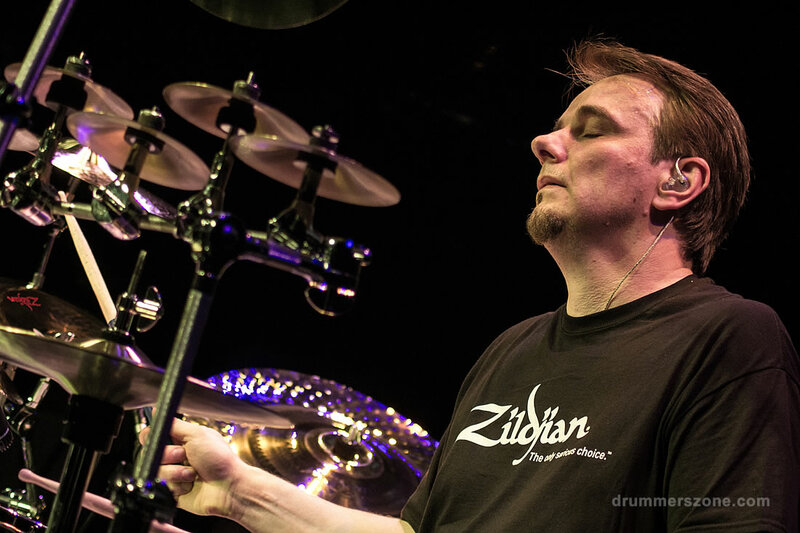 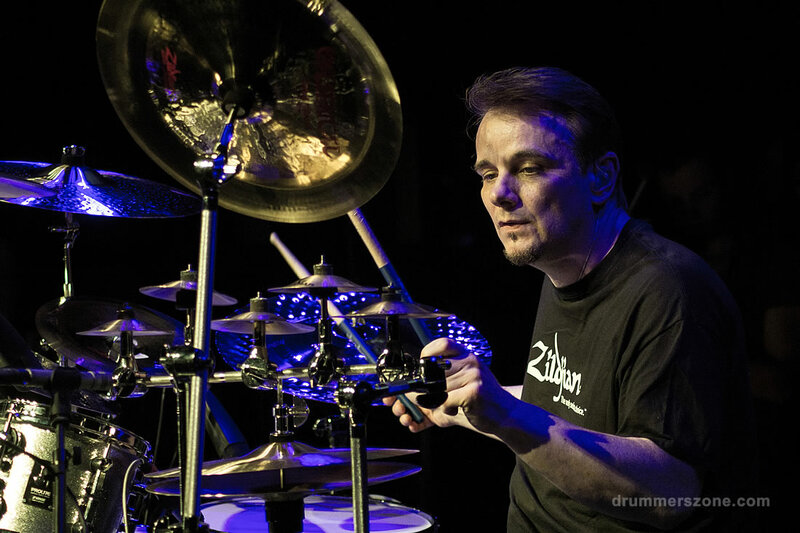 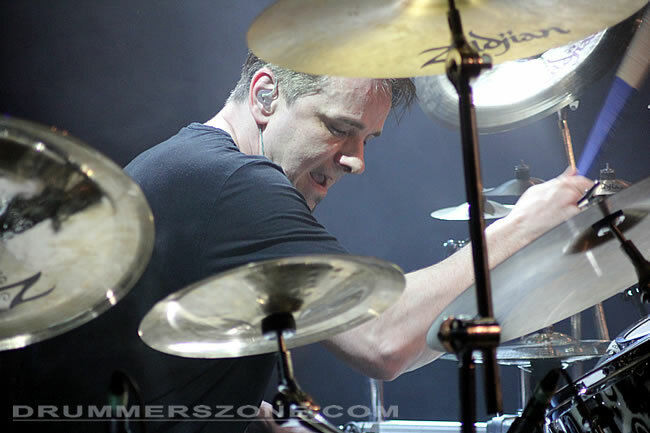 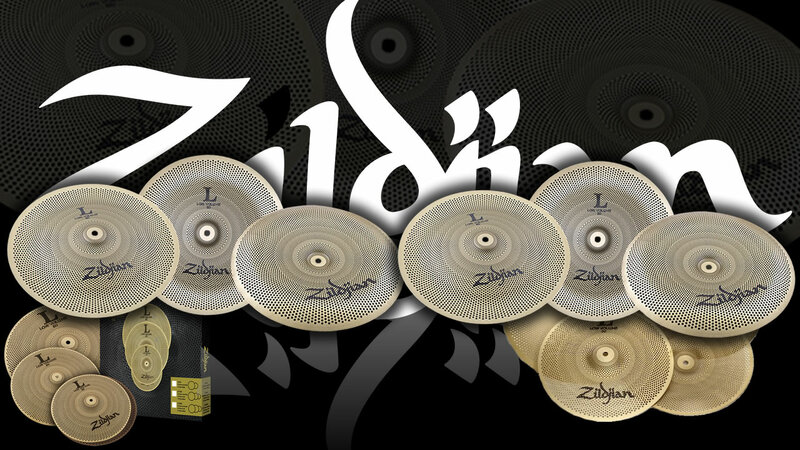 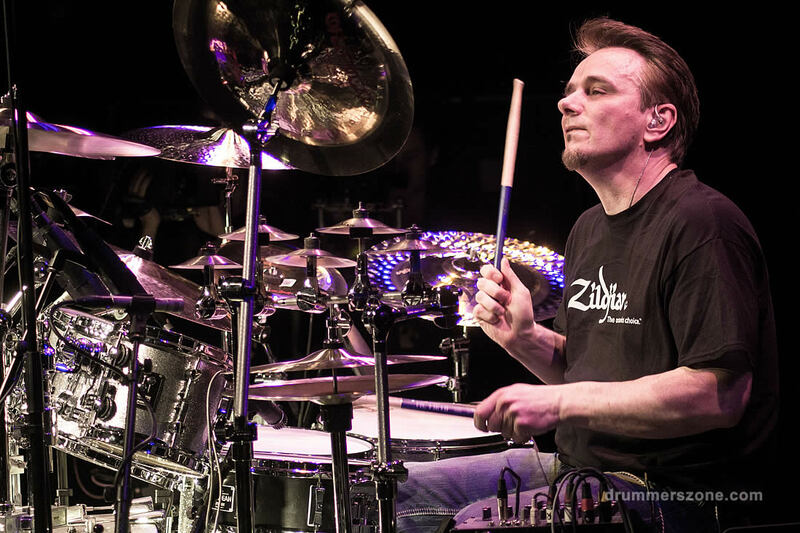 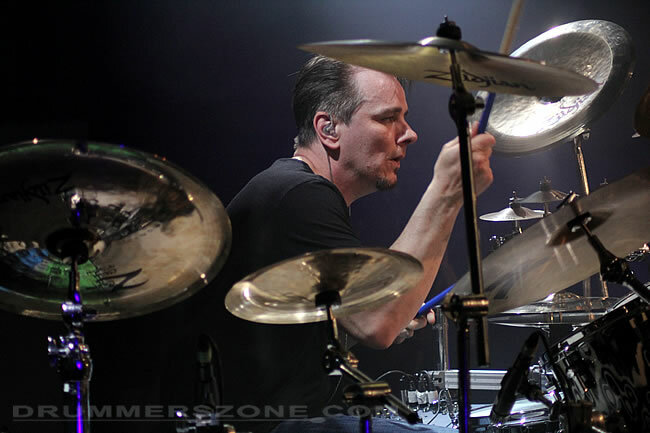 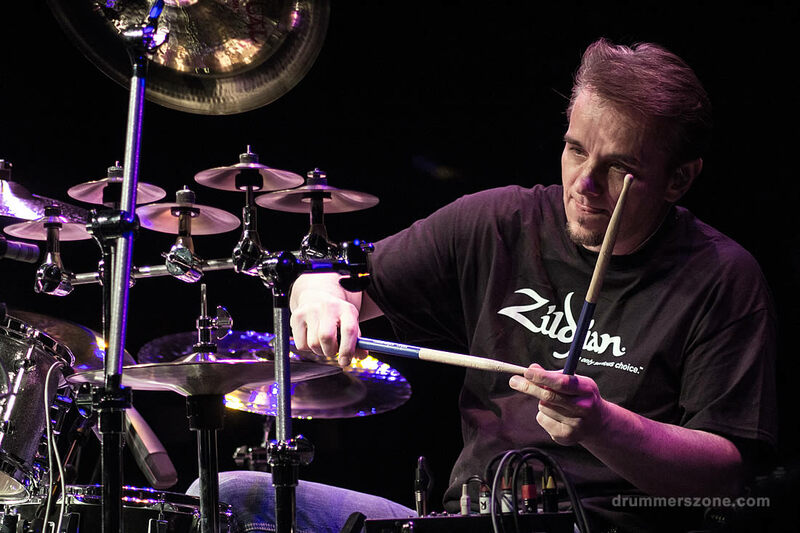 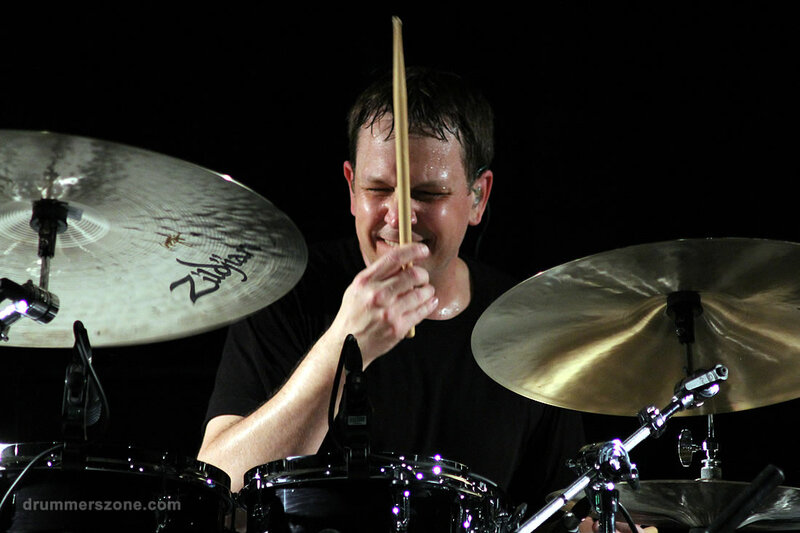 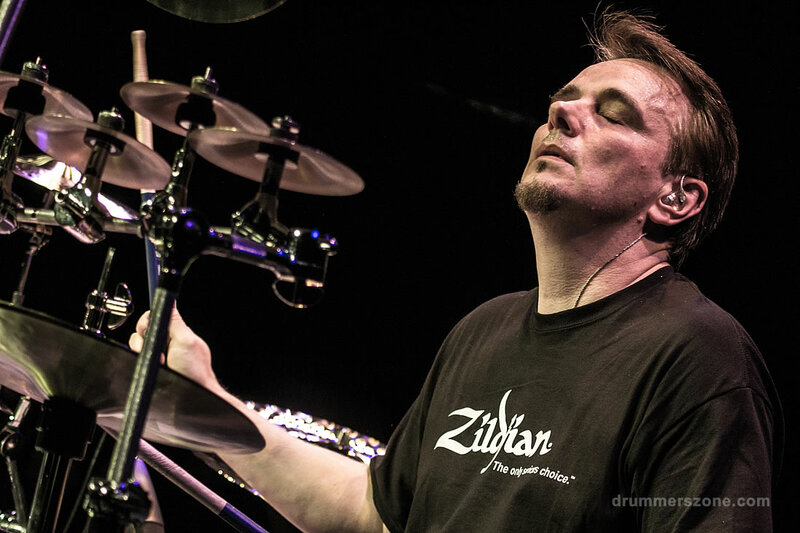 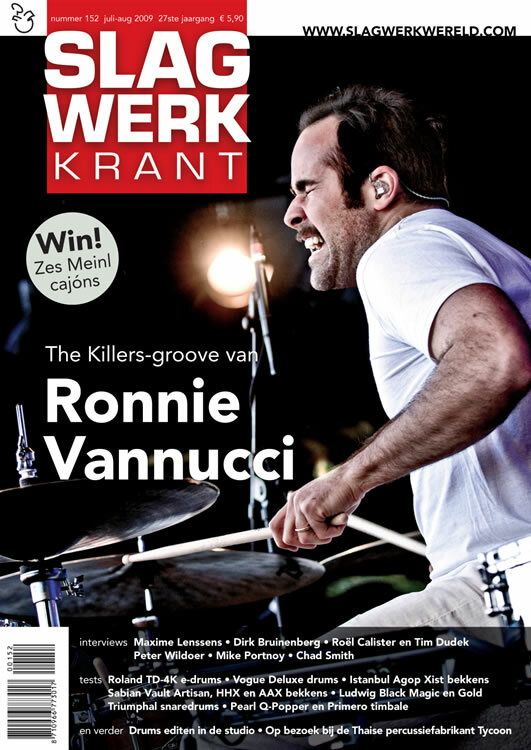 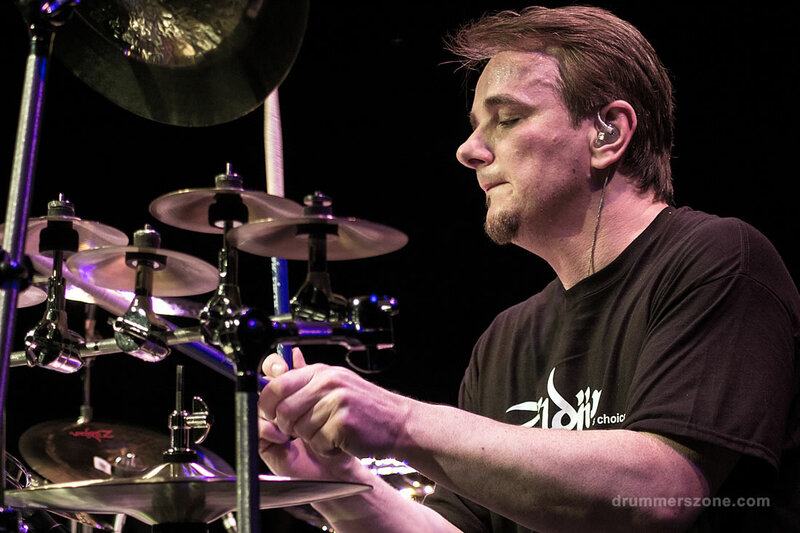 Gavin Harrison performing at the Zildjian Day 2014 in Dordrecht, The Netherlands. 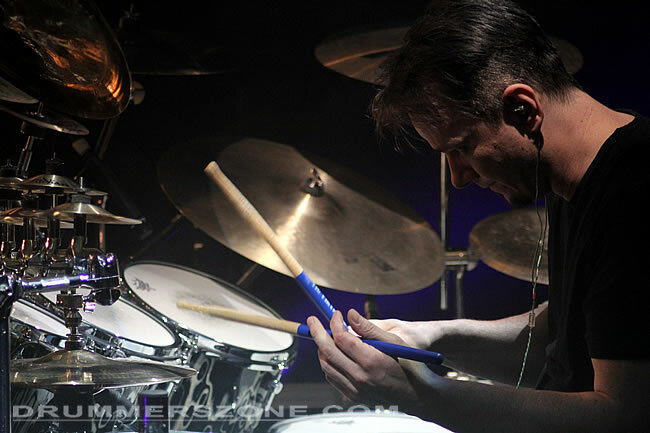 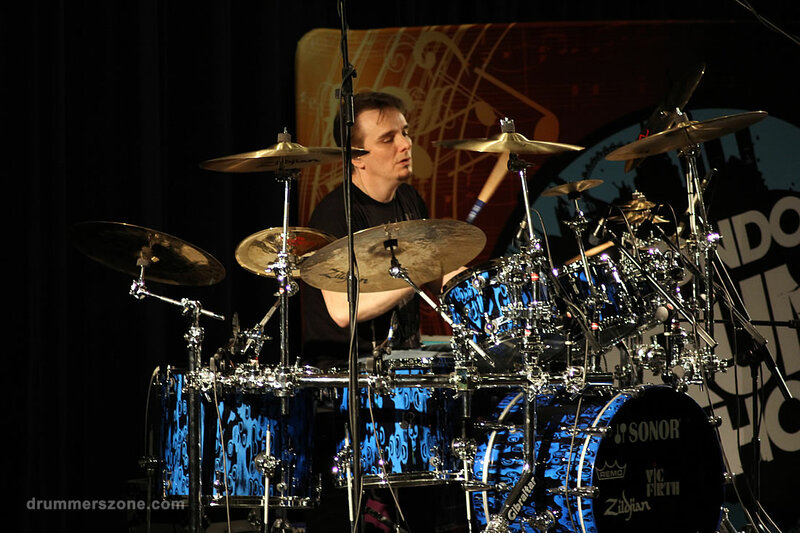 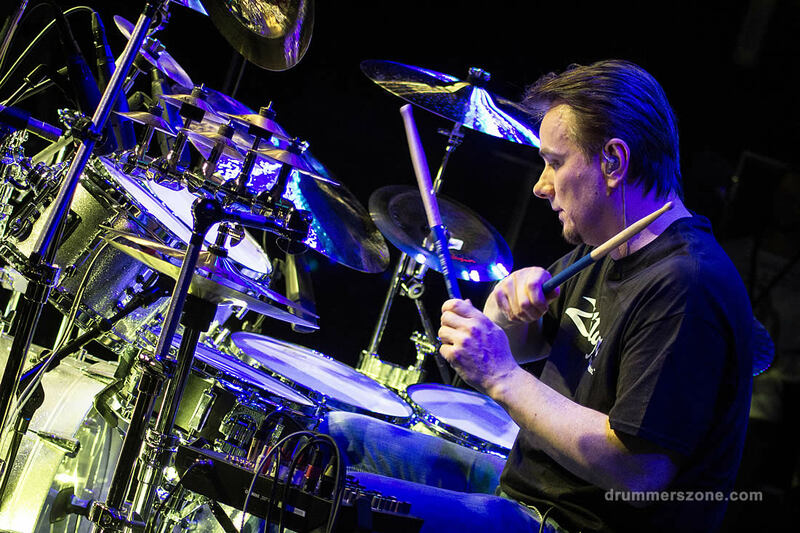 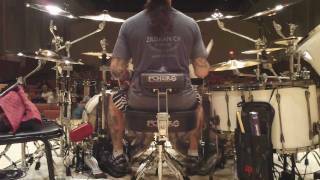 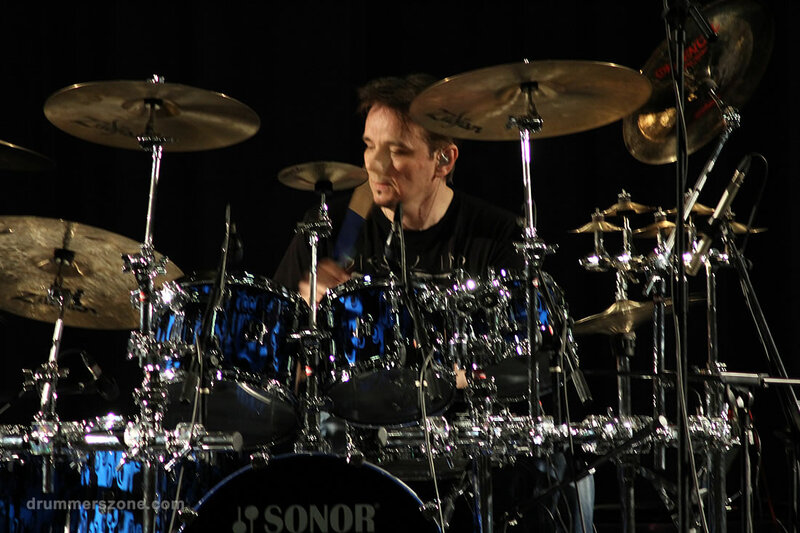 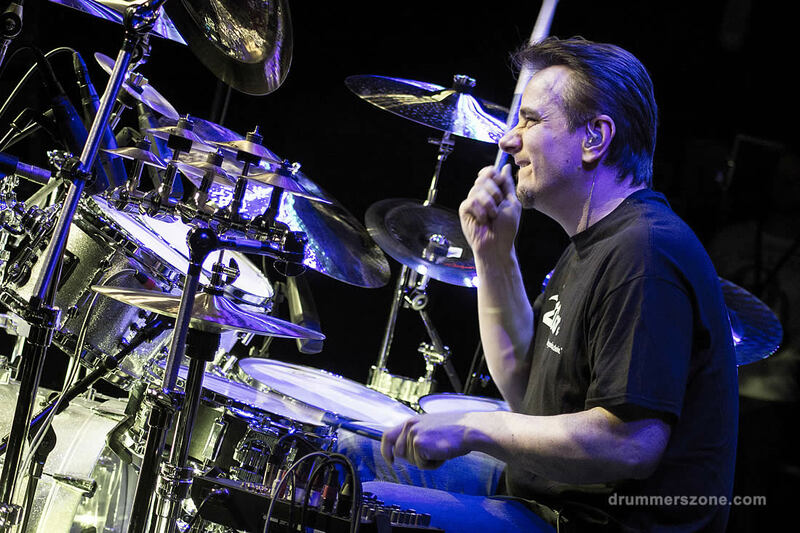 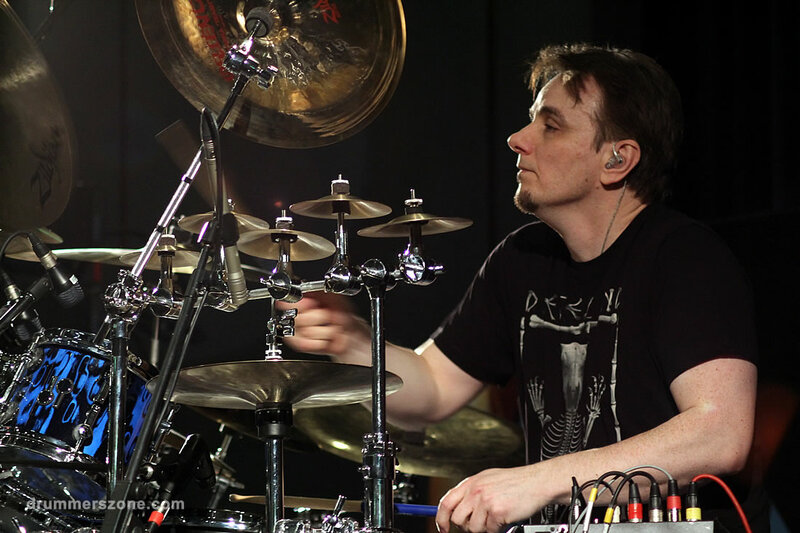 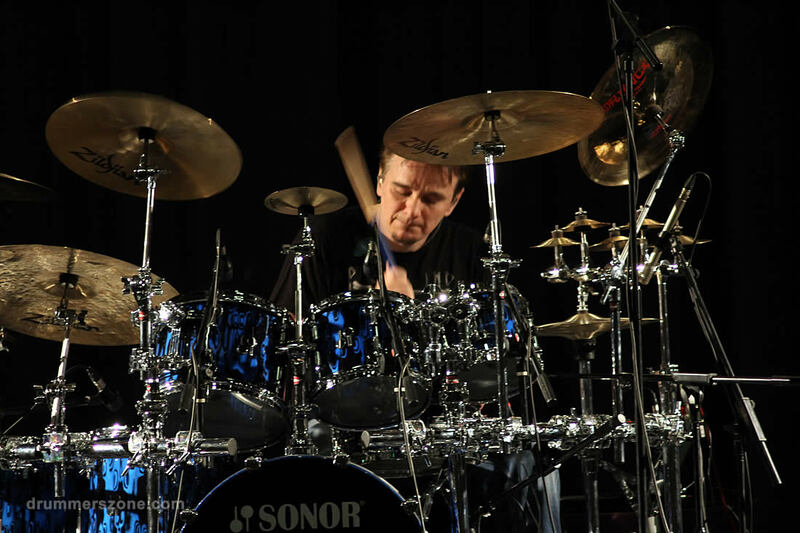 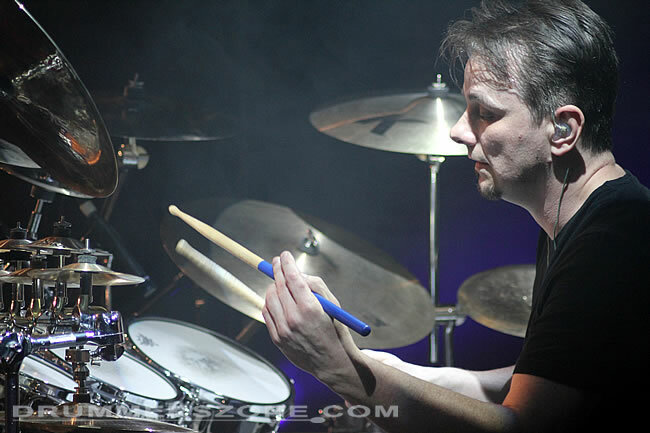 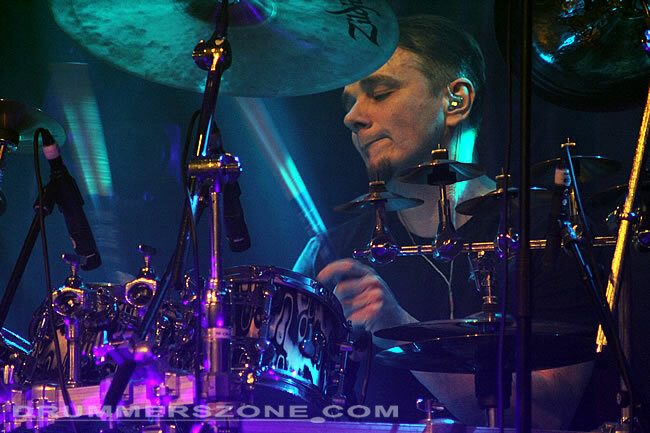 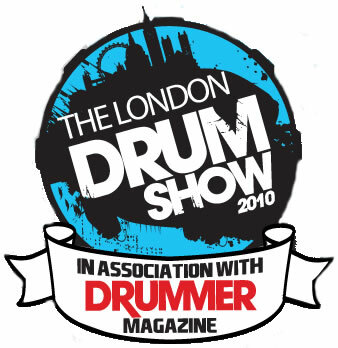 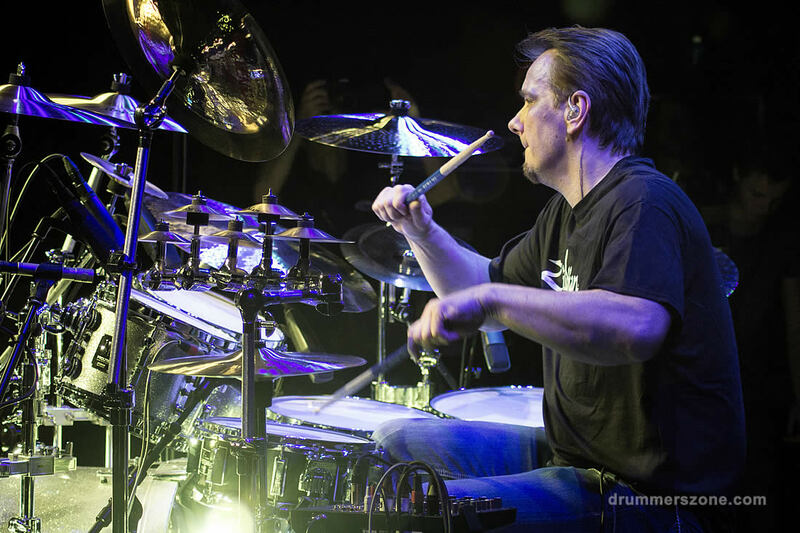 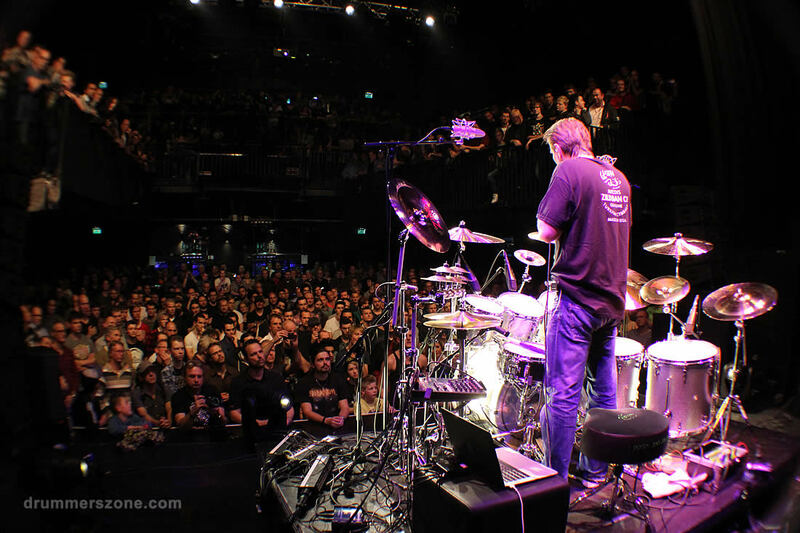 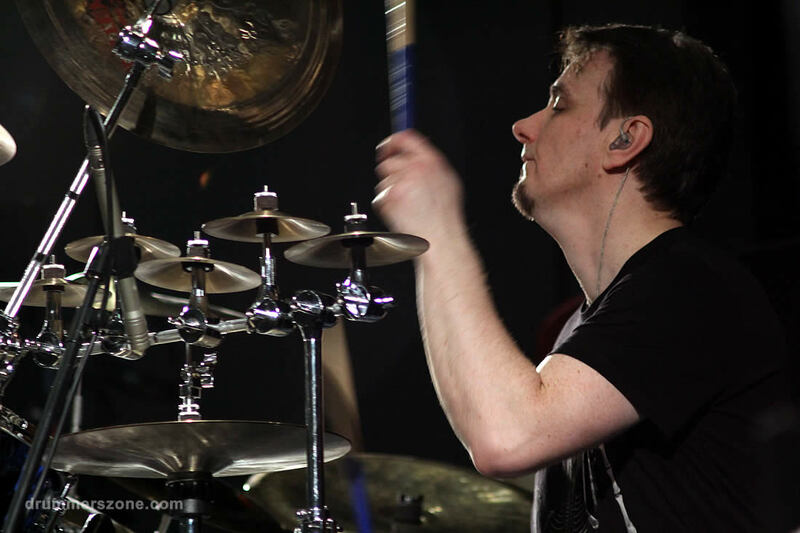 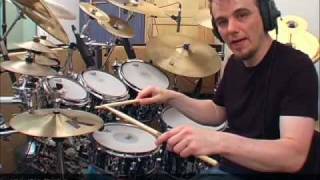 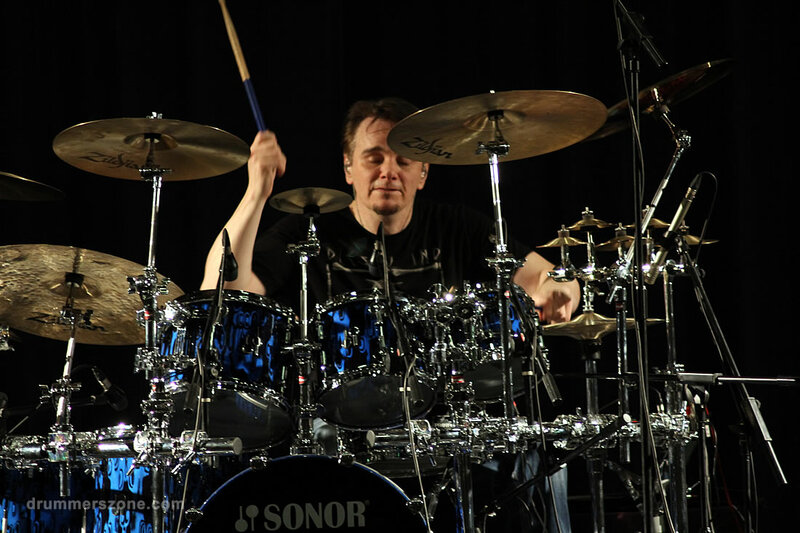 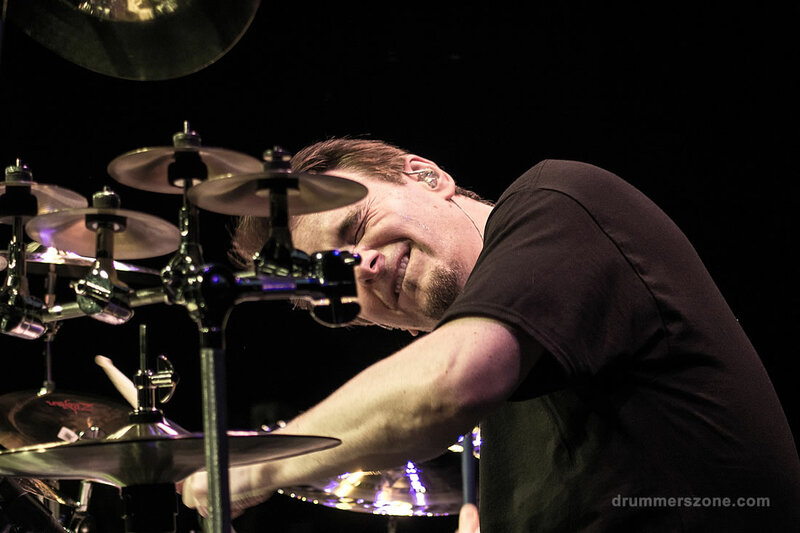 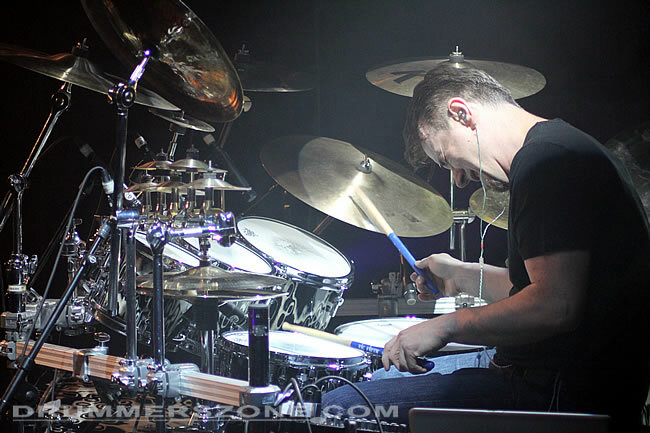 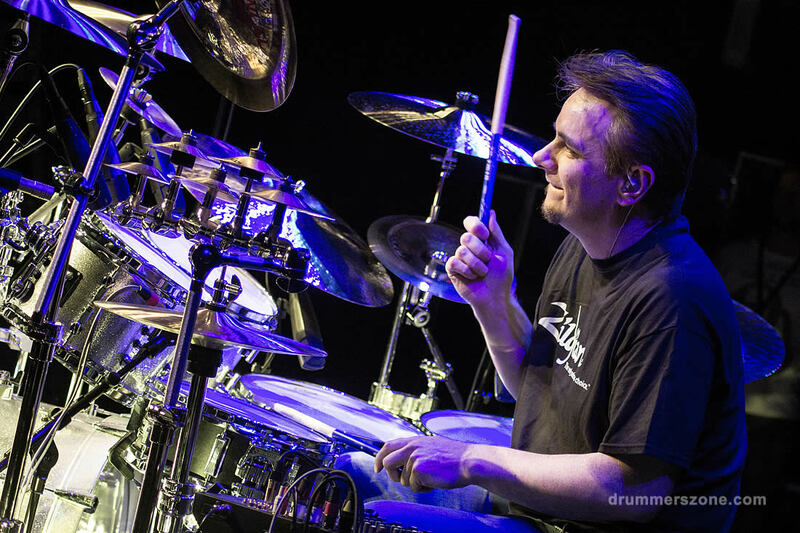 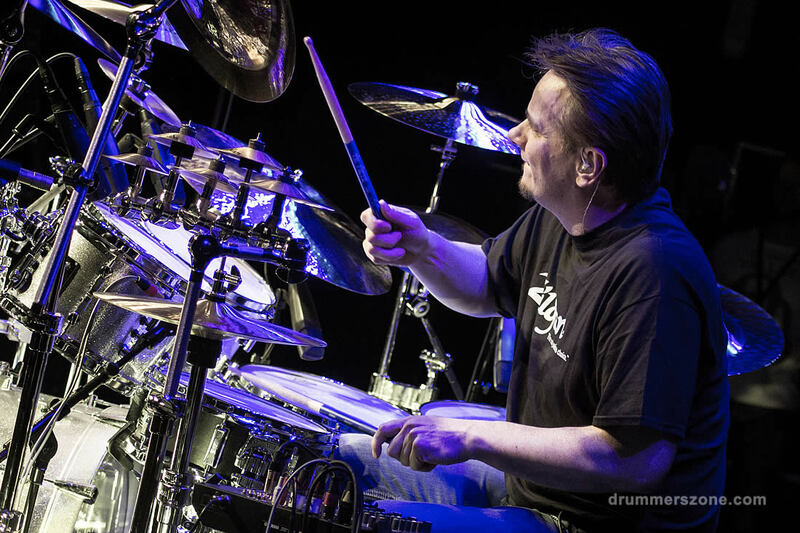 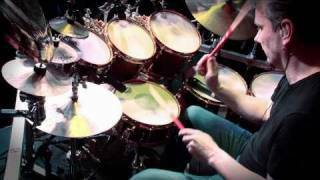 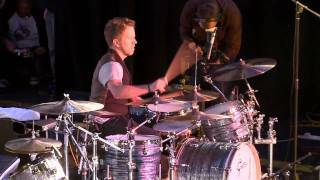 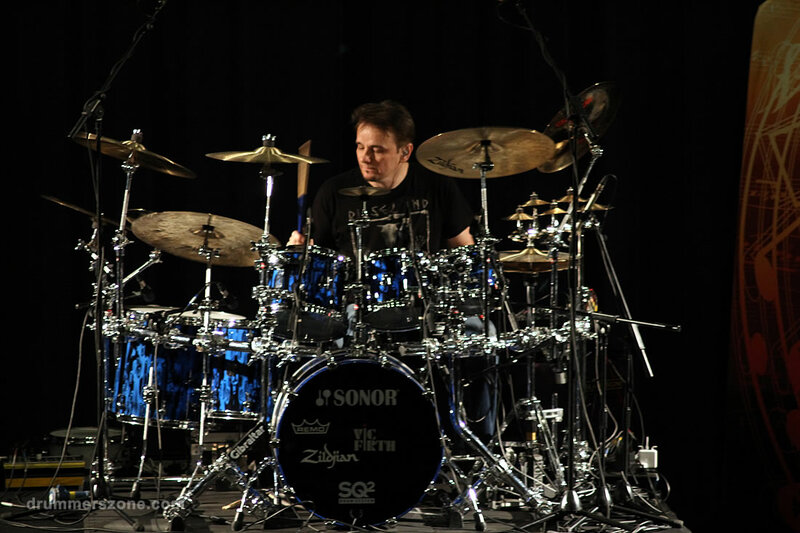 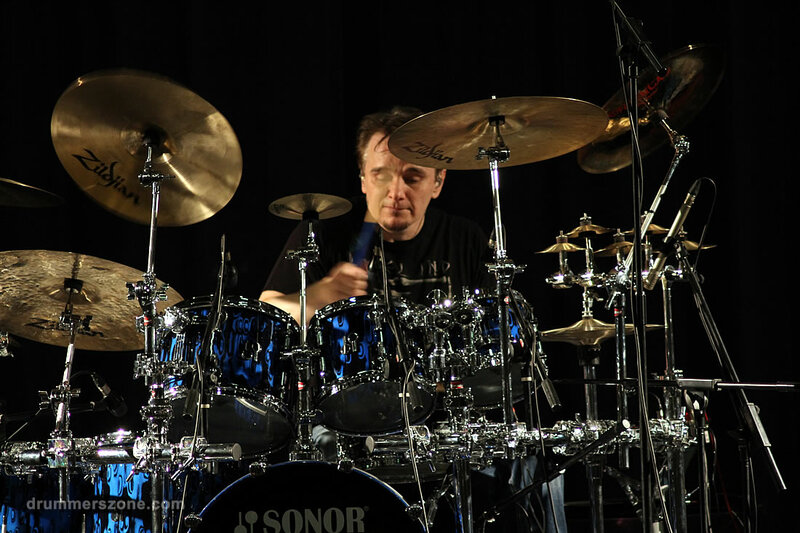 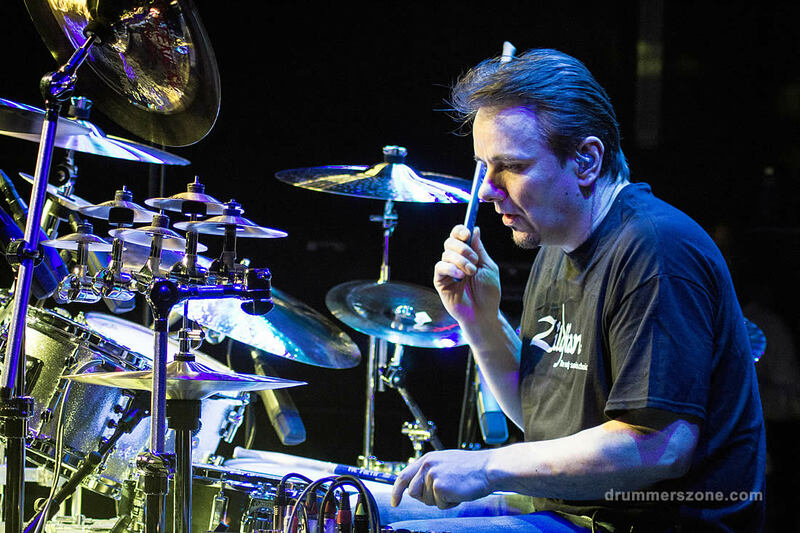 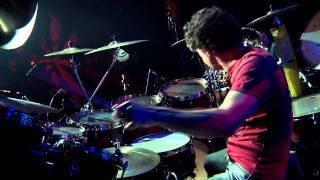 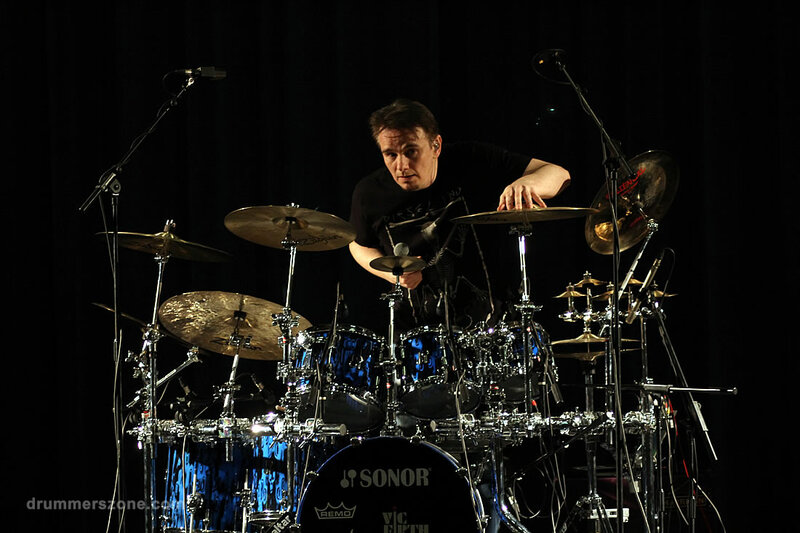 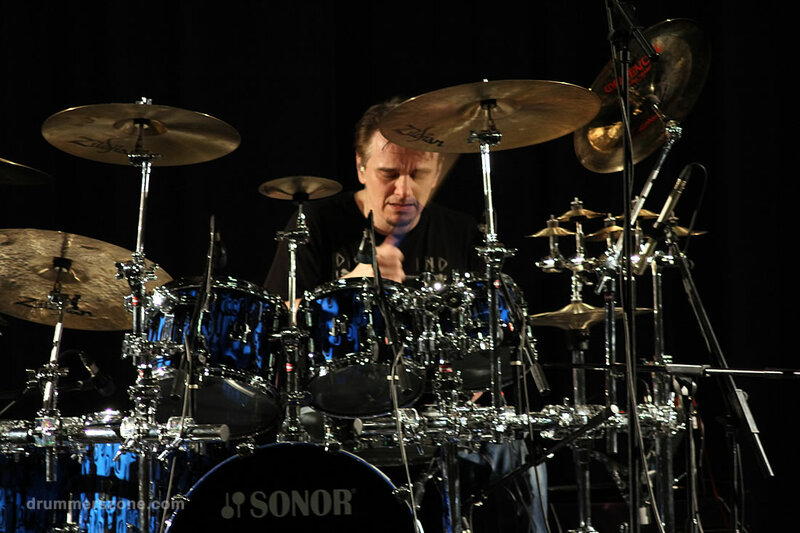 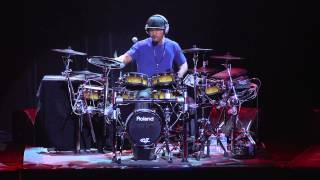 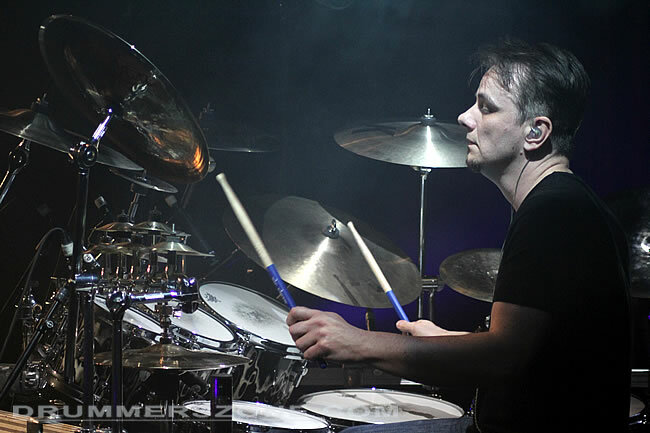 Gavin Harrison performing at the London Drum Show 2014. 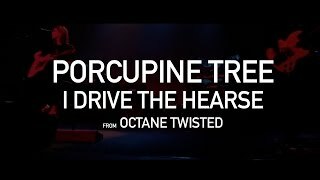 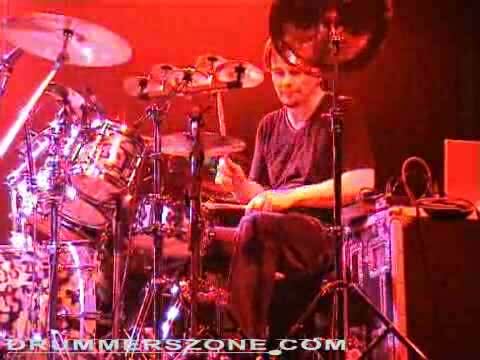 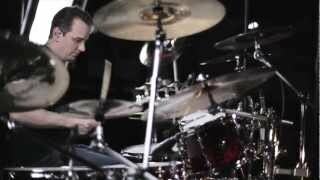 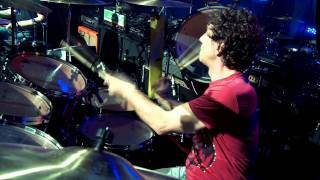 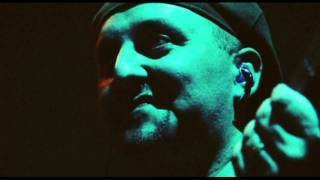 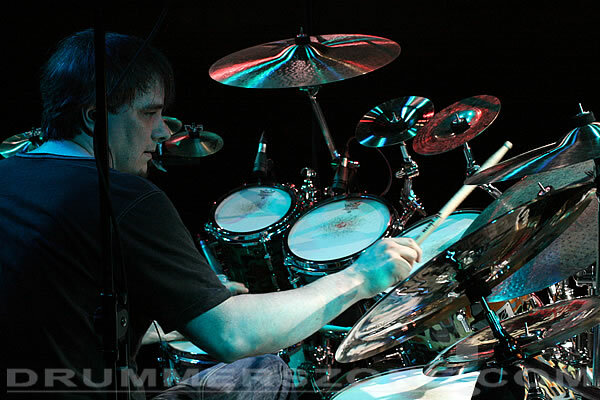 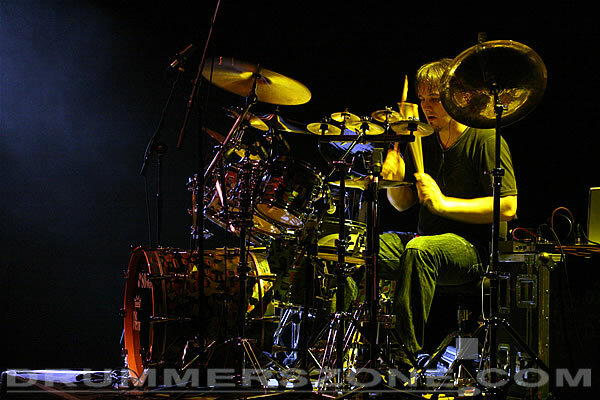 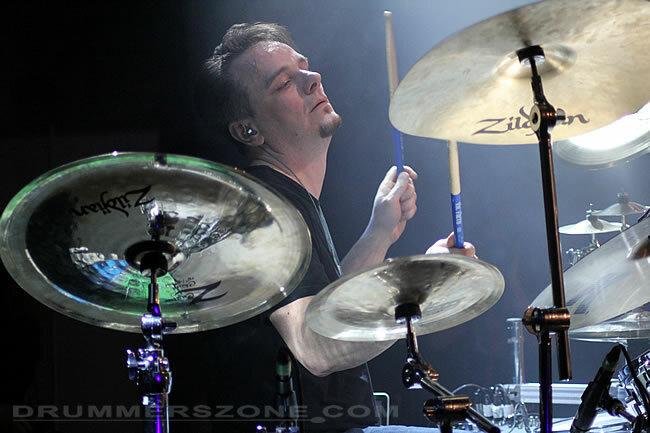 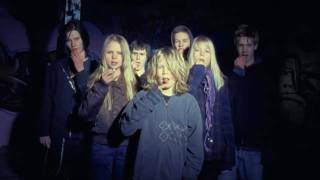 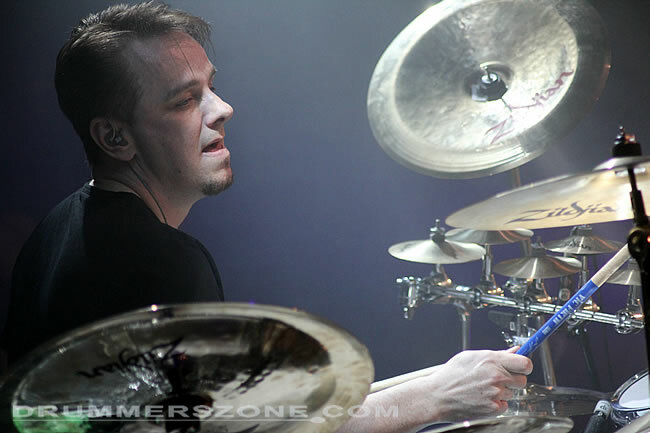 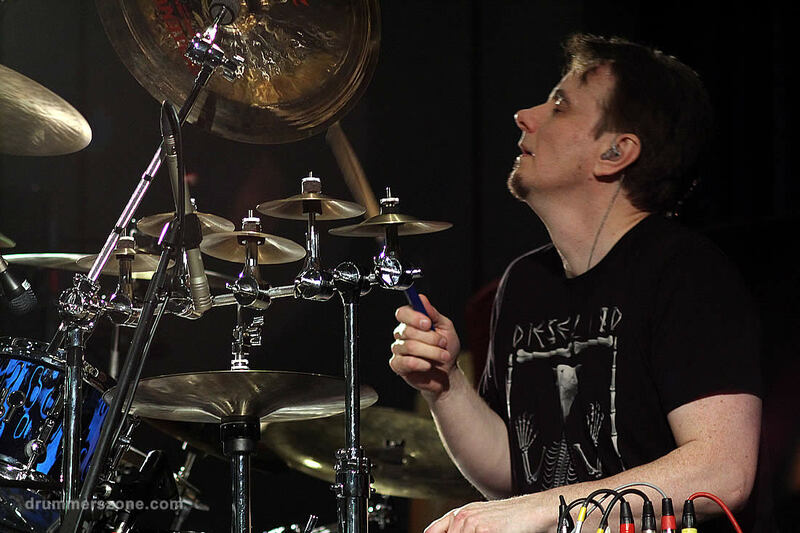 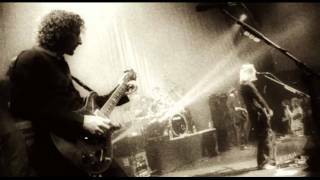 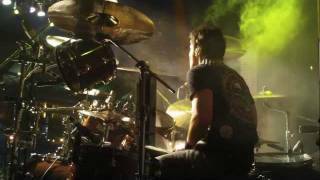 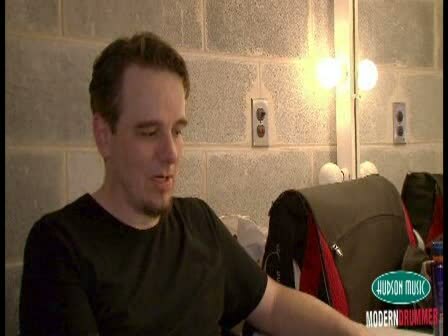 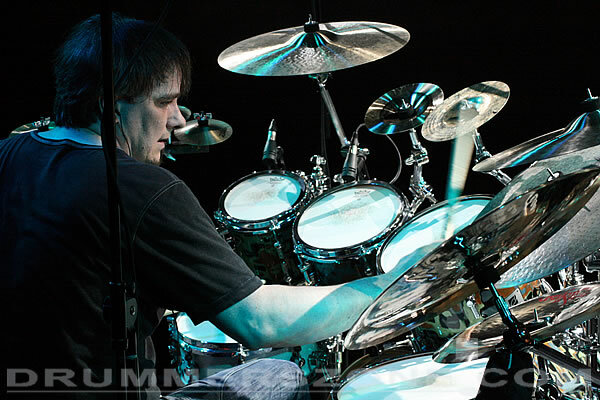 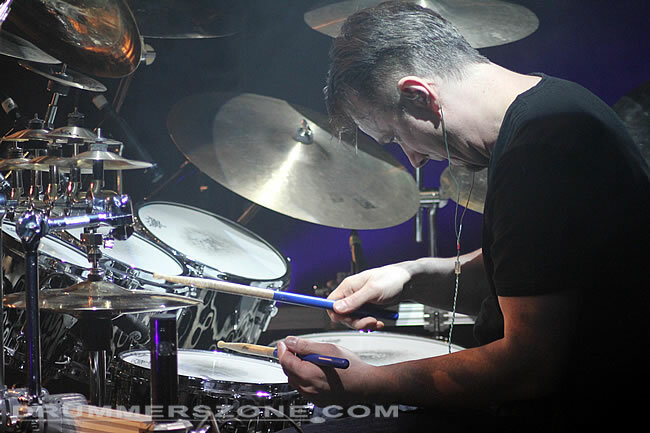 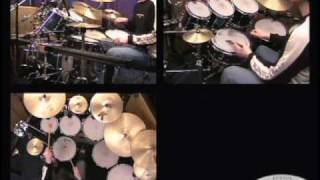 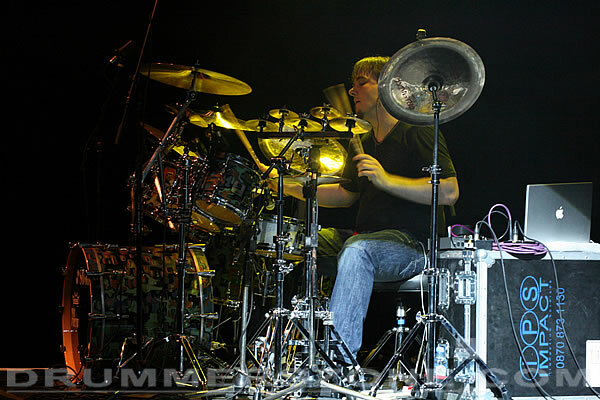 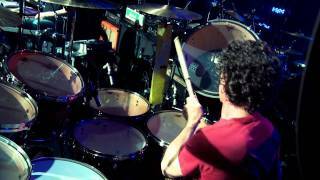 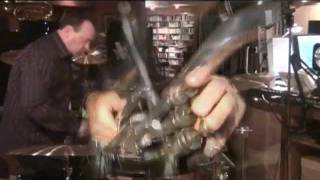 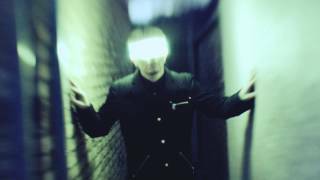 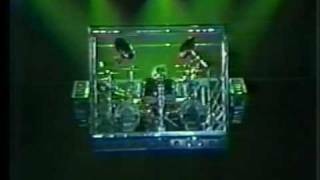 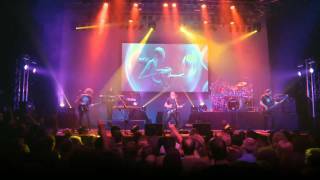 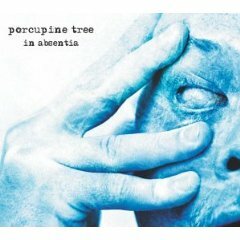 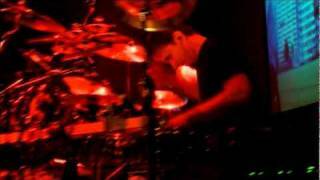 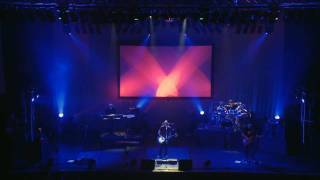 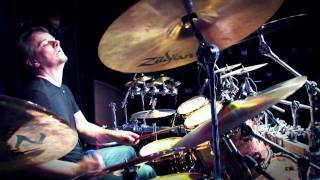 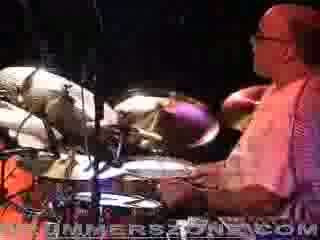 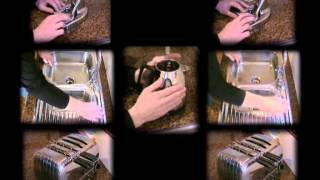 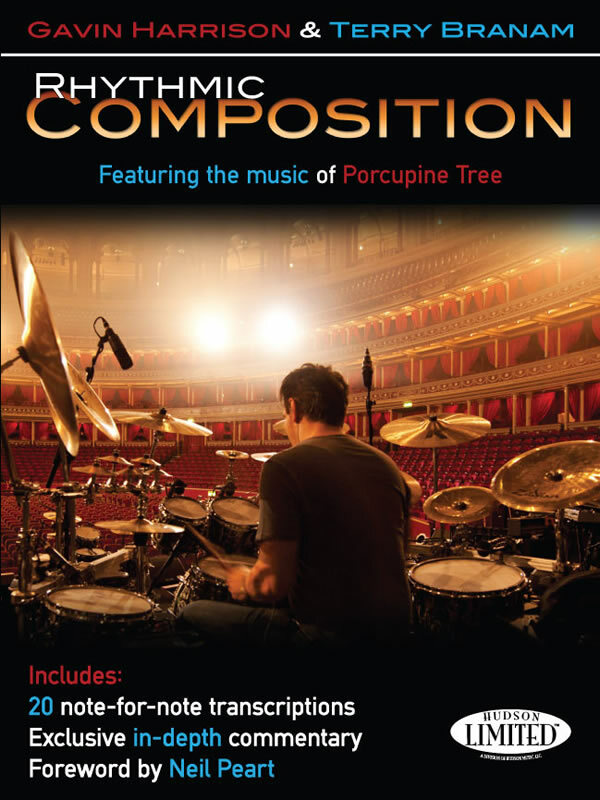 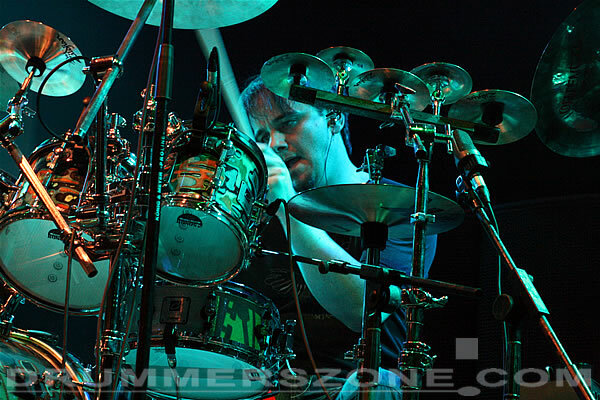 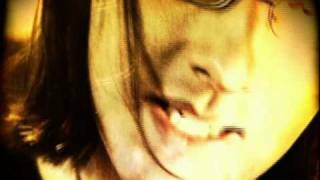 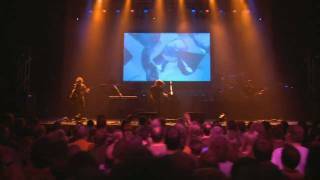 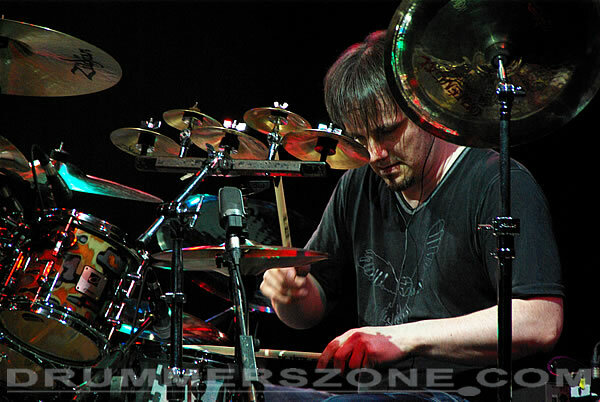 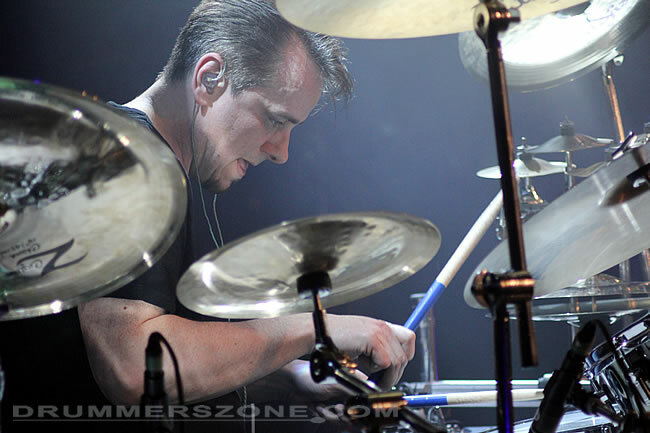 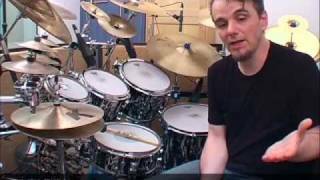 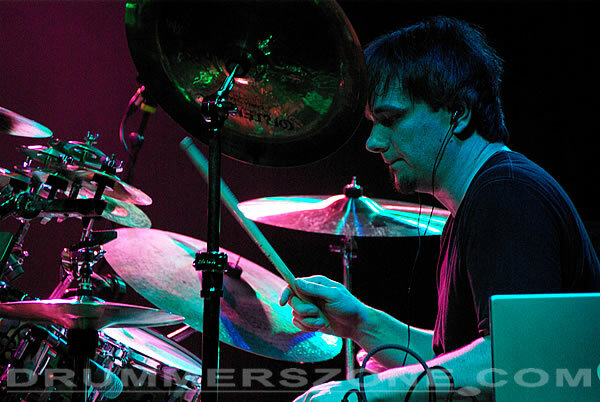 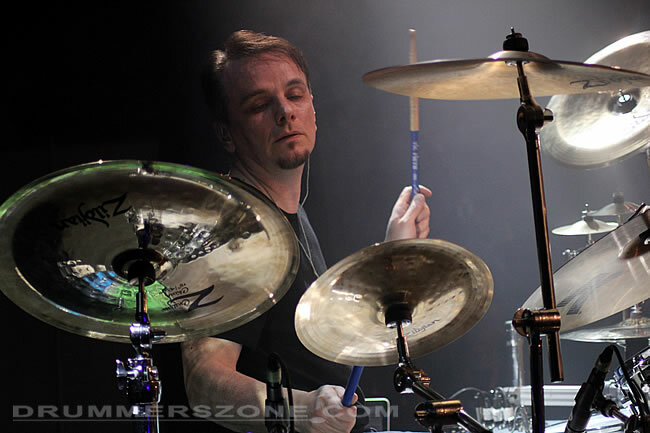 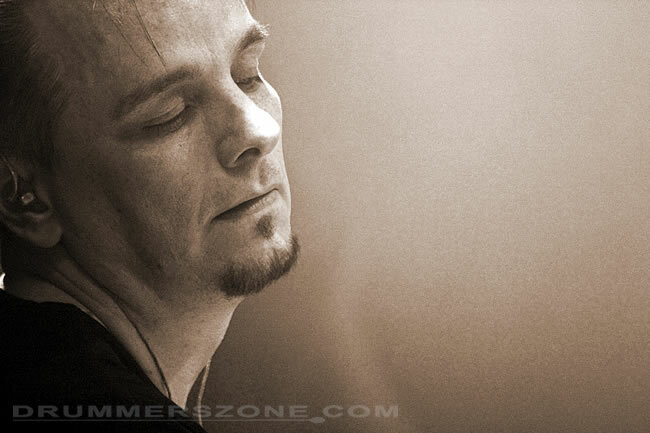 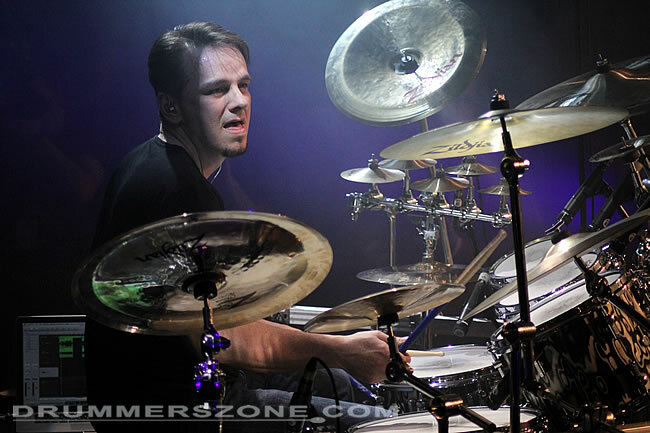 Gavin Harrison plays drums with Porcupine Tree. 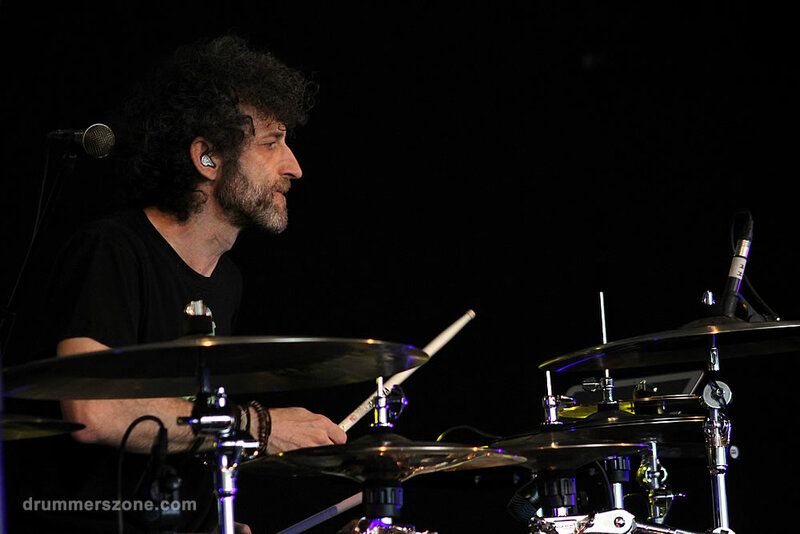 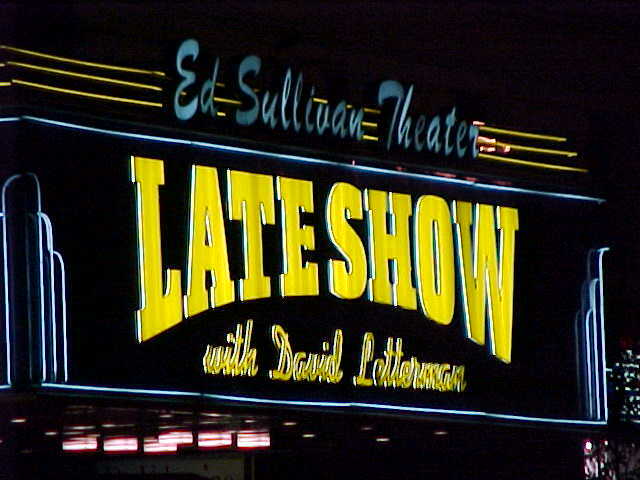 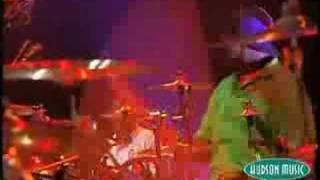 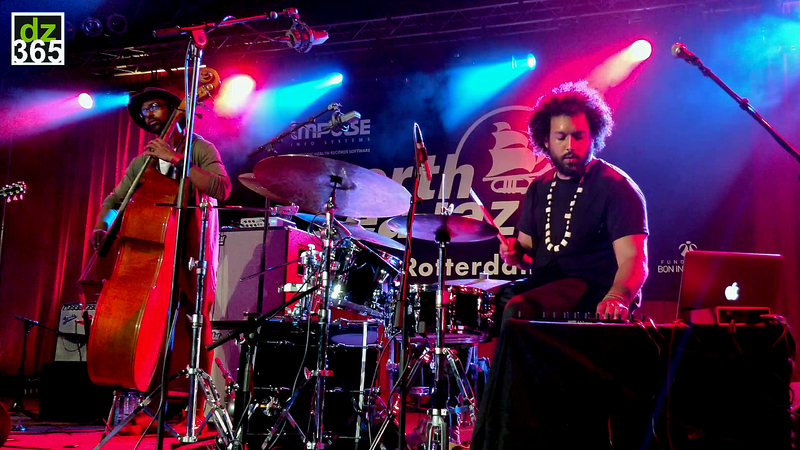 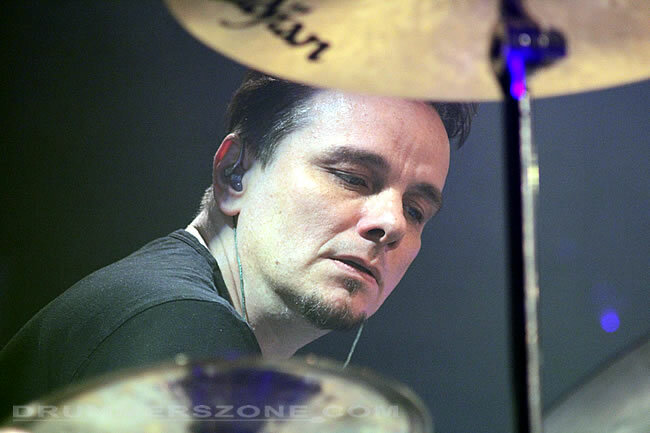 He replaced Chris Maitland after the release of the album "Lightbulb Sun" in 2002. 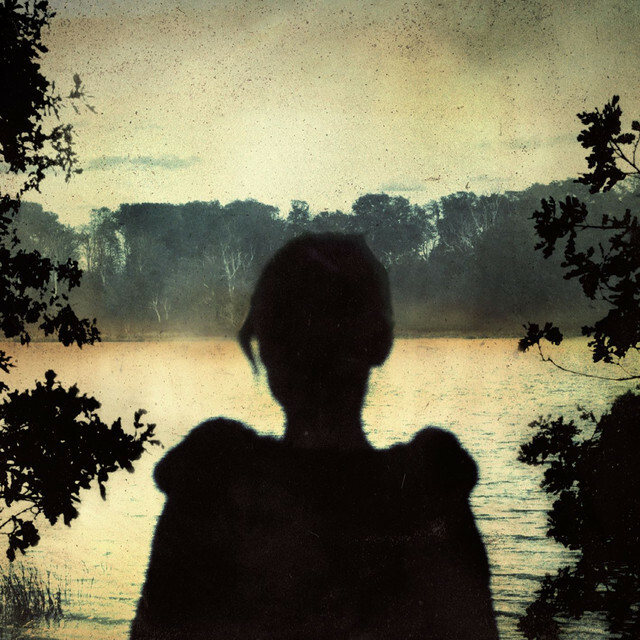 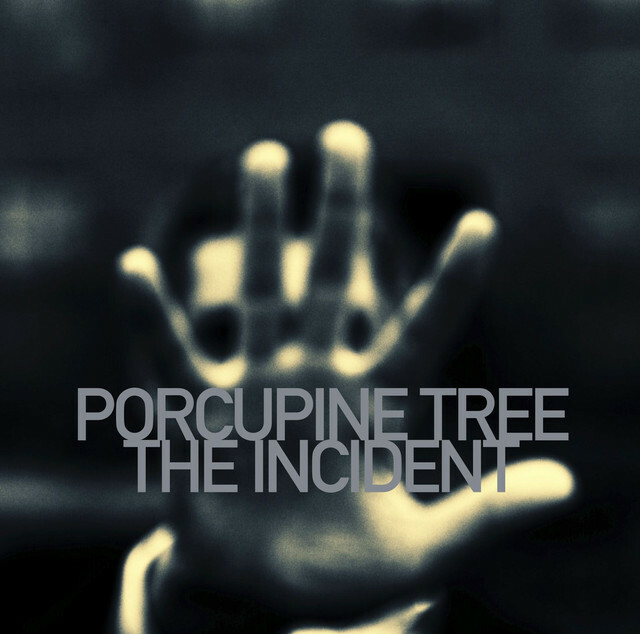 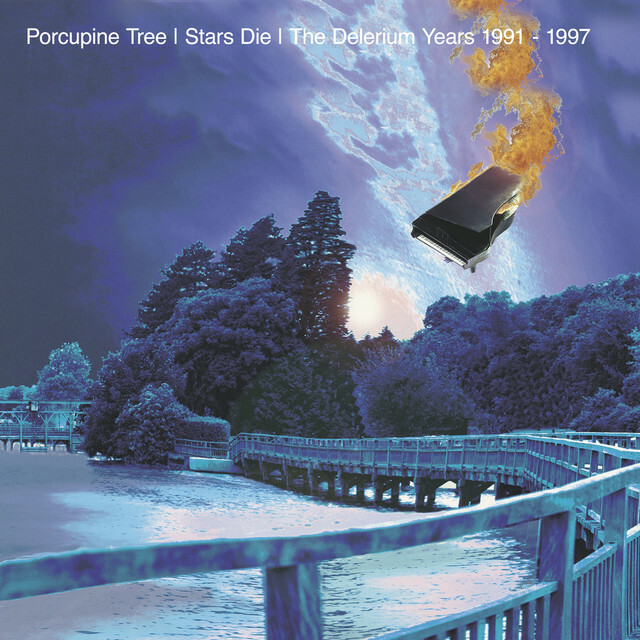 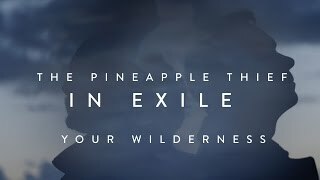 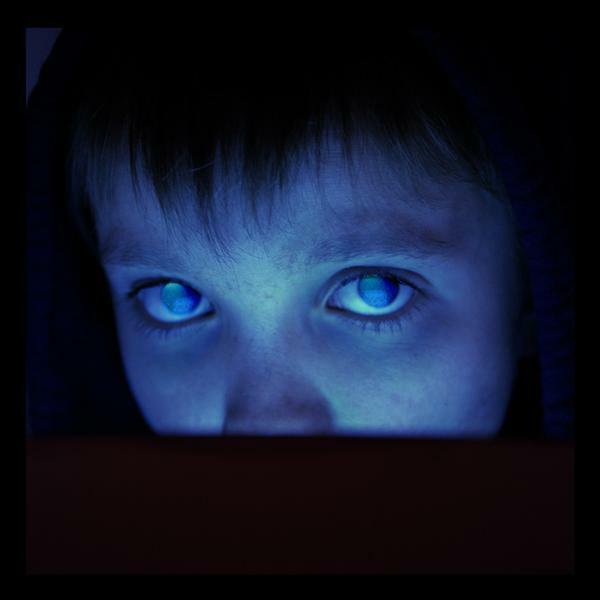 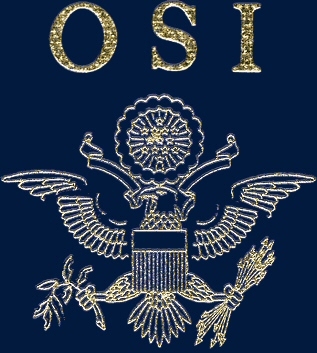 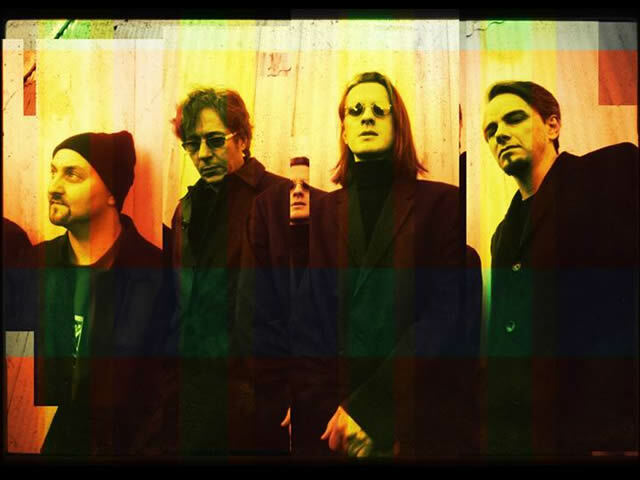 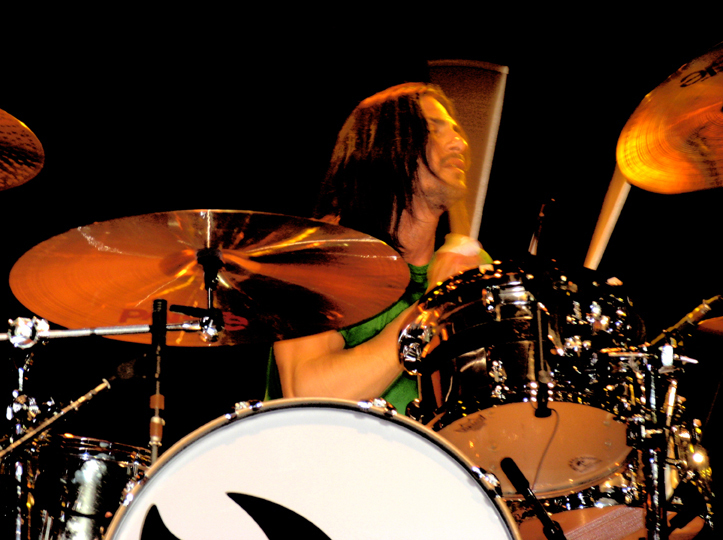 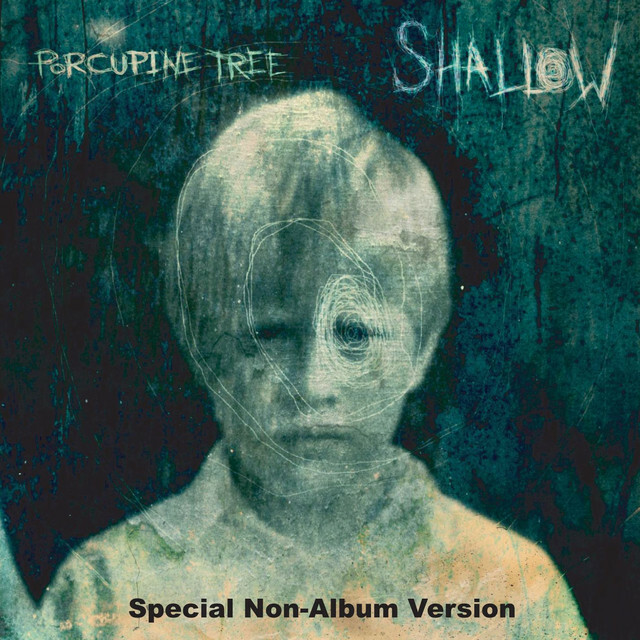 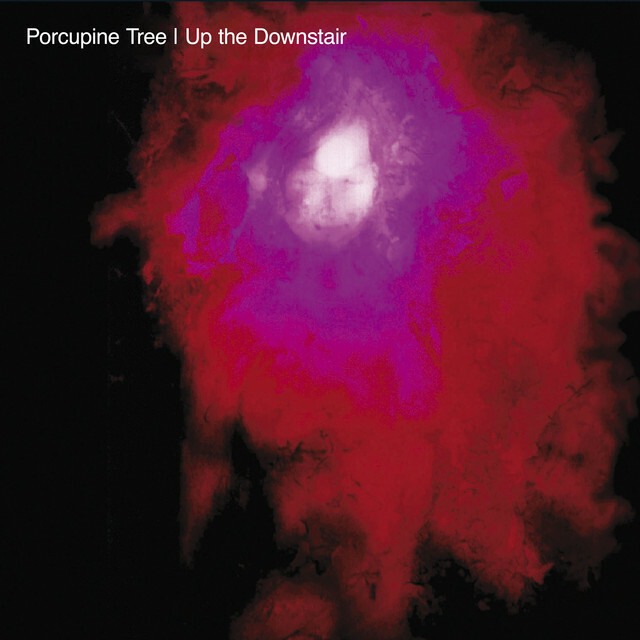 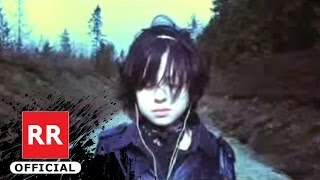 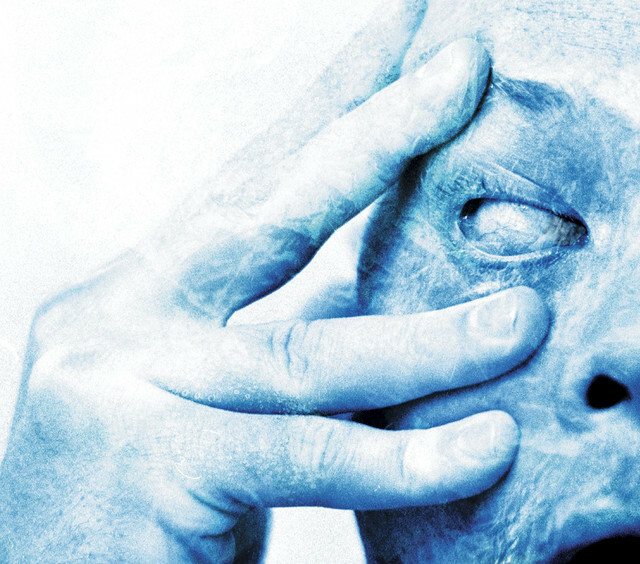 Harrison's recording debut with Porcupine Tree was the 2003 release "In Absentia". 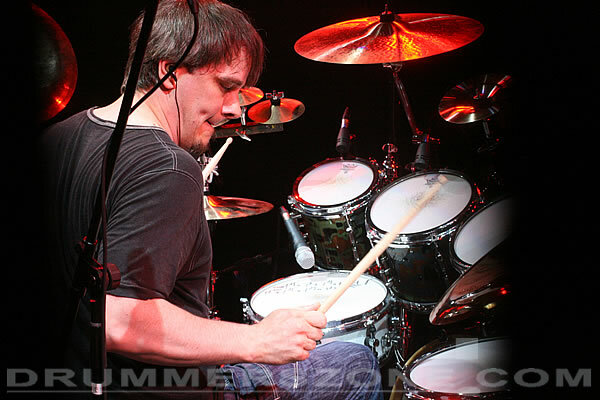 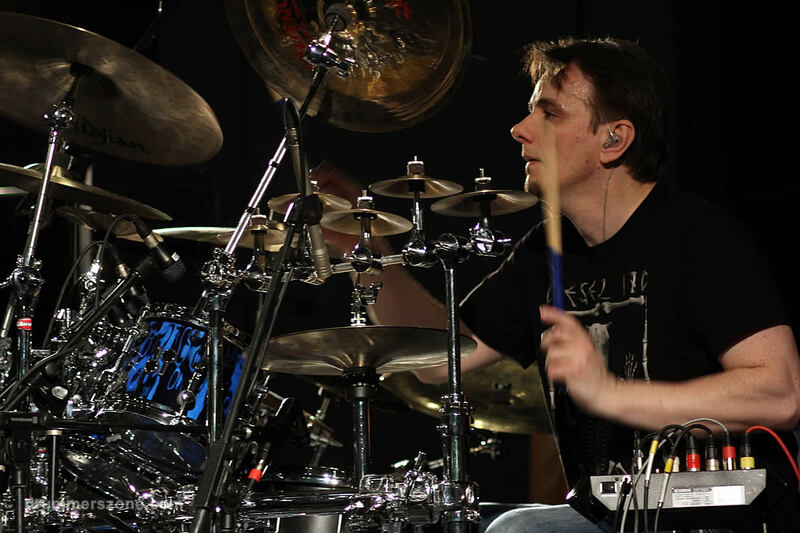 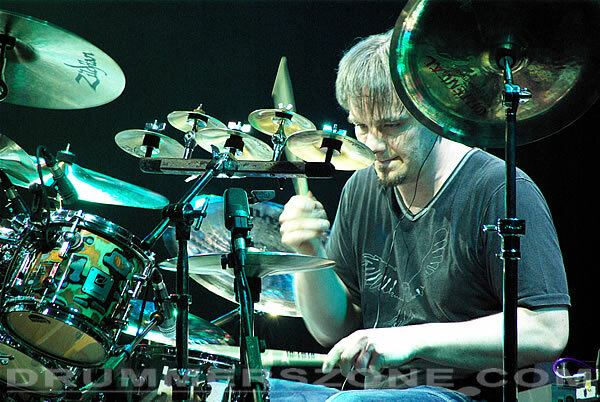 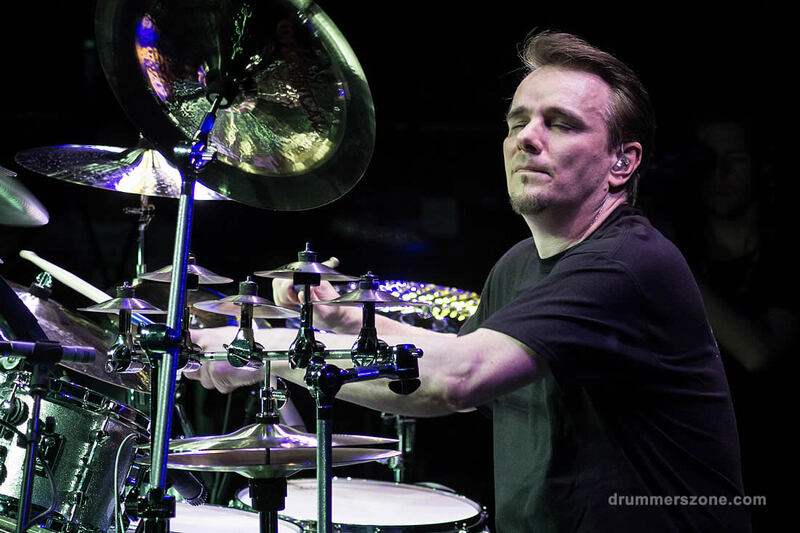 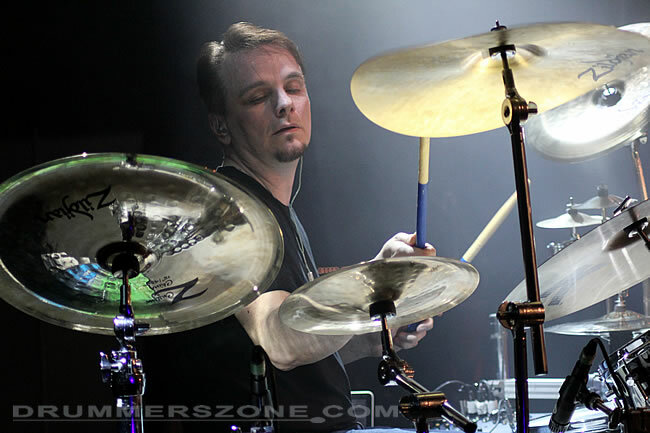 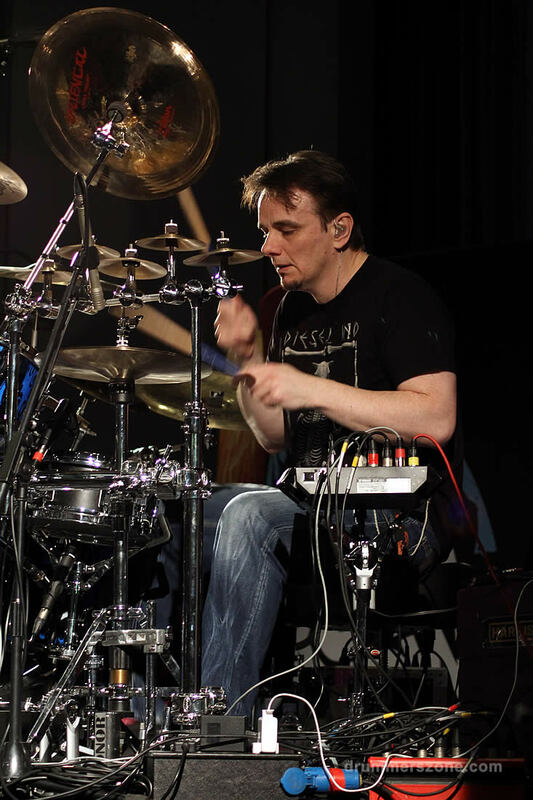 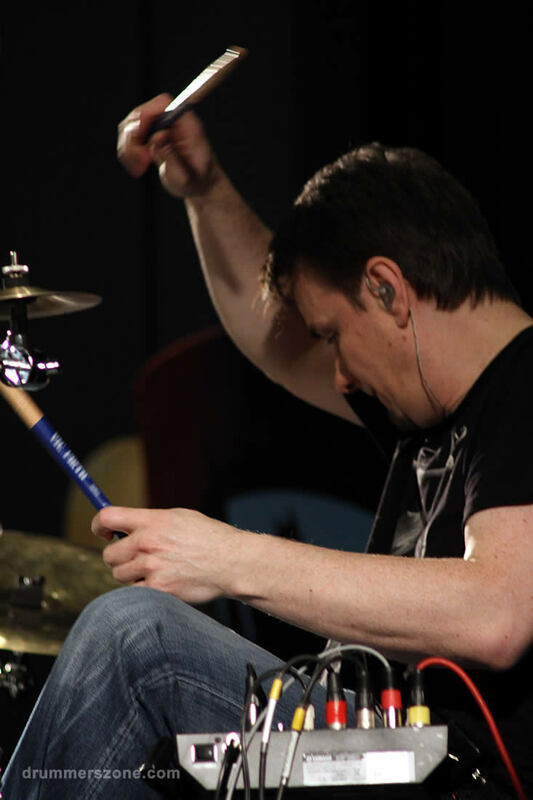 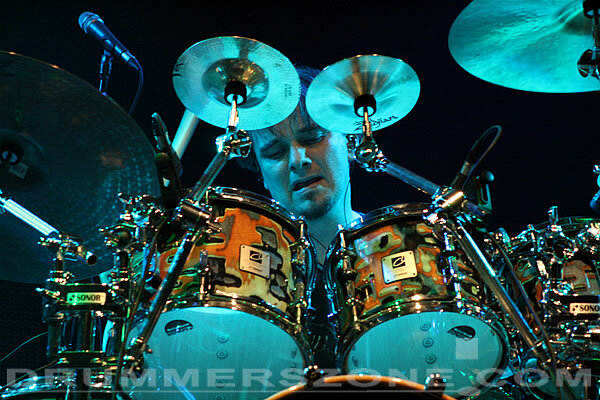 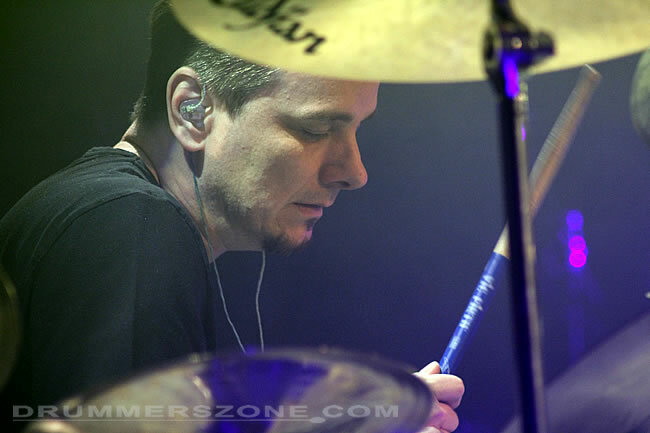 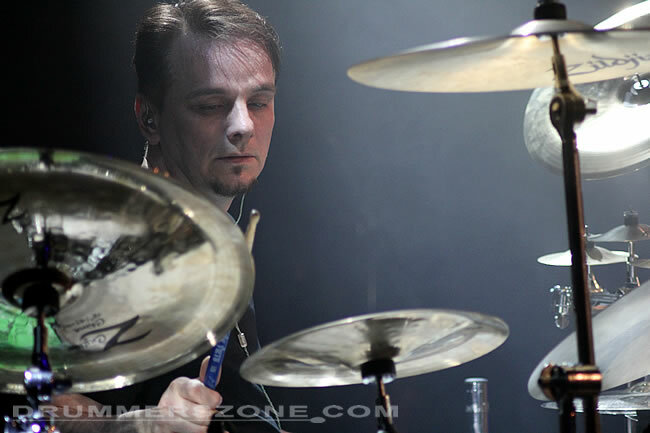 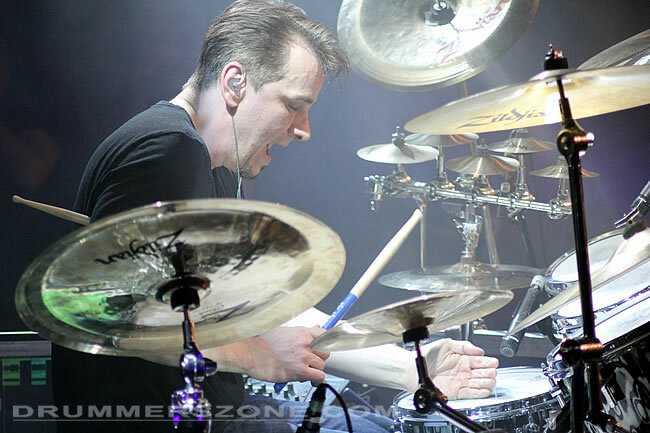 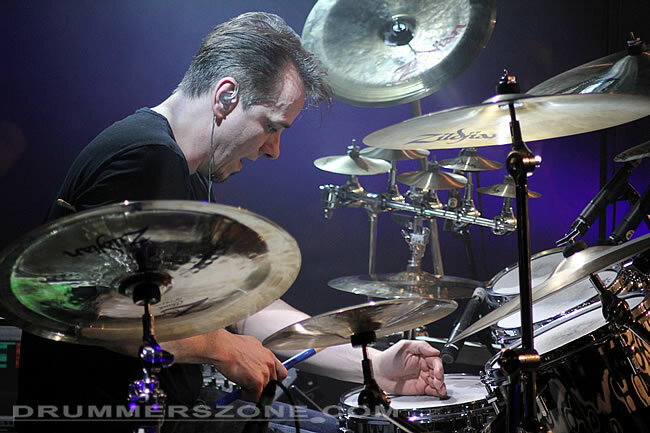 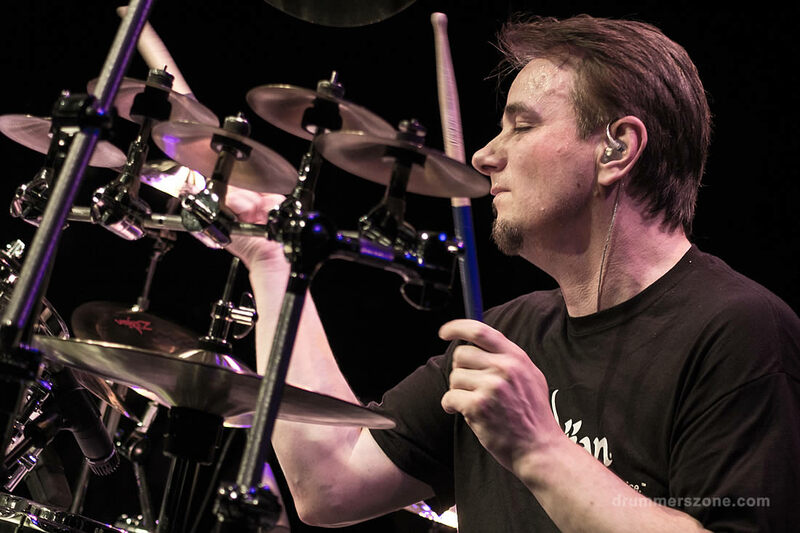 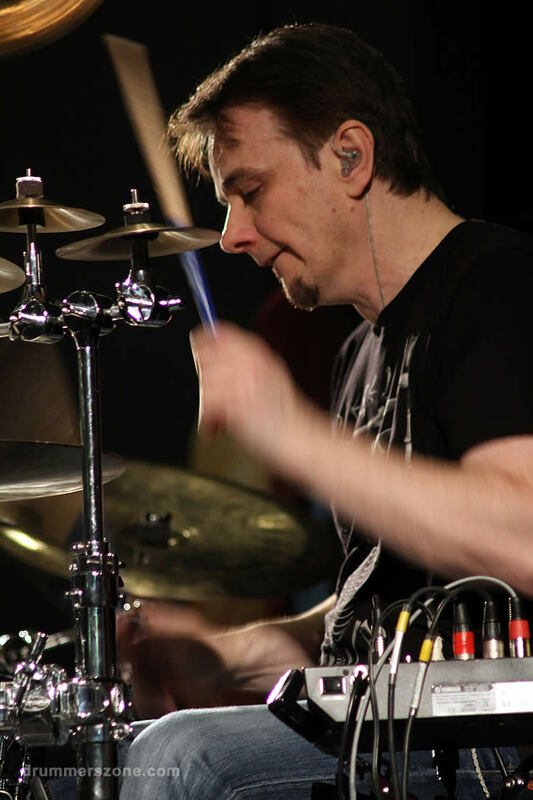 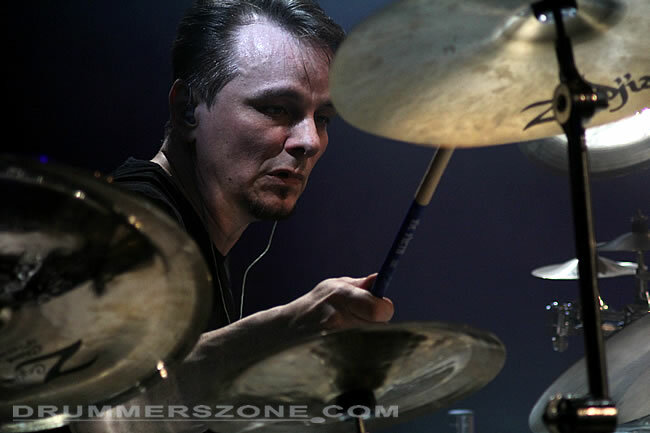 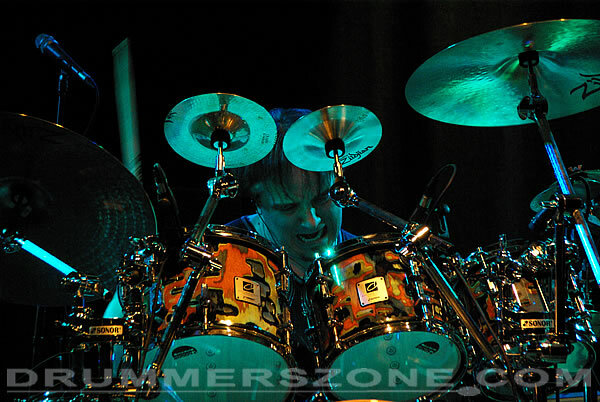 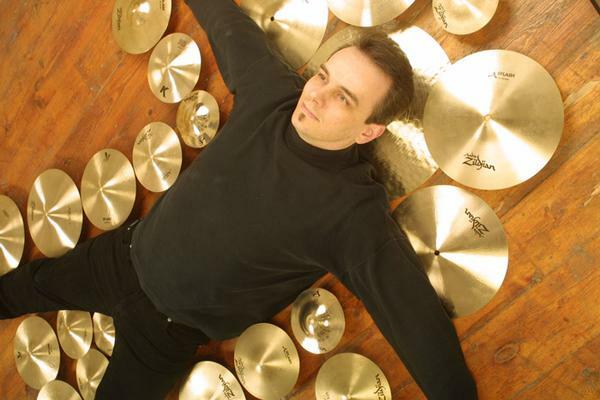 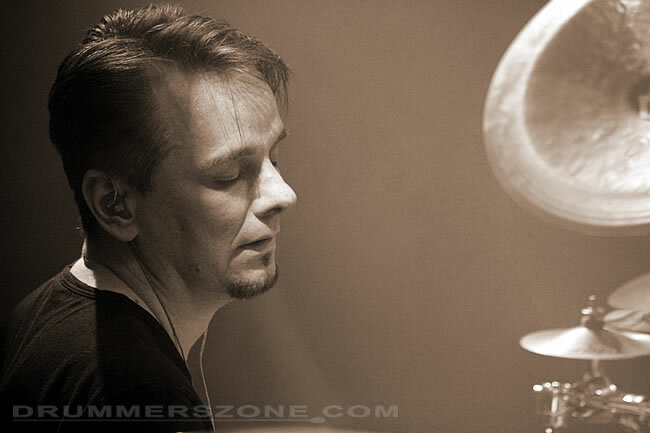 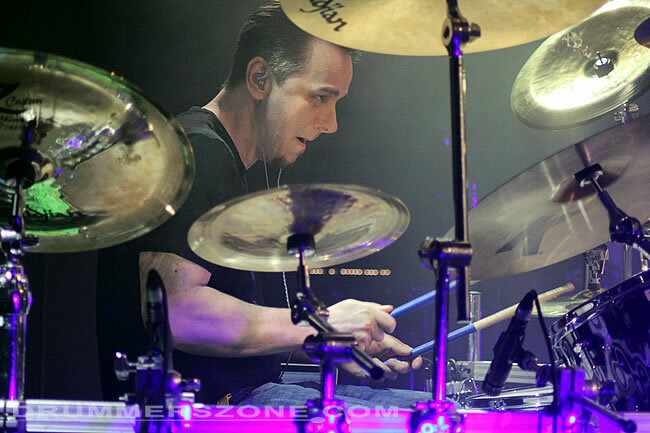 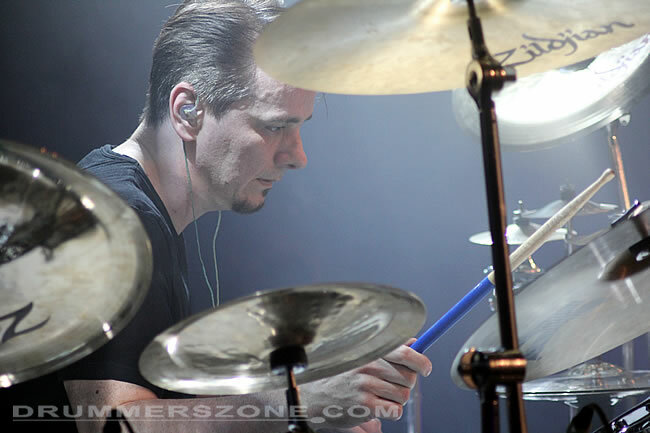 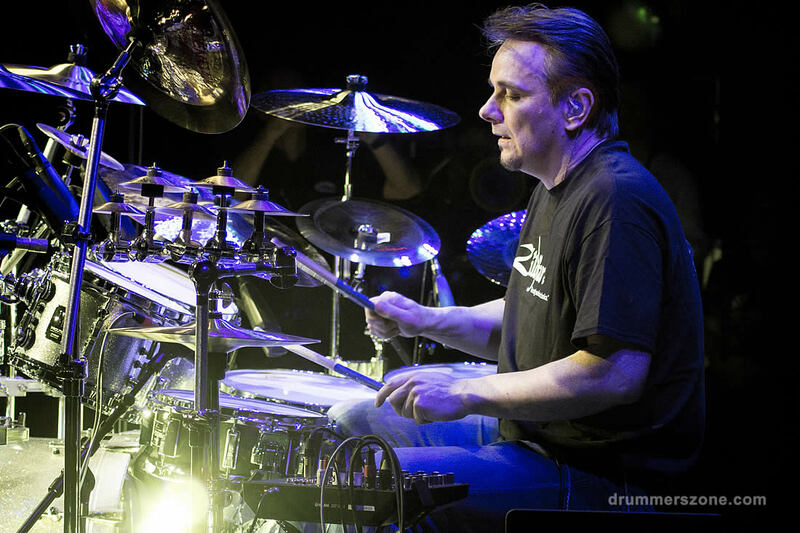 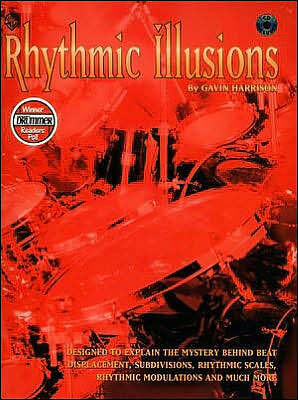 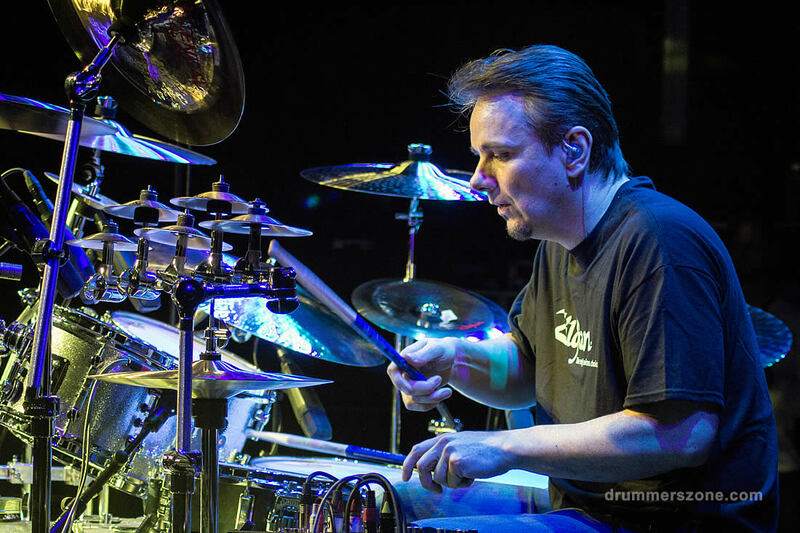 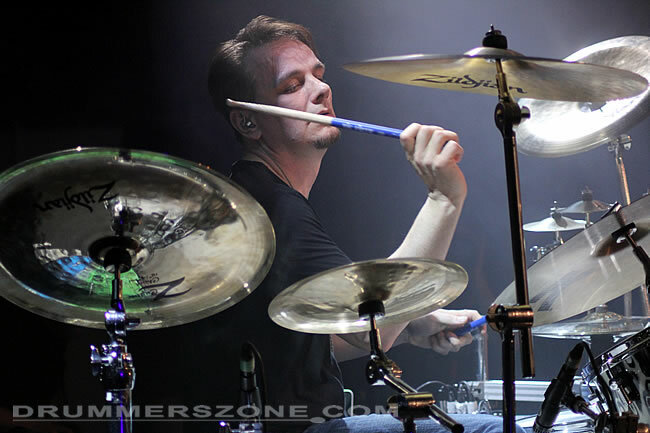 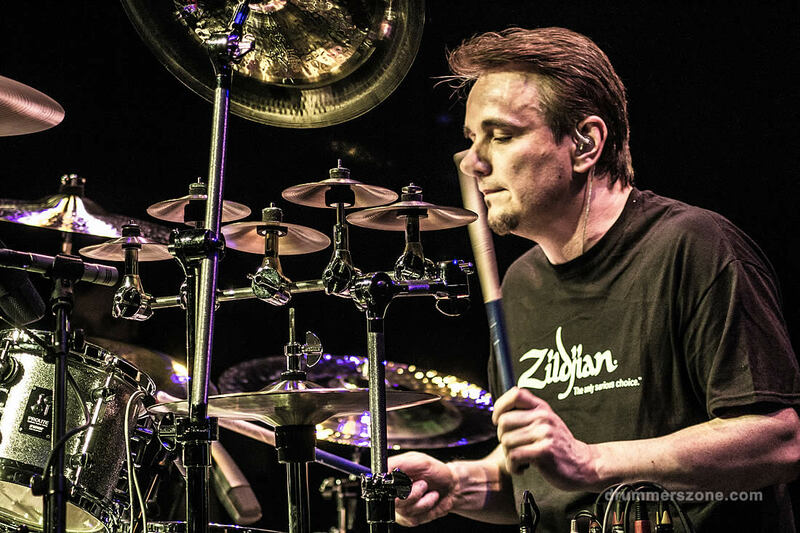 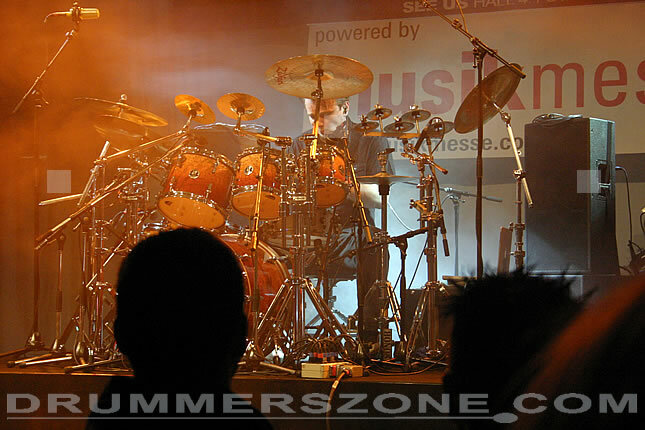 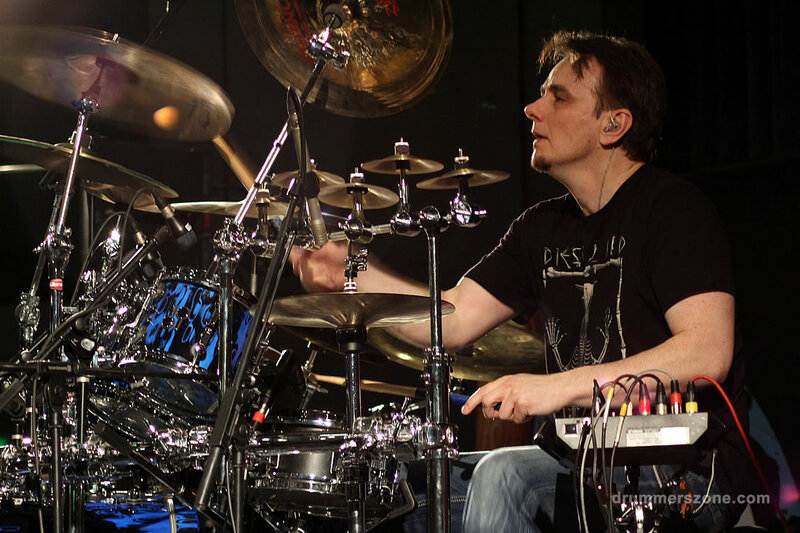 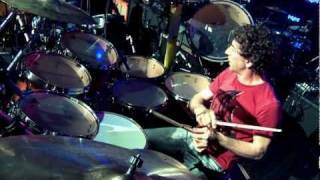 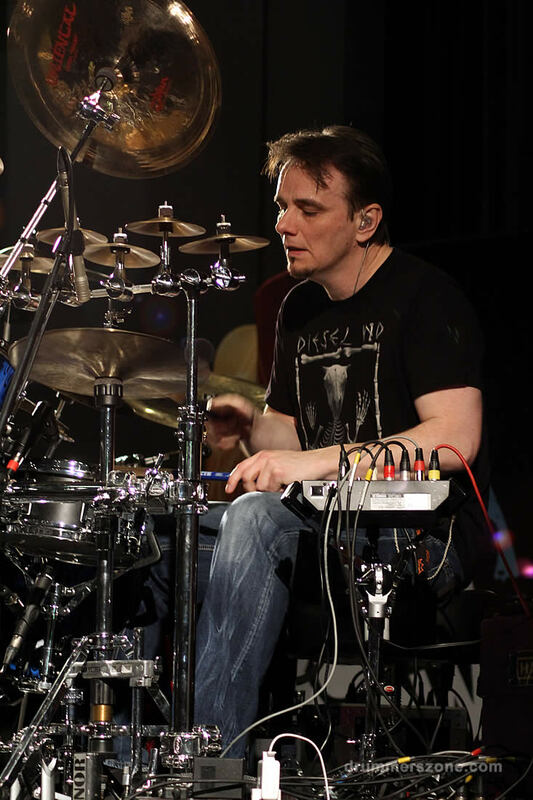 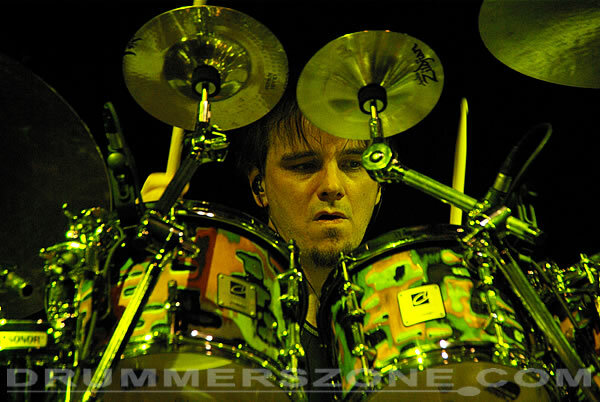 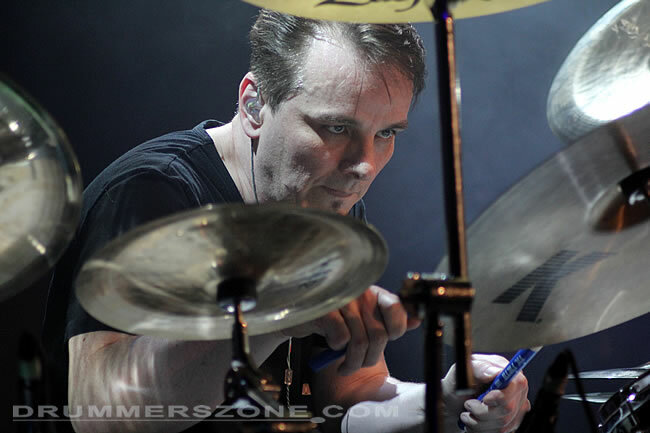 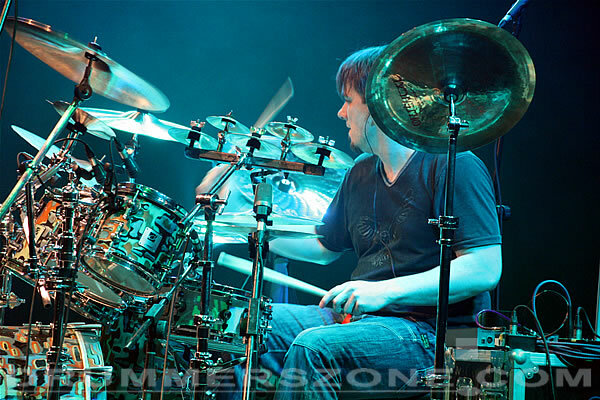 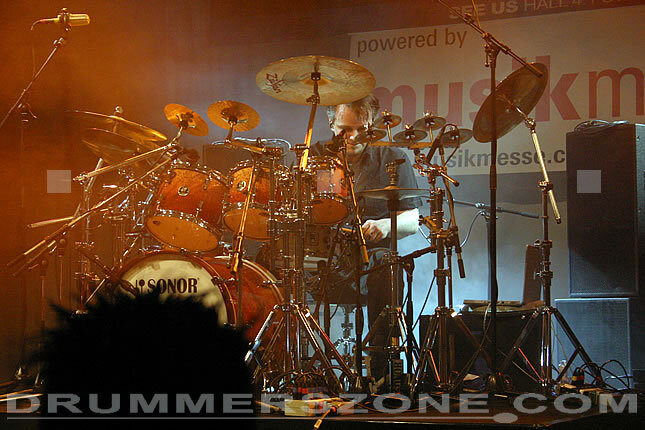 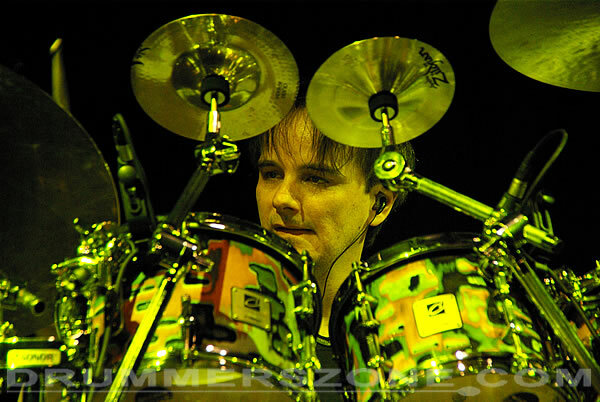 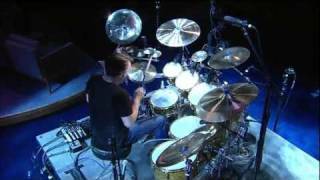 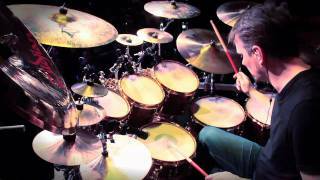 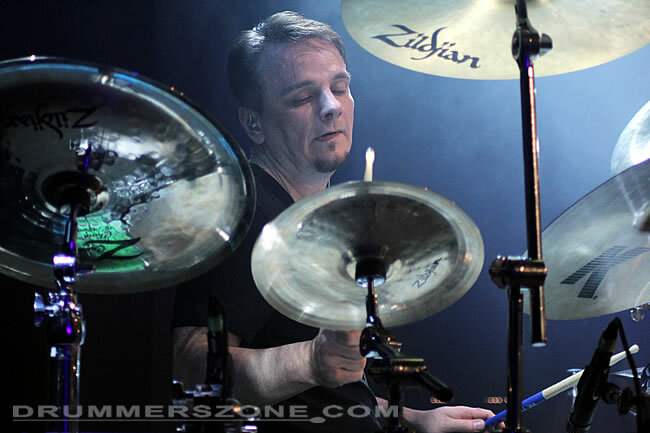 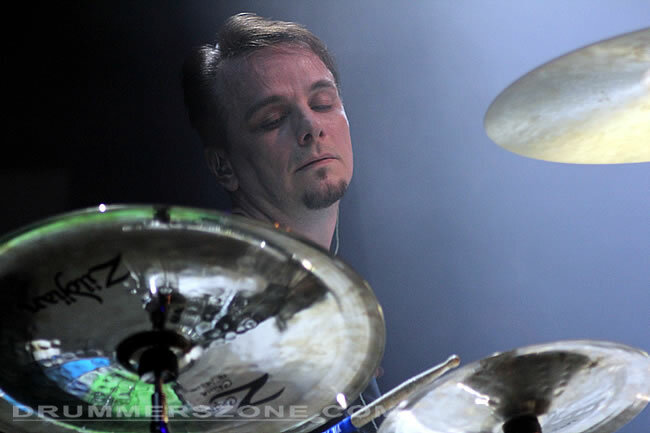 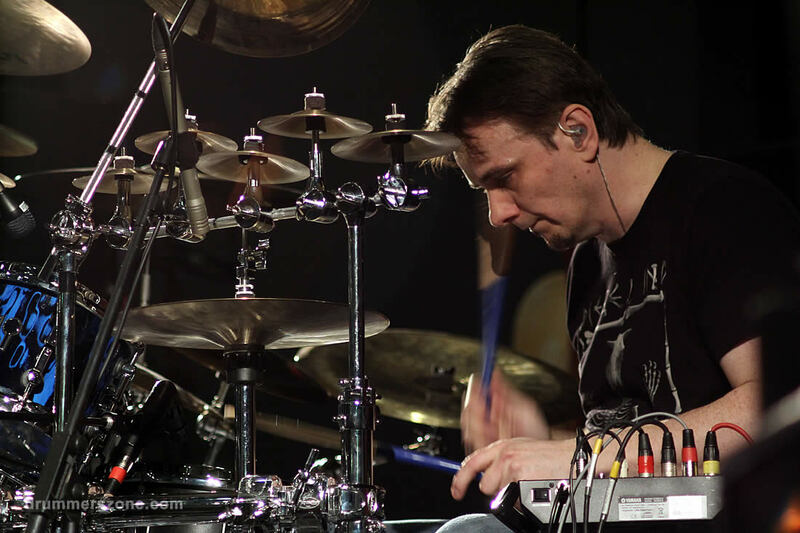 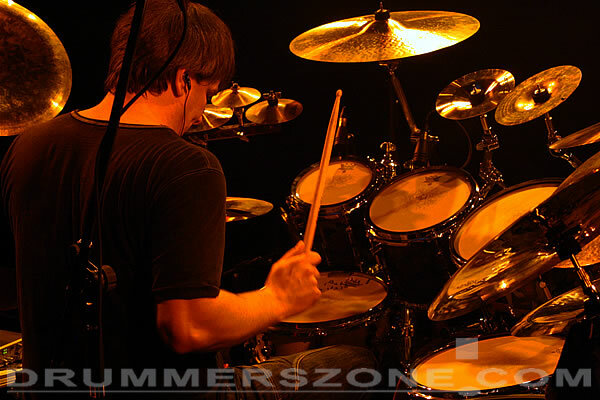 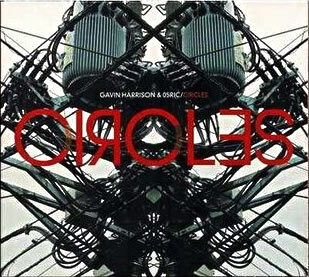 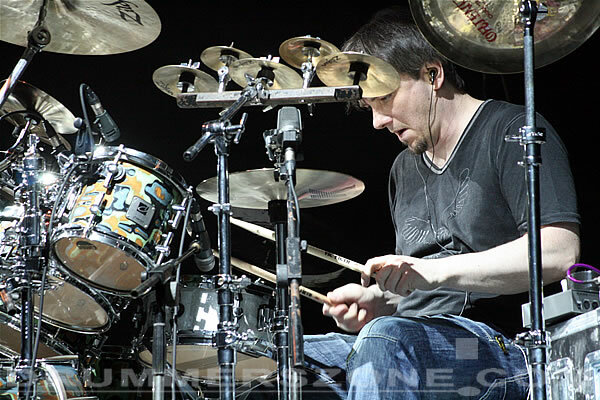 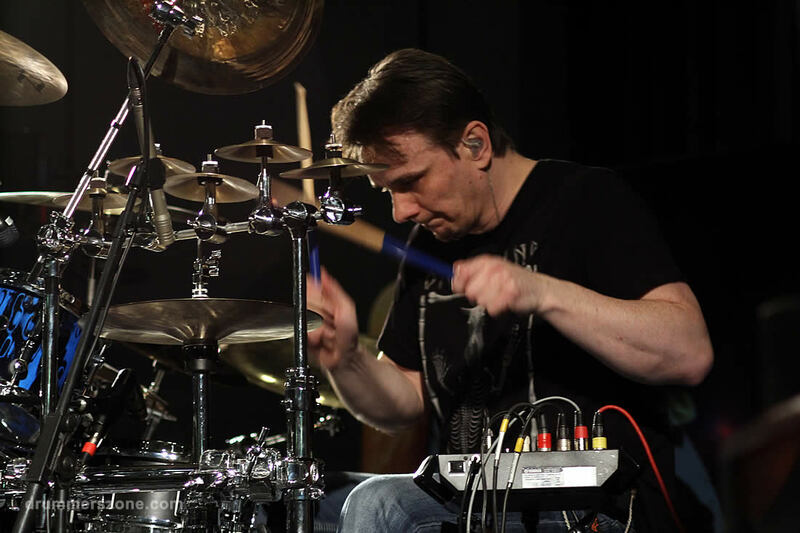 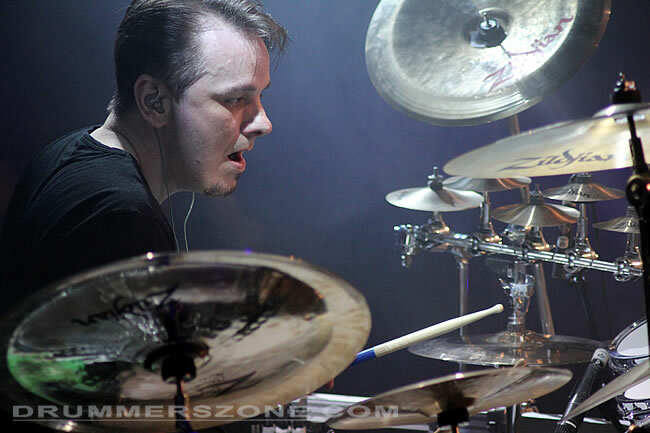 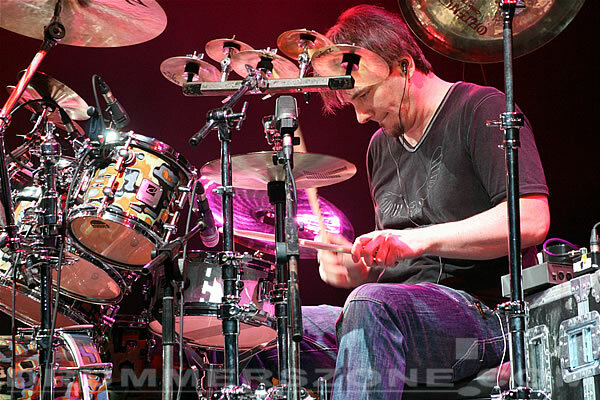 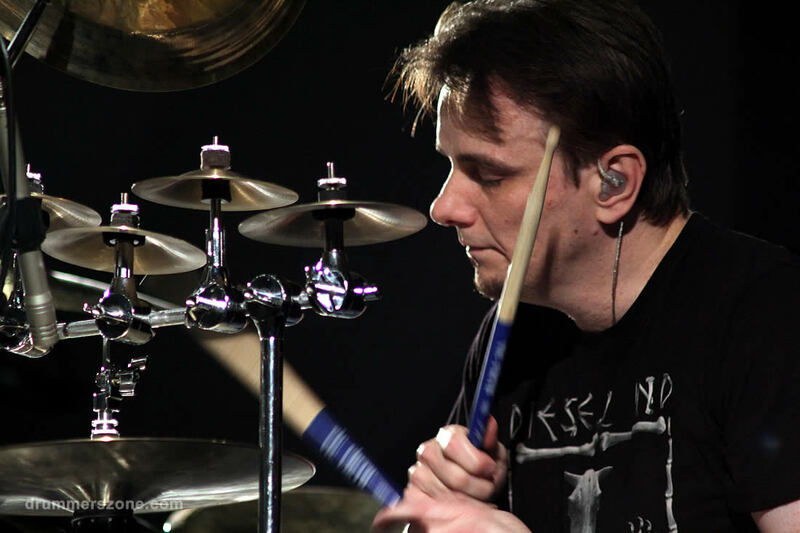 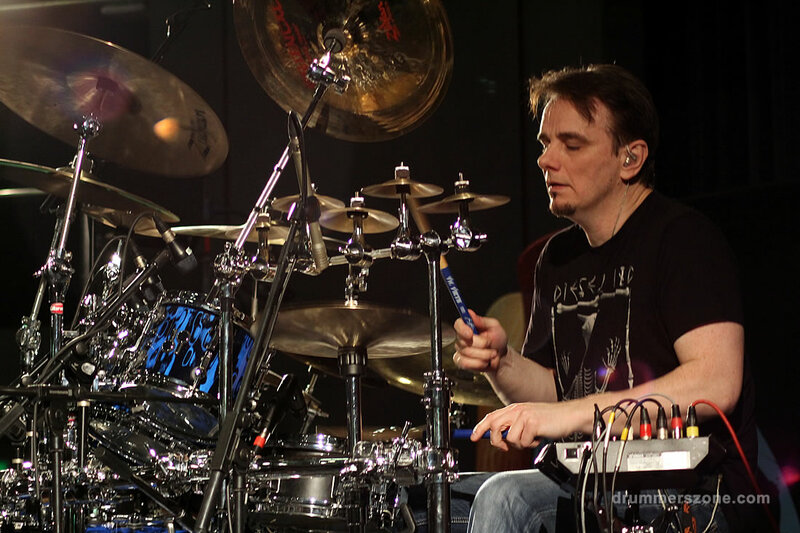 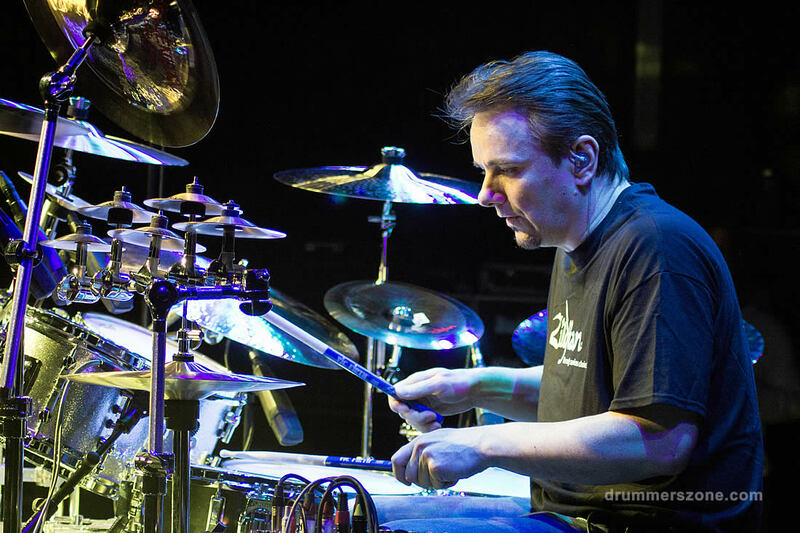 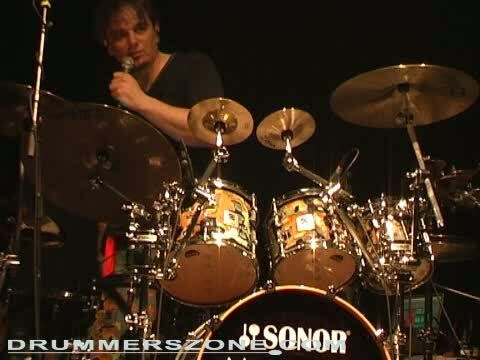 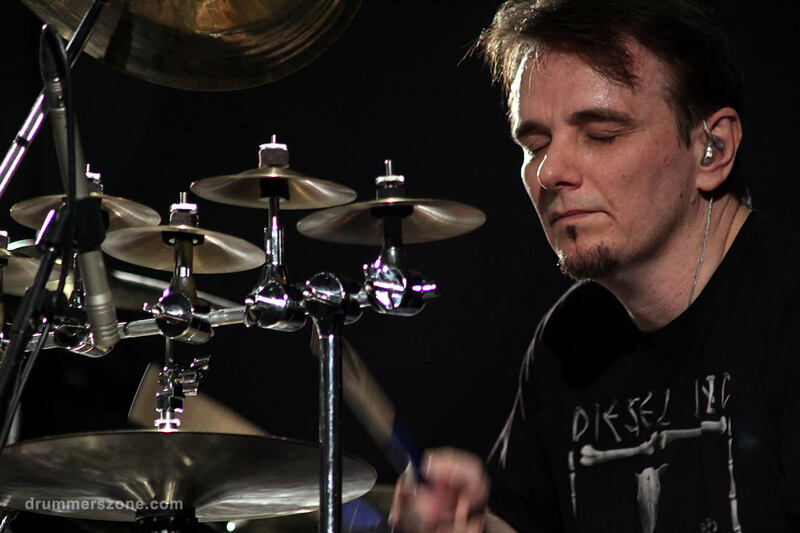 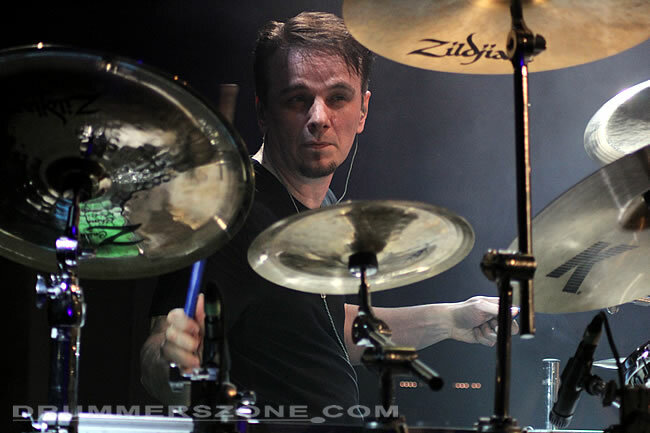 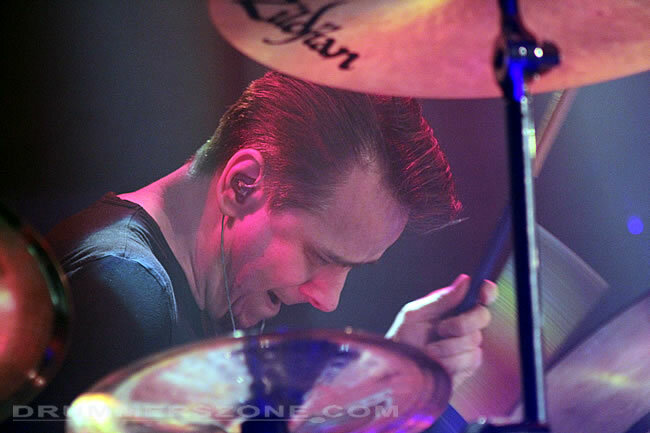 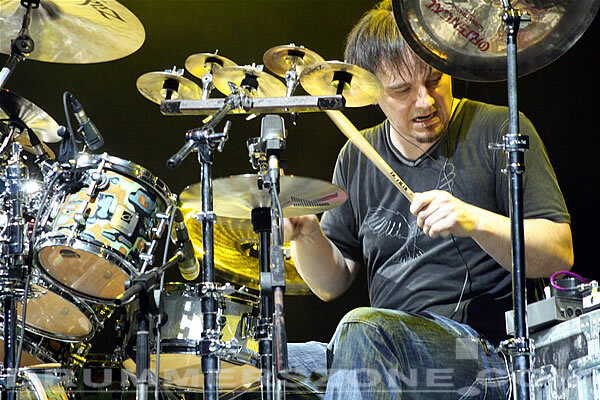 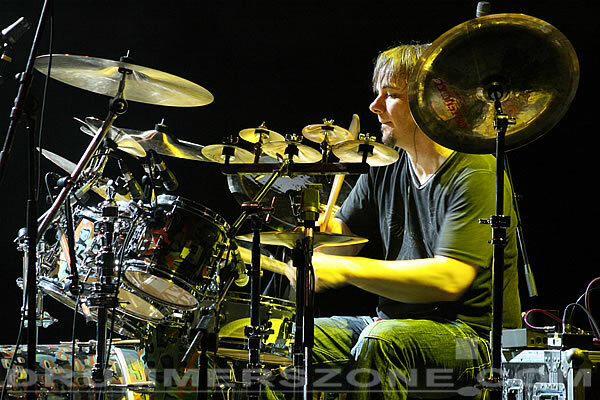 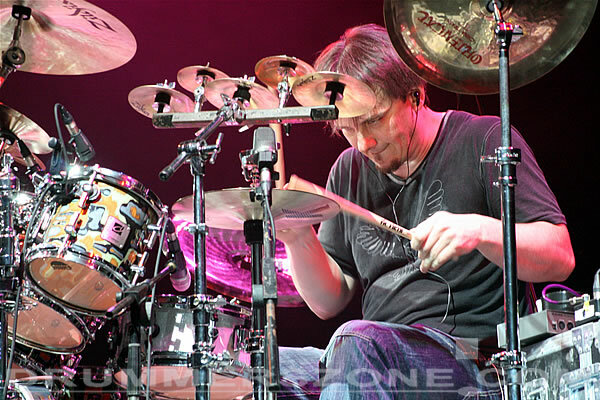 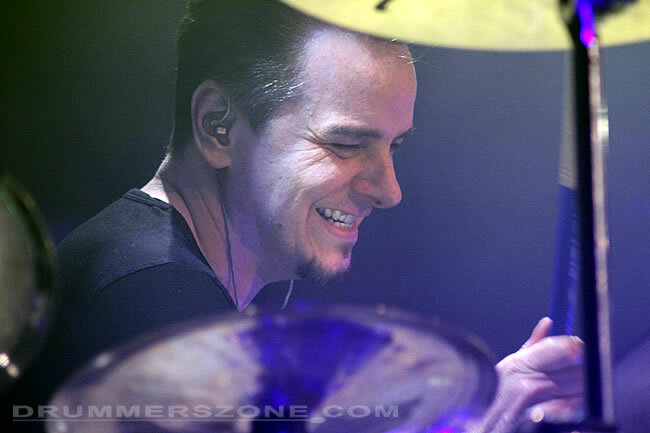 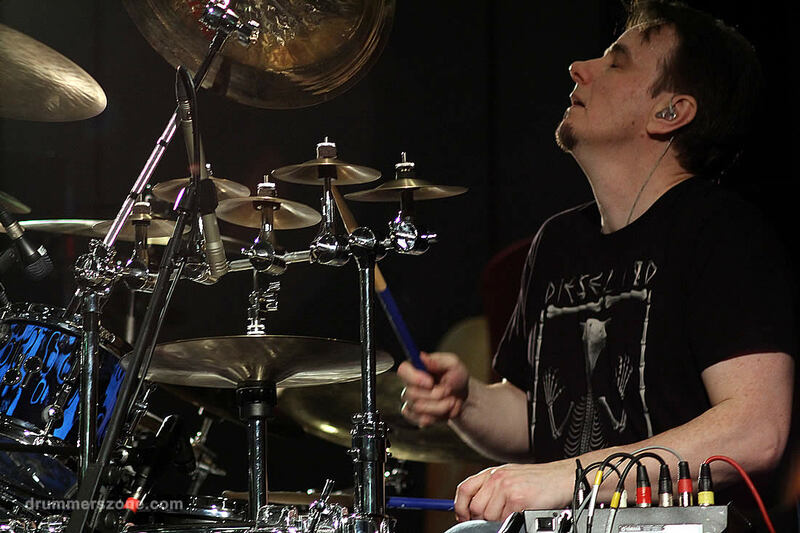 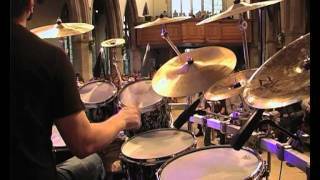 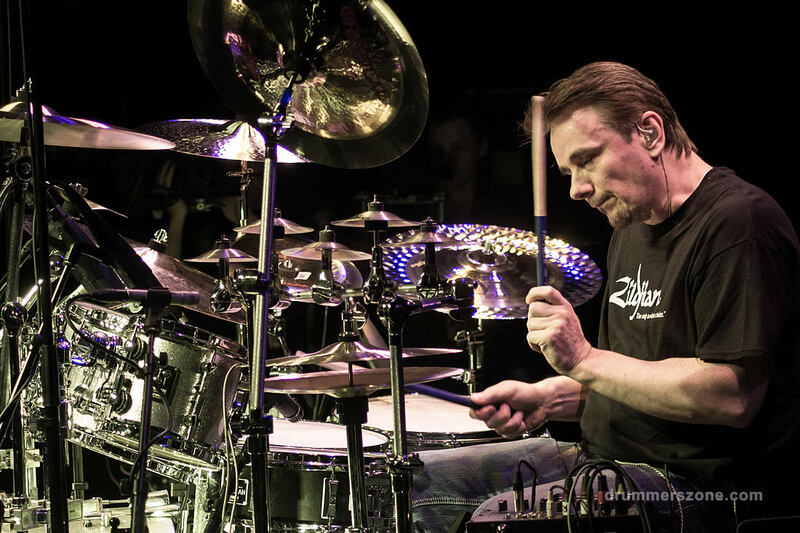 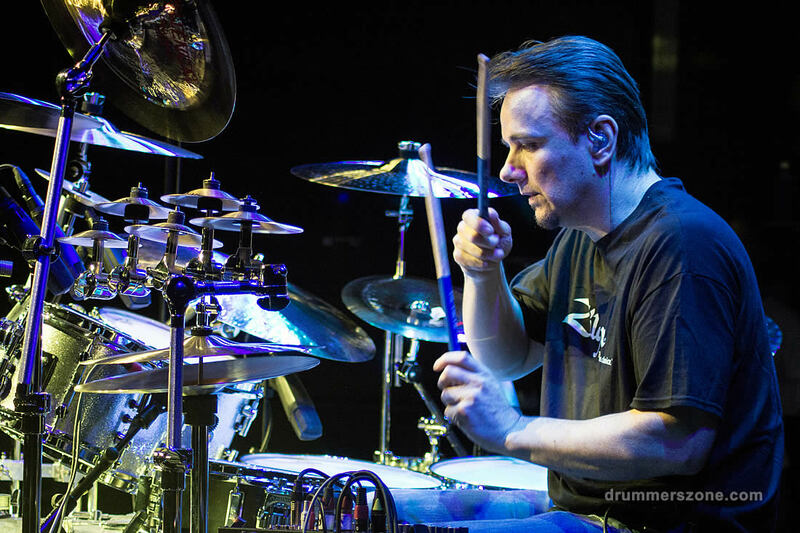 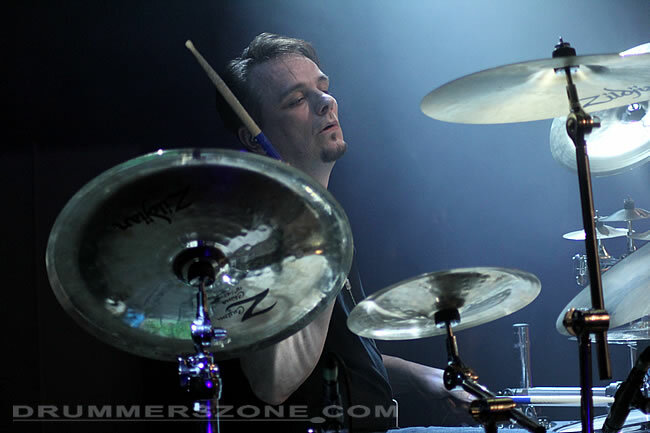 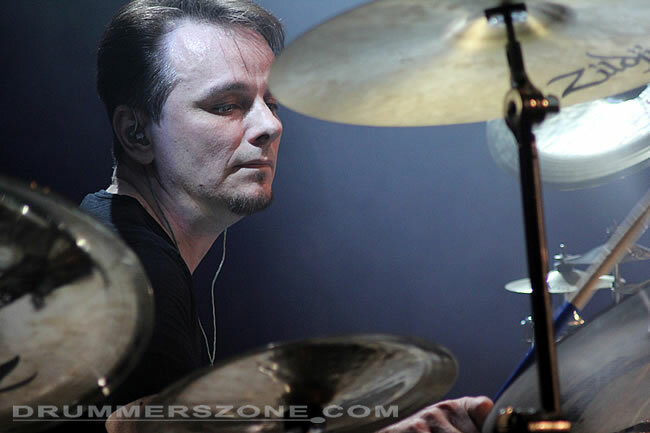 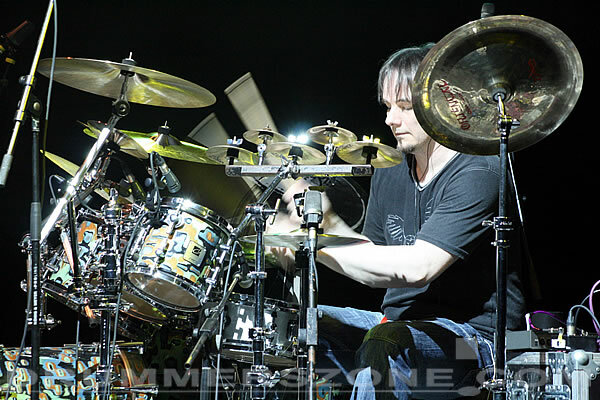 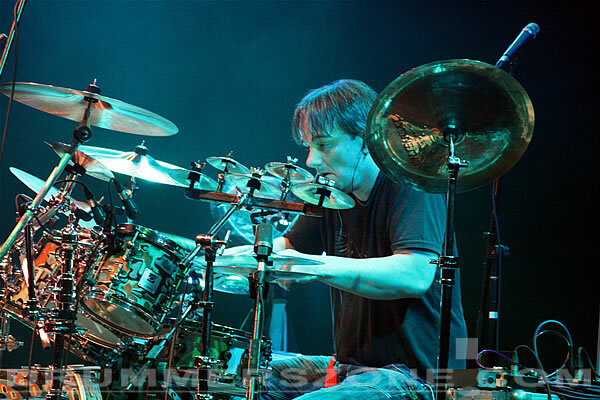 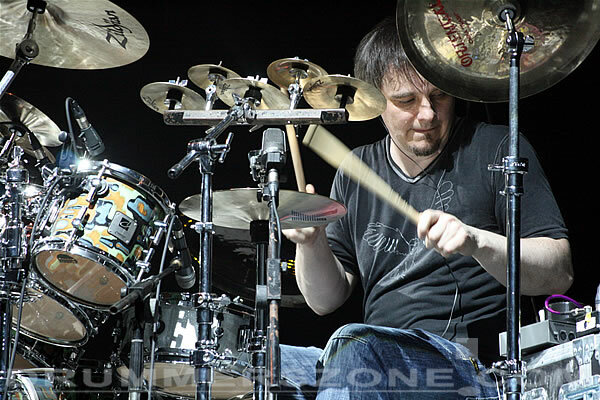 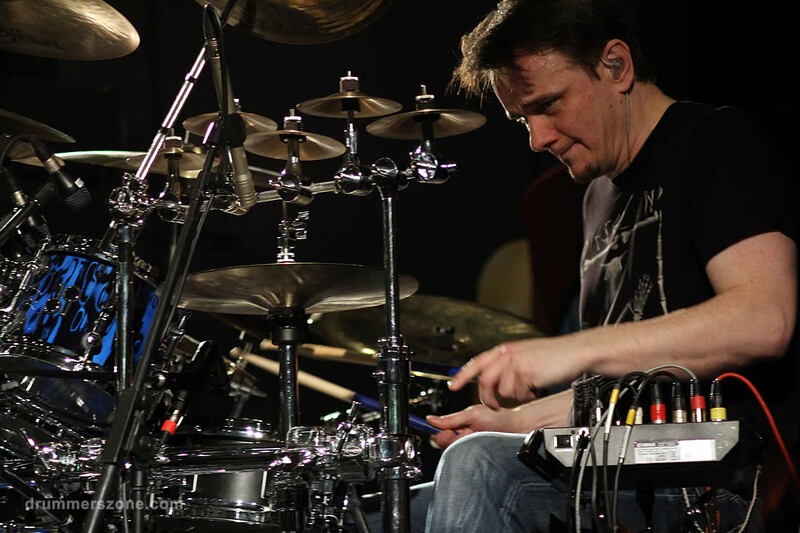 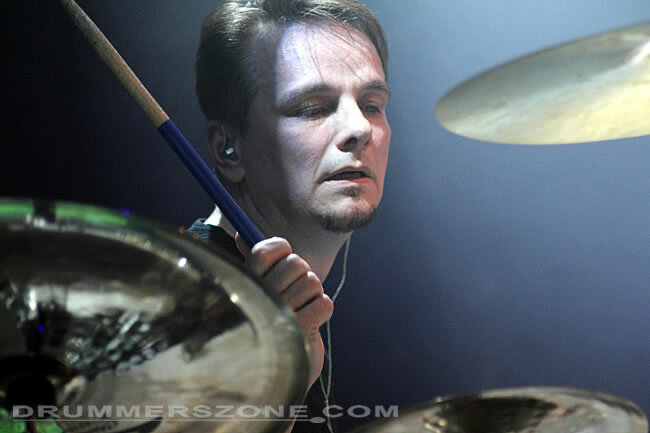 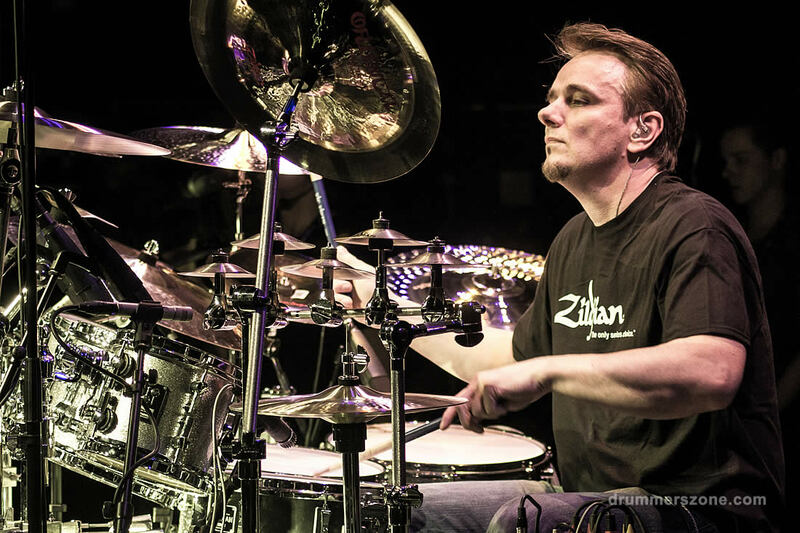 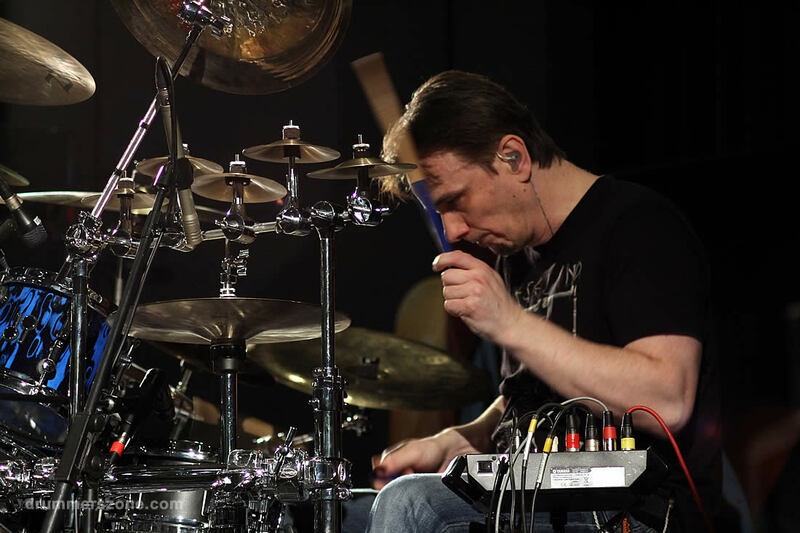 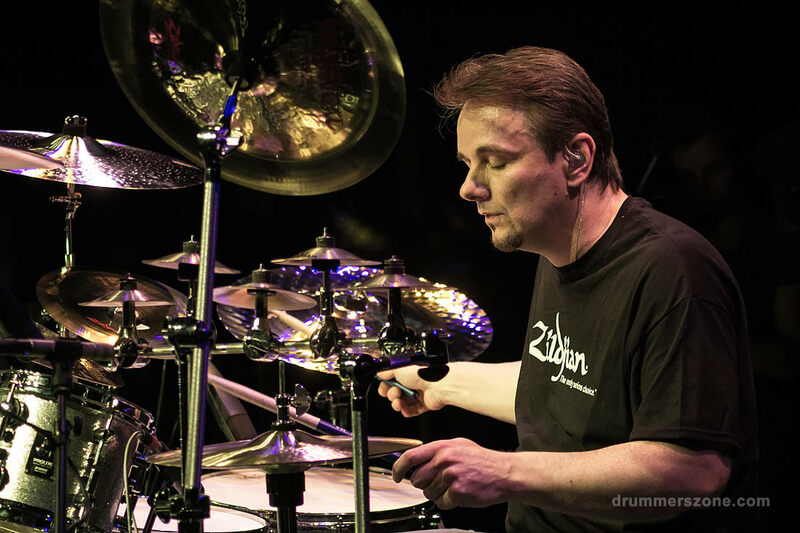 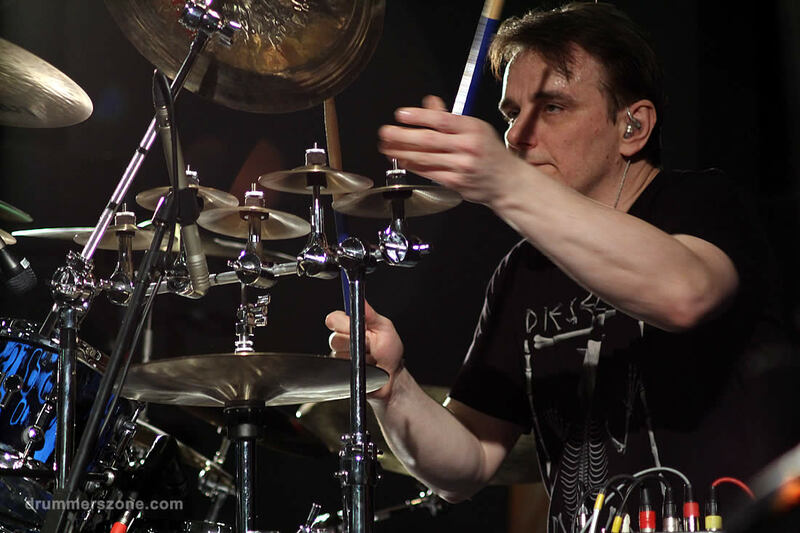 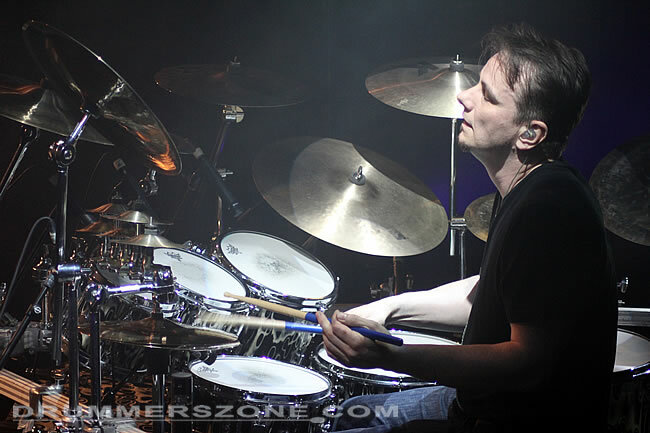 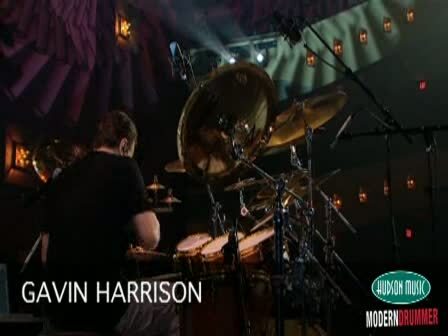 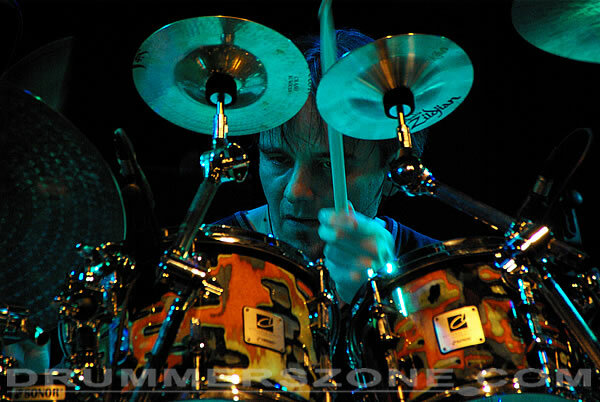 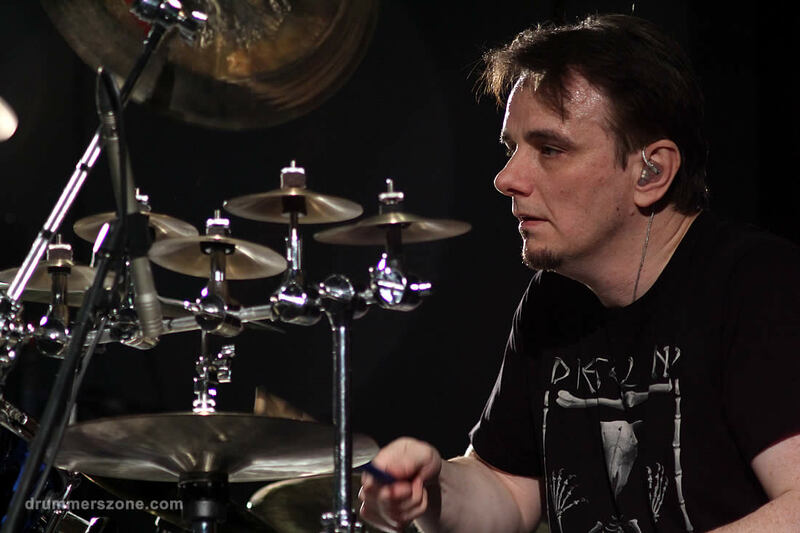 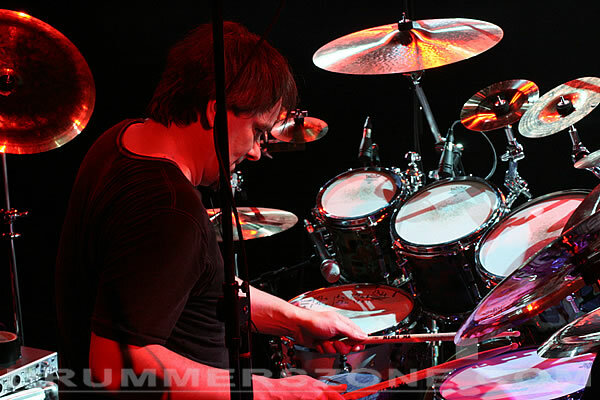 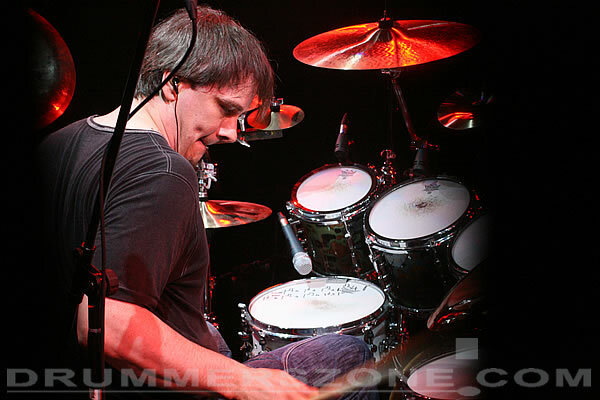 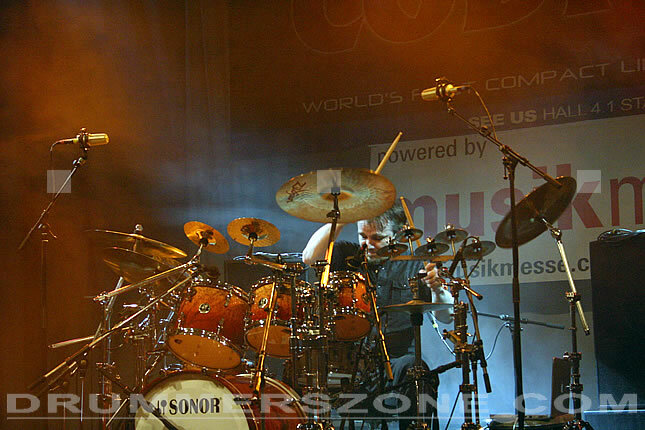 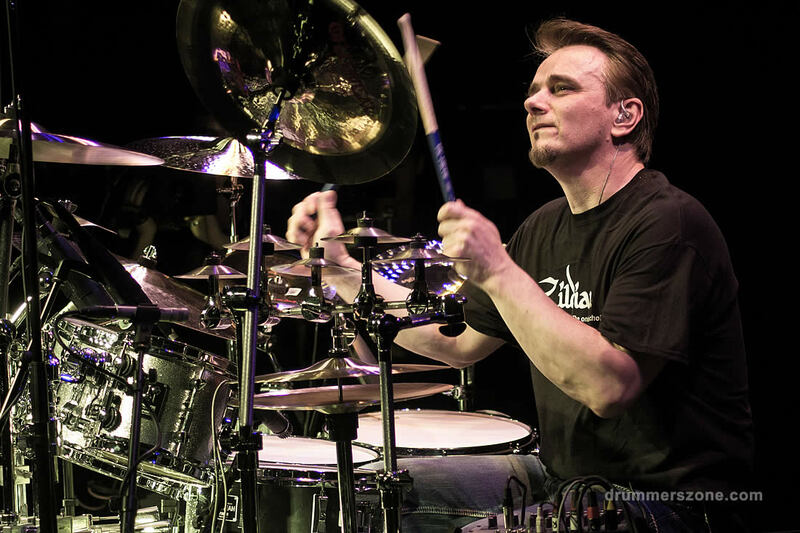 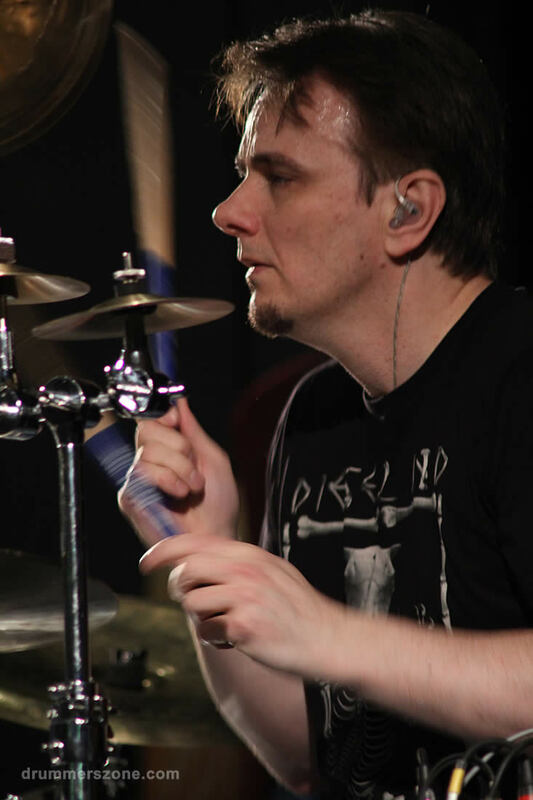 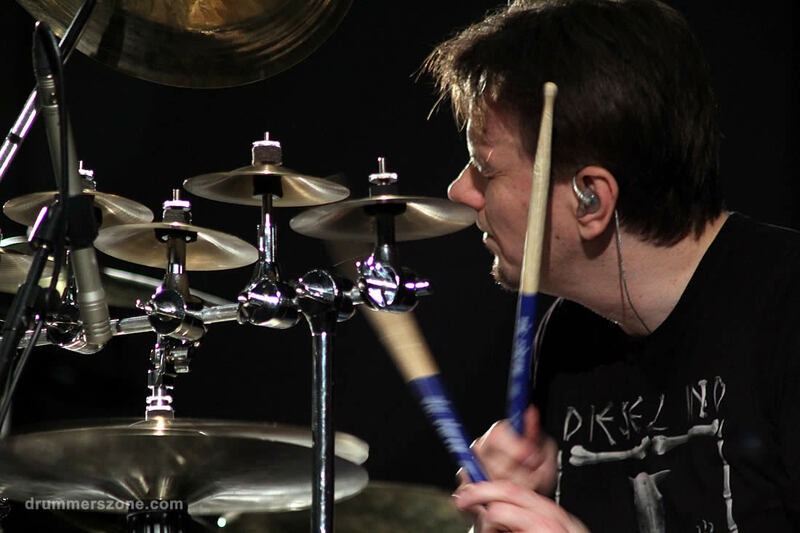 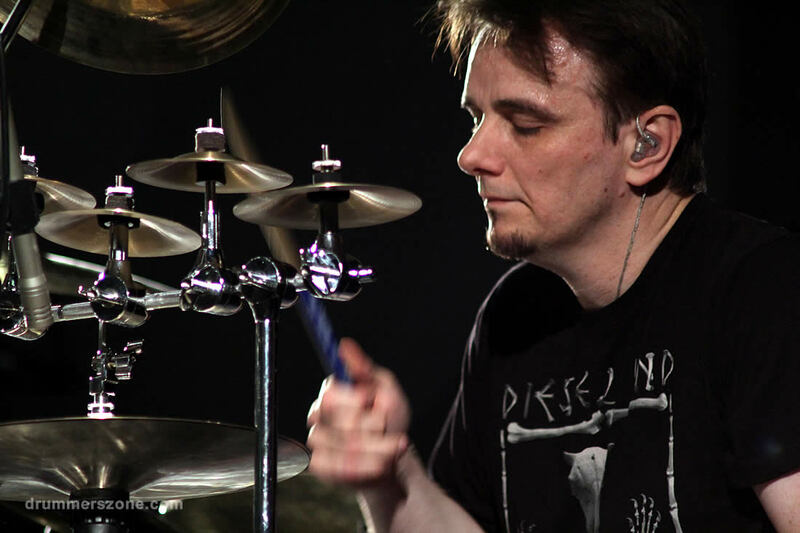 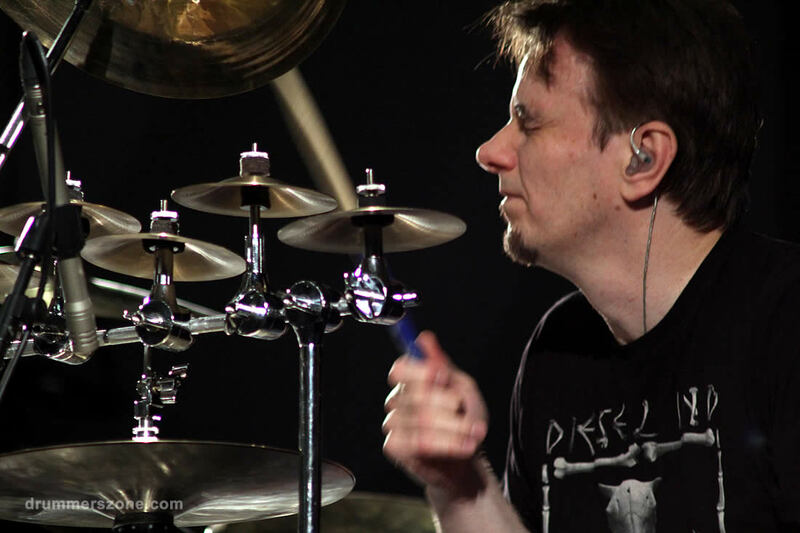 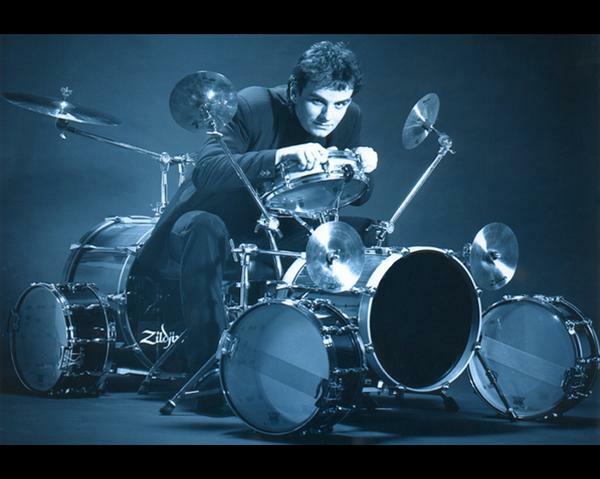 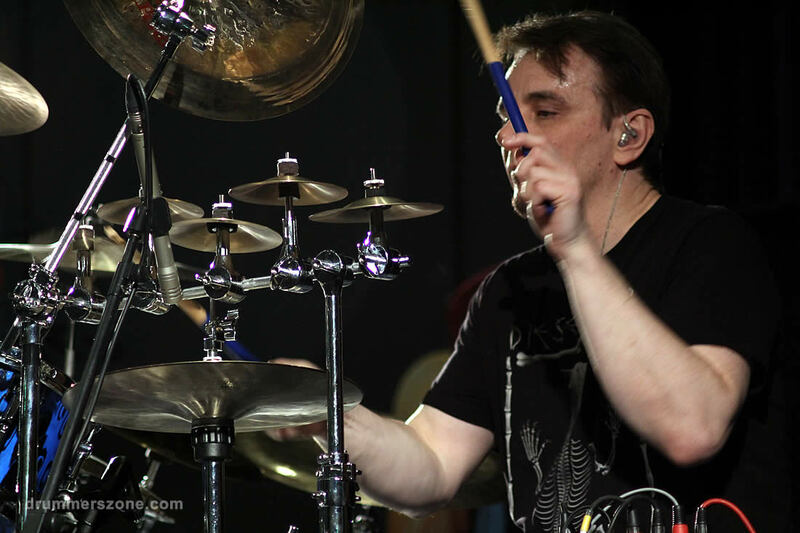 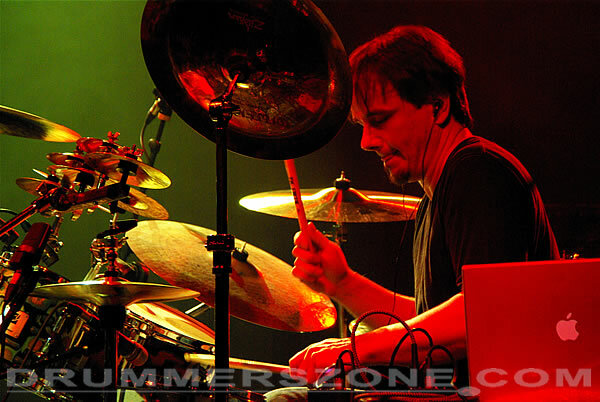 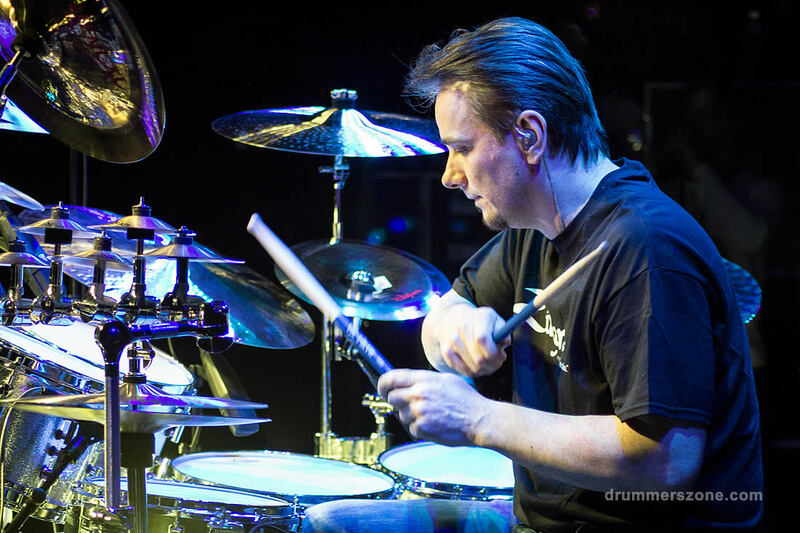 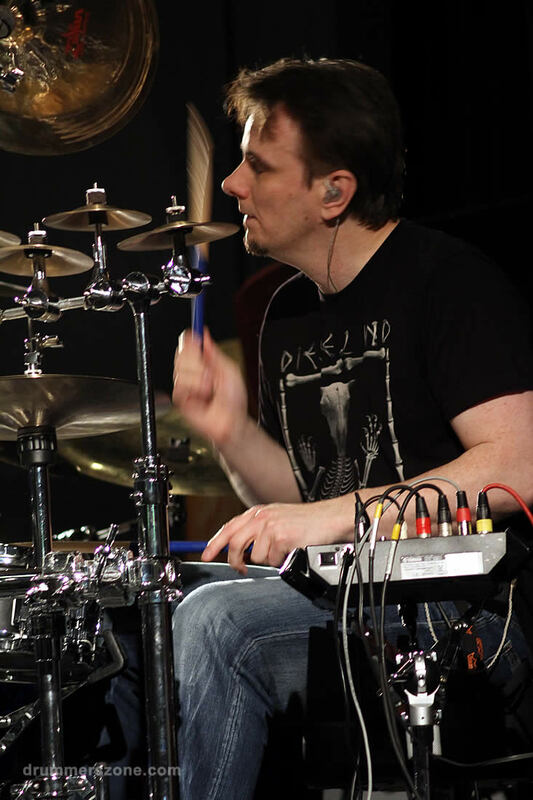 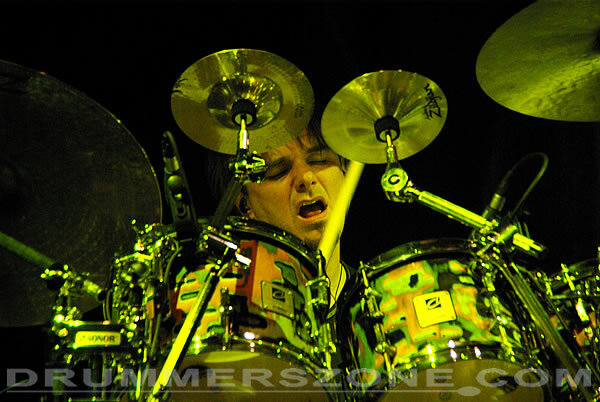 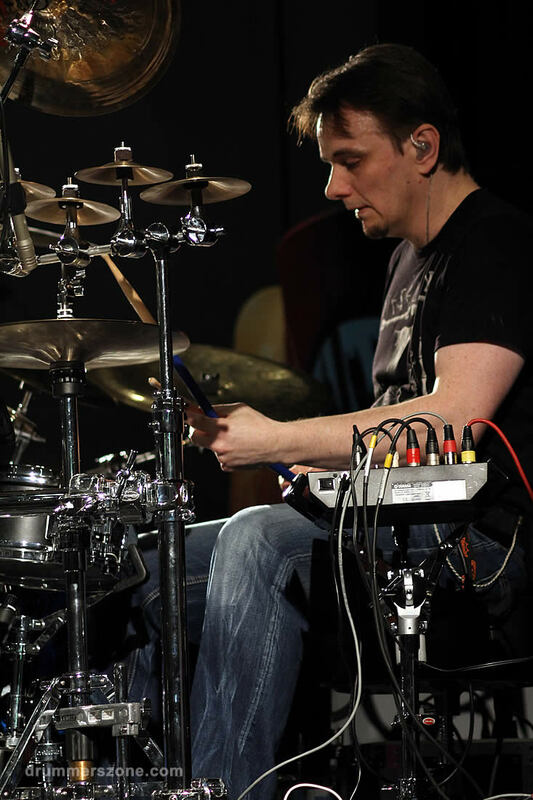 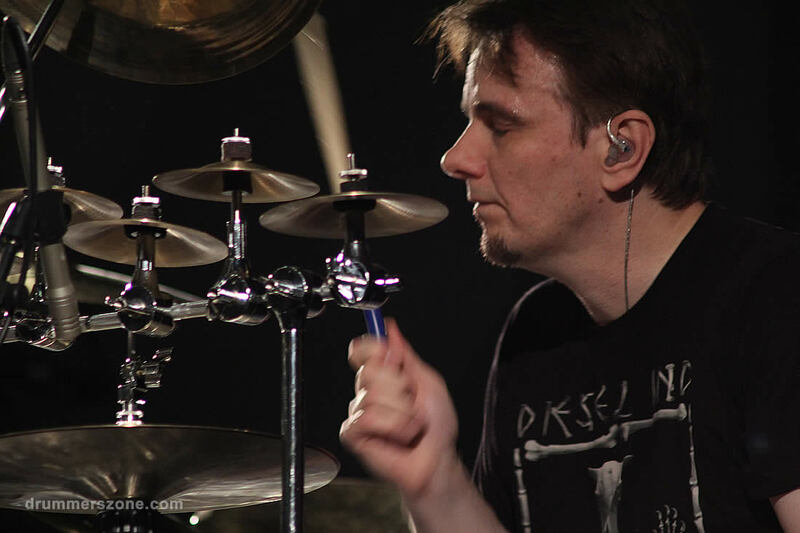 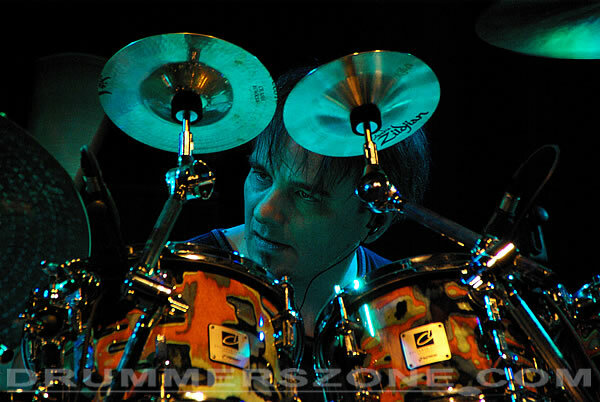 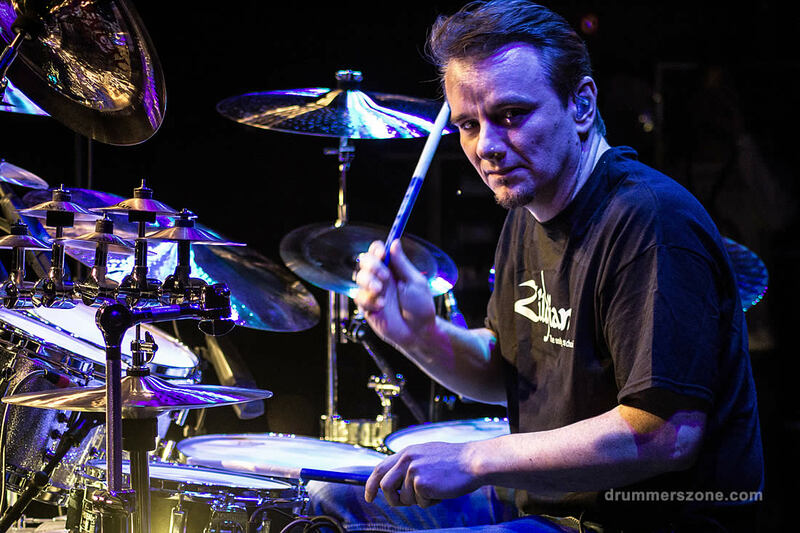 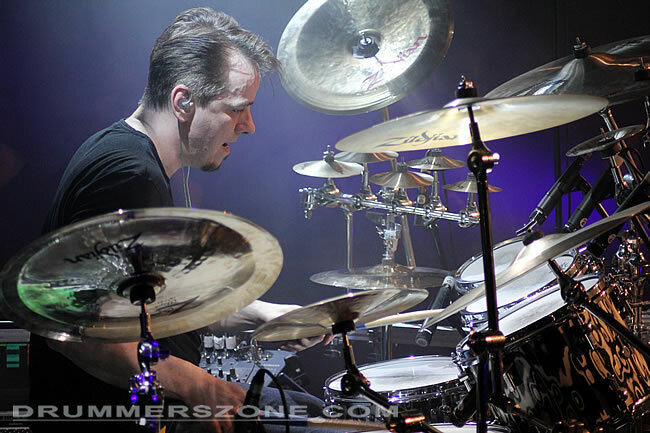 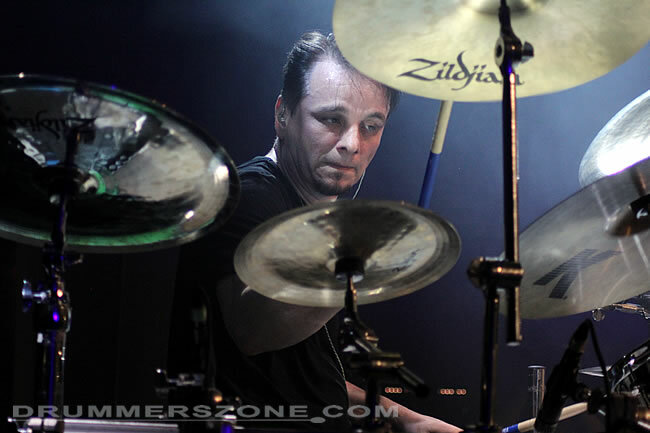 Gavin Harrison was born in Harrow, North London, in May 1963. 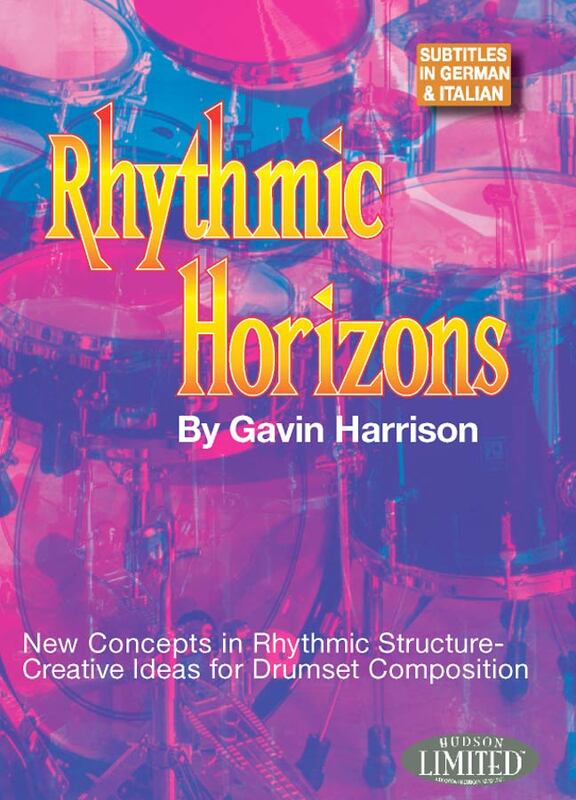 Harrison's early influences stem from his father's jazz collection. 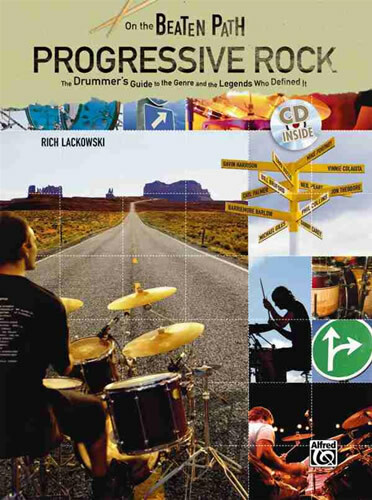 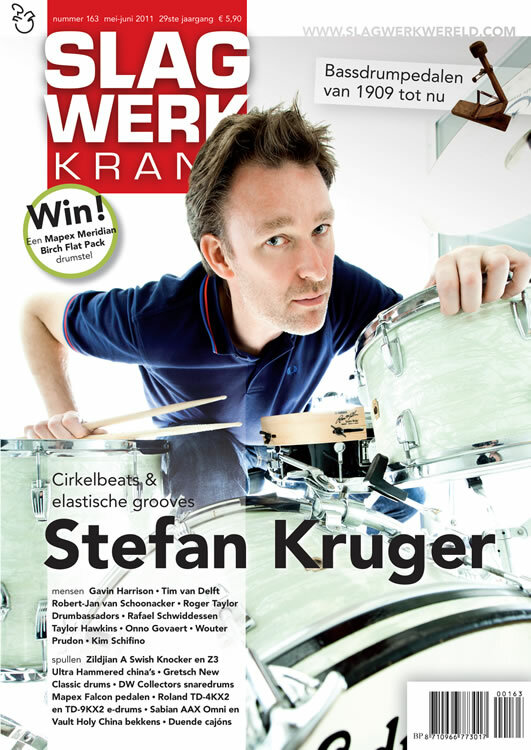 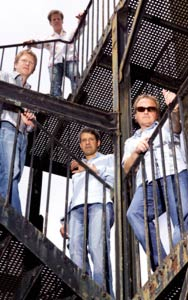 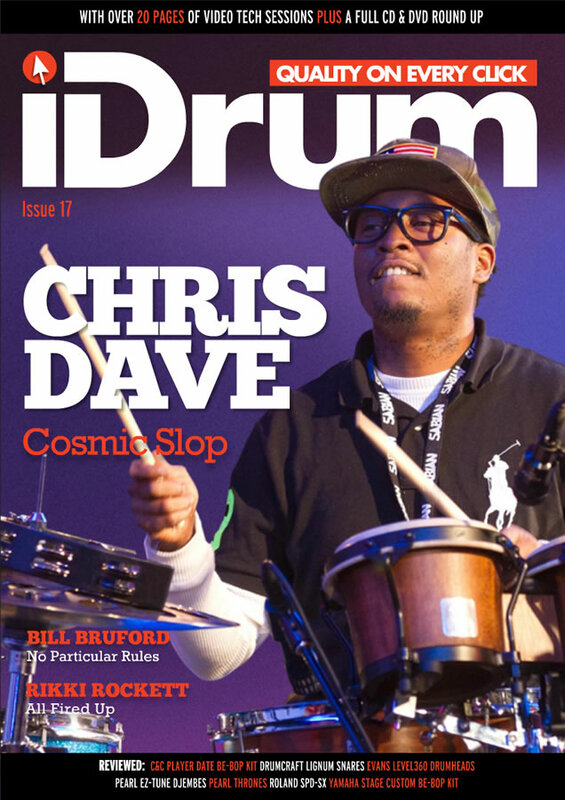 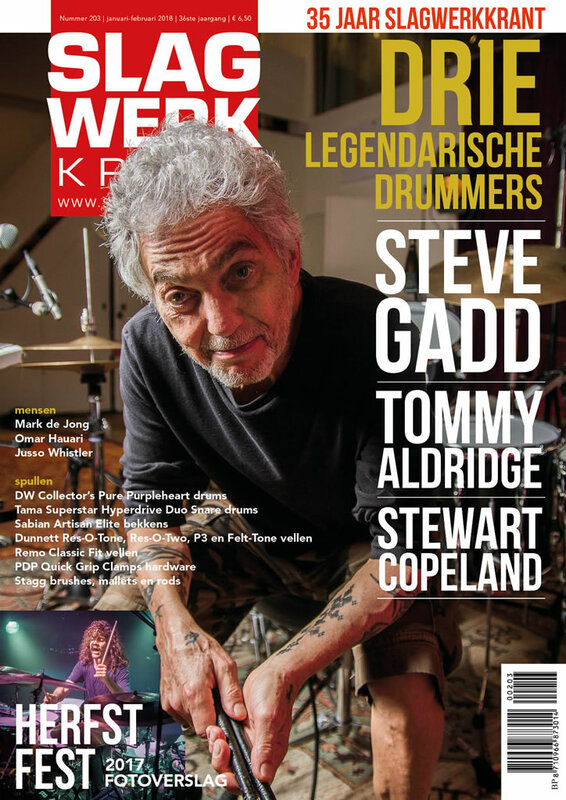 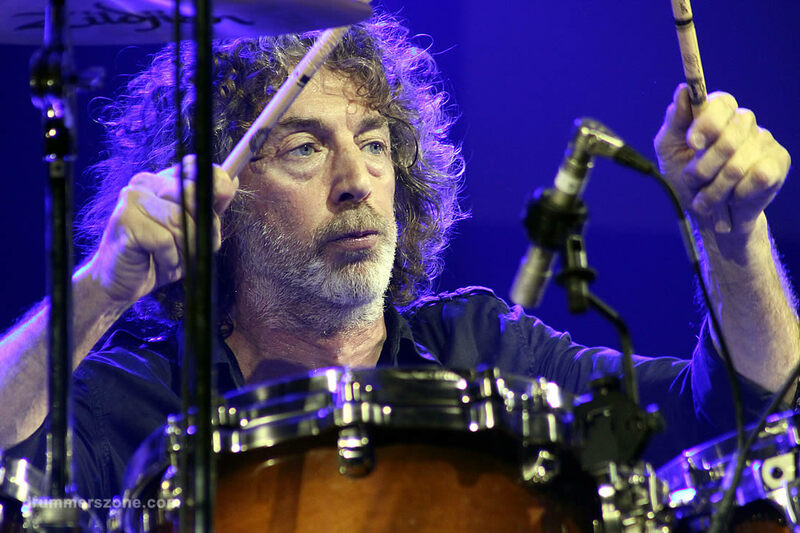 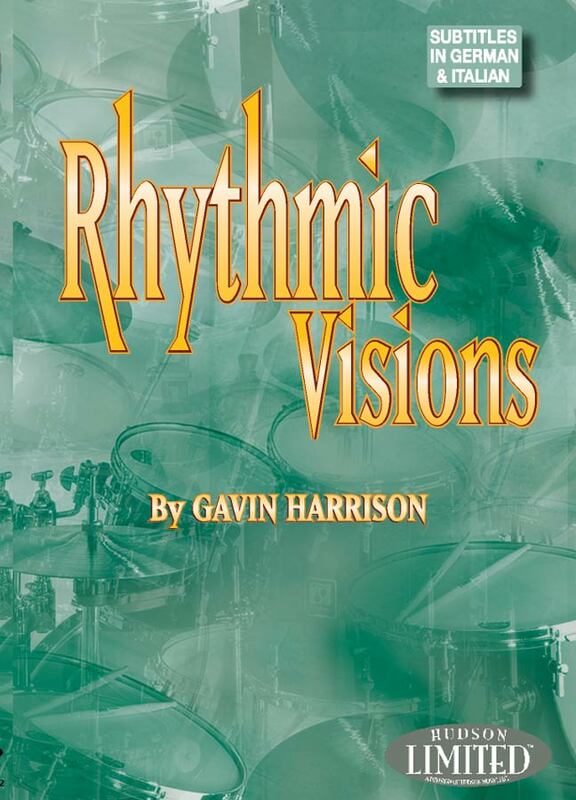 Besides playing and/or recording with Level 42, Kevin Ayers, Lisa Stansfield and Iggy Pop, Incognito, Lewis Taylor, and Artful Dodger, Harrison also released two books, Rhythmic Illusions and Rhythmic Perspectives, and two dvds. 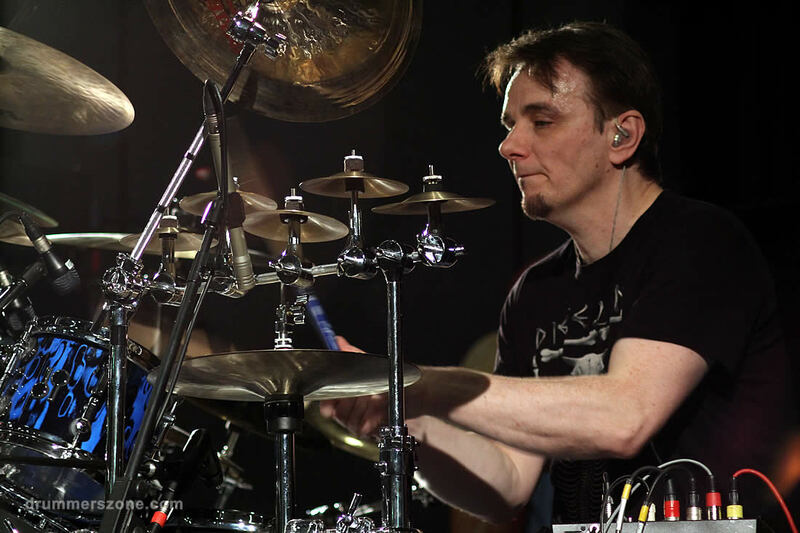 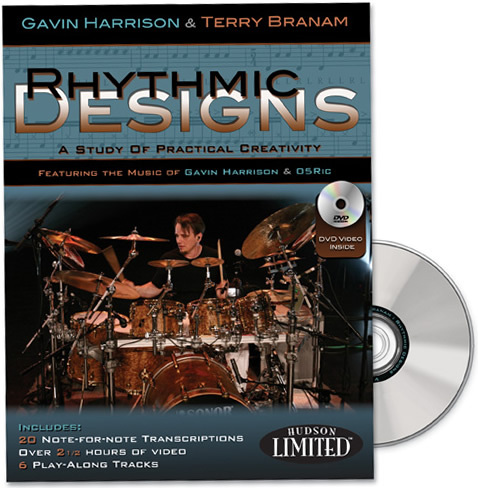 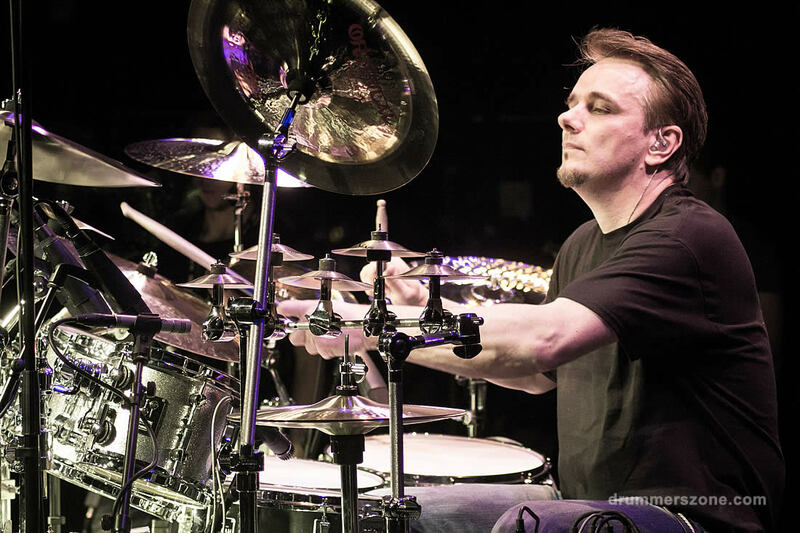 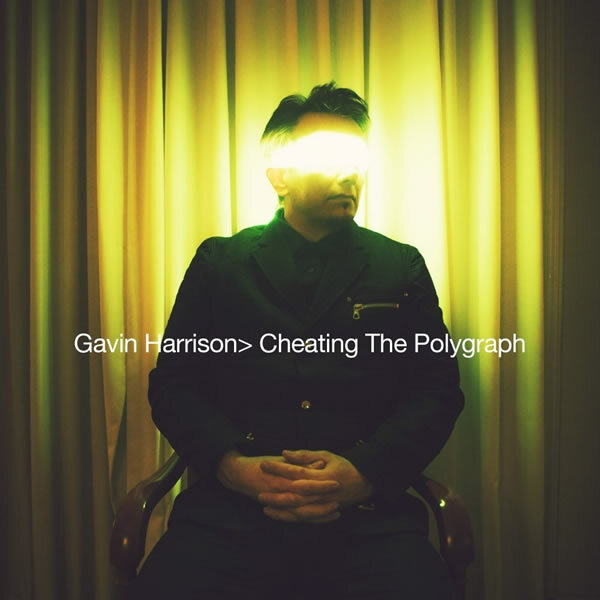 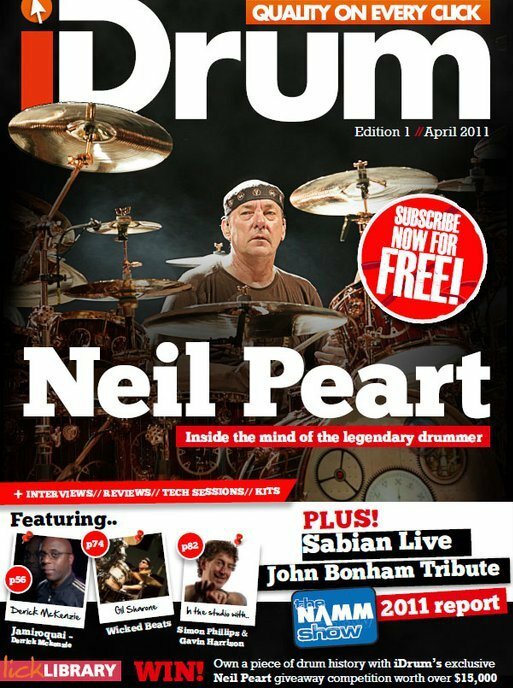 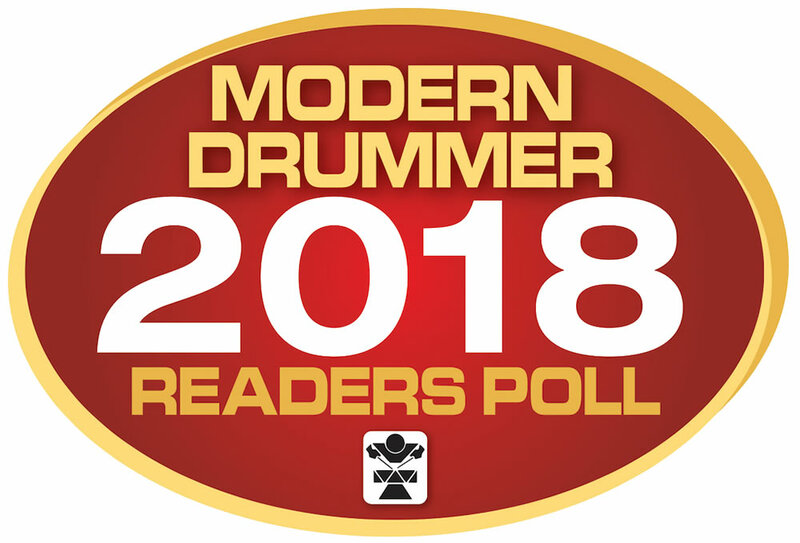 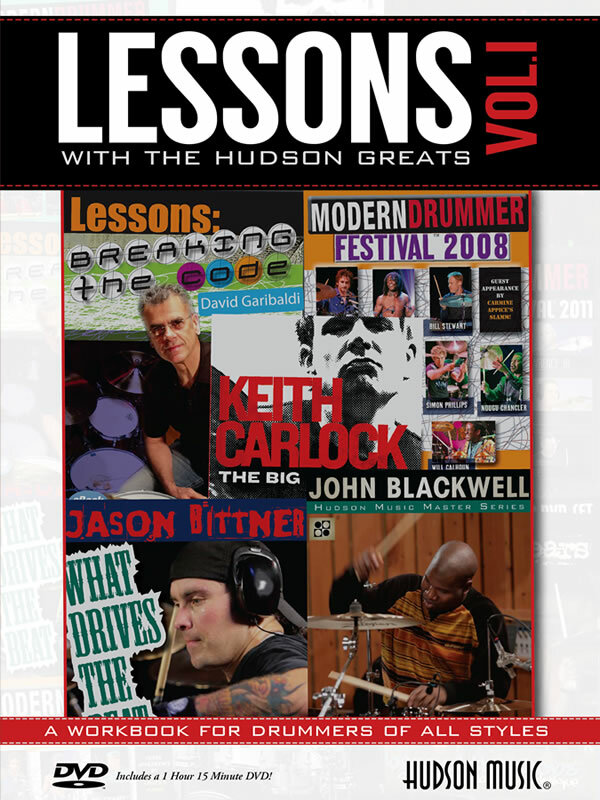 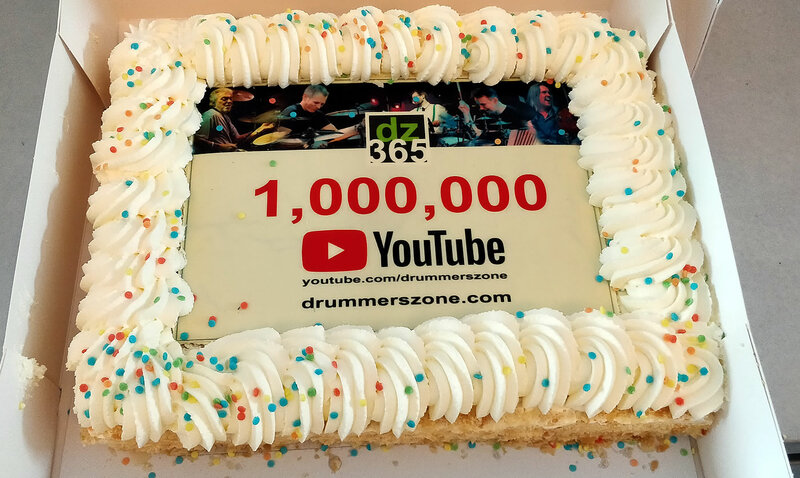 Gavin Harrison has made a mission of teaching drummers how to play polyrhythms, beat displacements, and metric modulations, which collectively will confuse the hell out of your bandmates even as you come down on the 1. 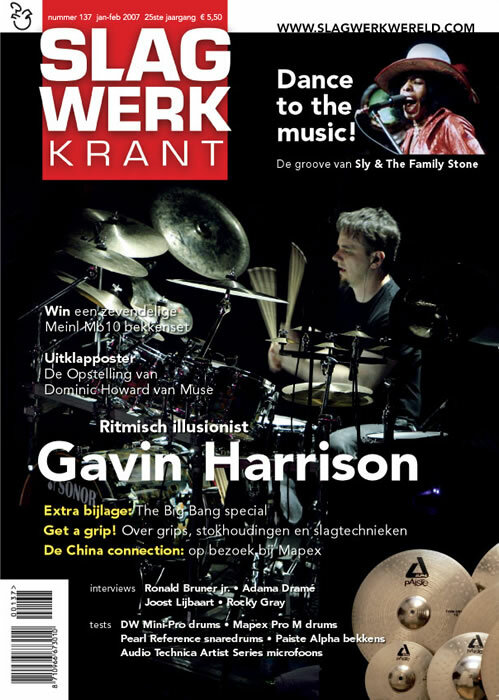 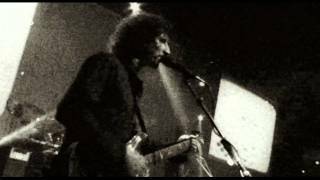 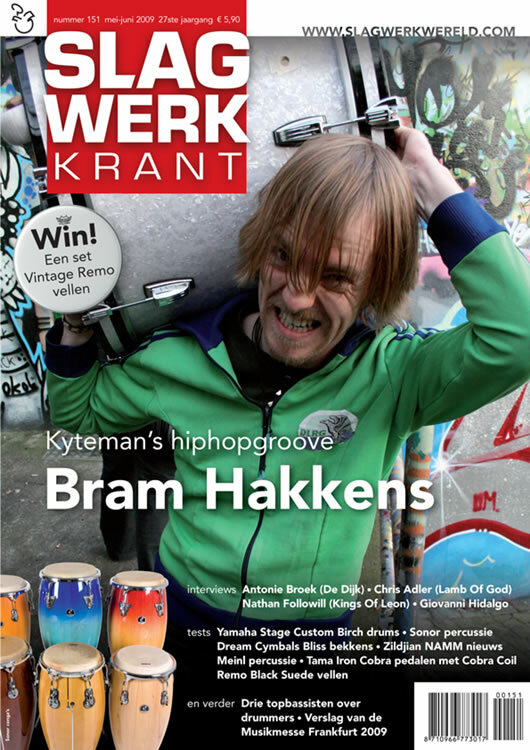 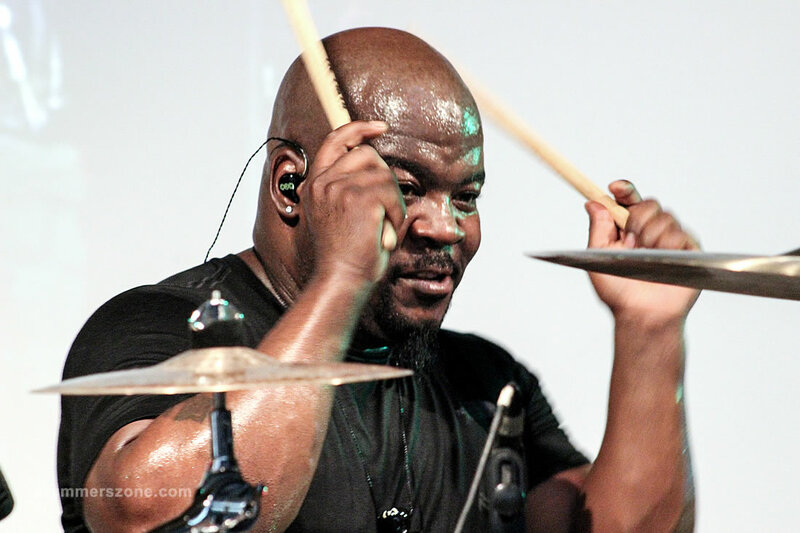 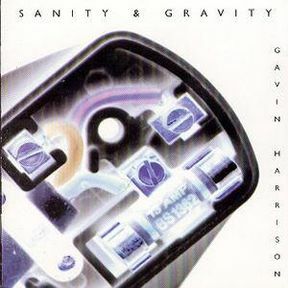 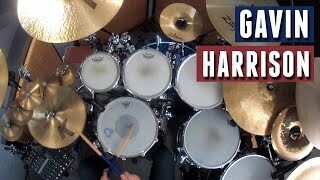 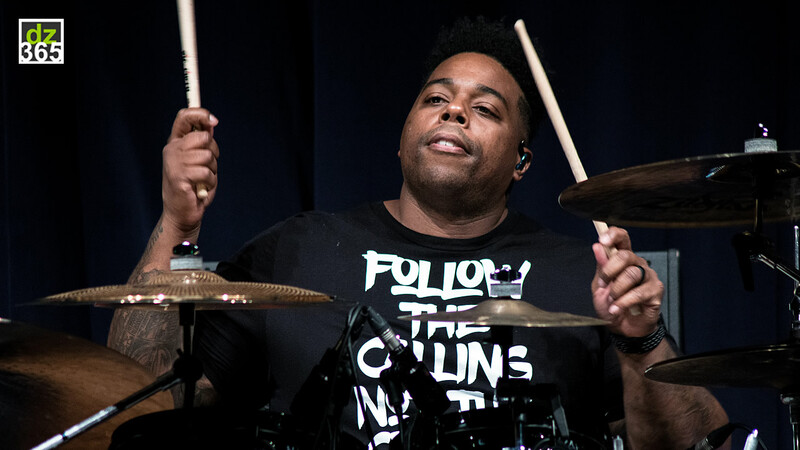 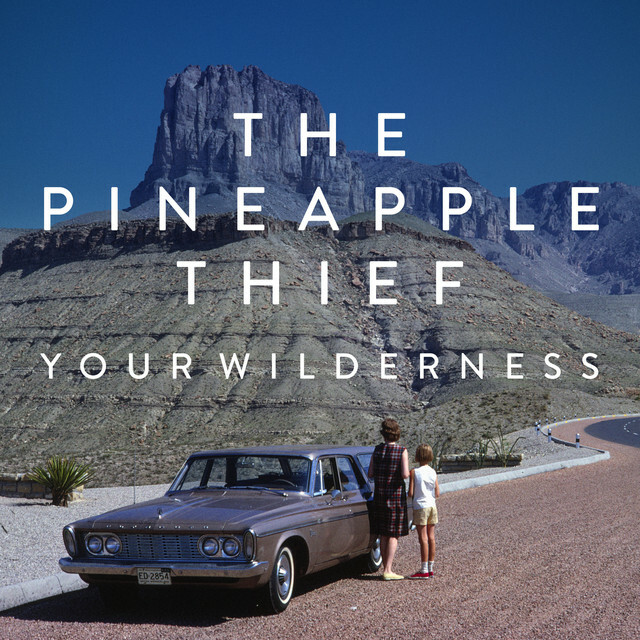 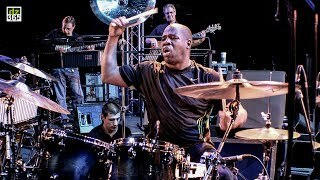 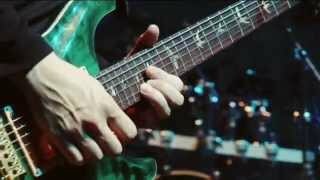 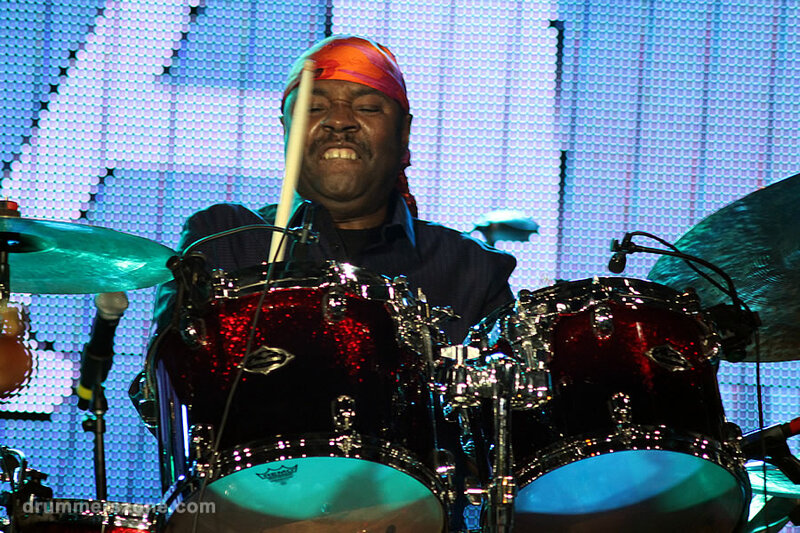 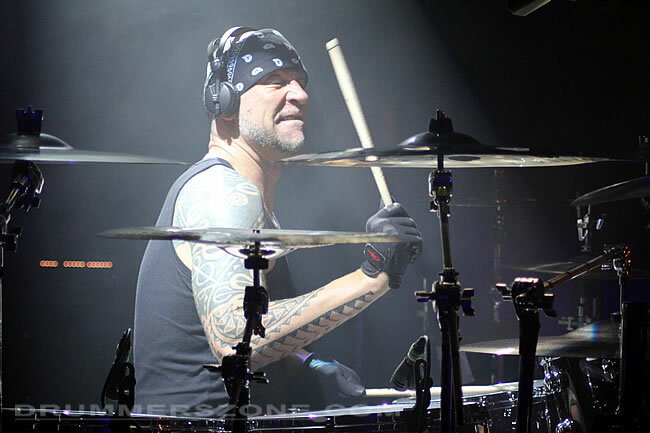 Says Harrison about his solo debut album "Sanity and Gravity": "Faced with the prospect of making a 'solo' drum album I decided I would take a more experimental approach to playing my instrument, rather than make a record of fast flashy solos and fills to try and show off my technique. 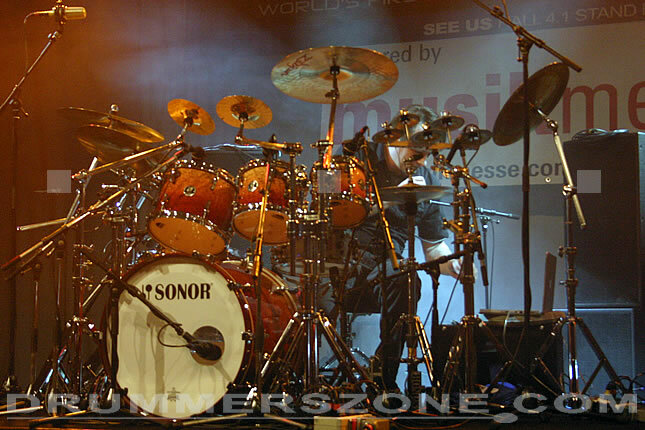 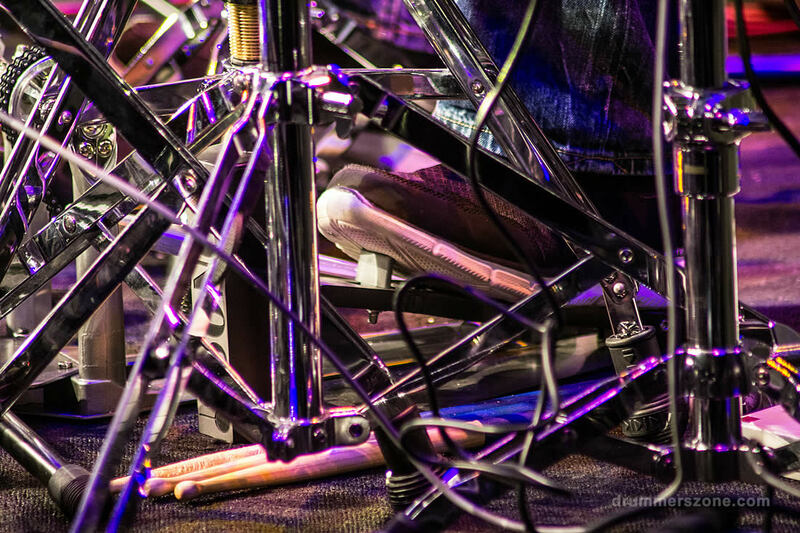 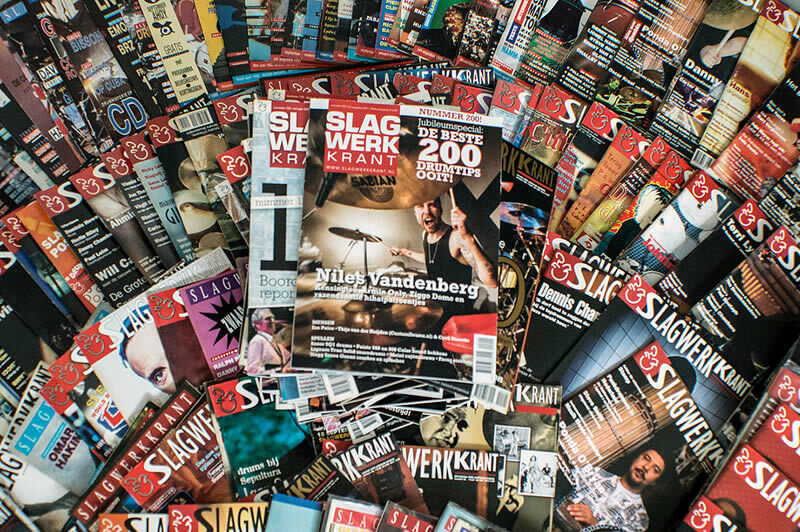 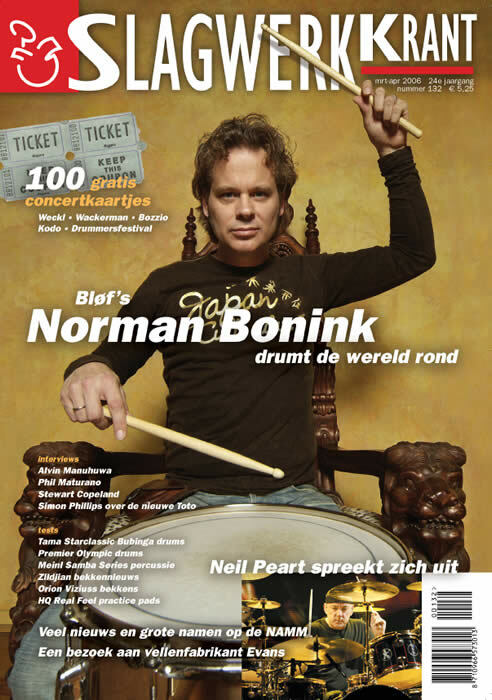 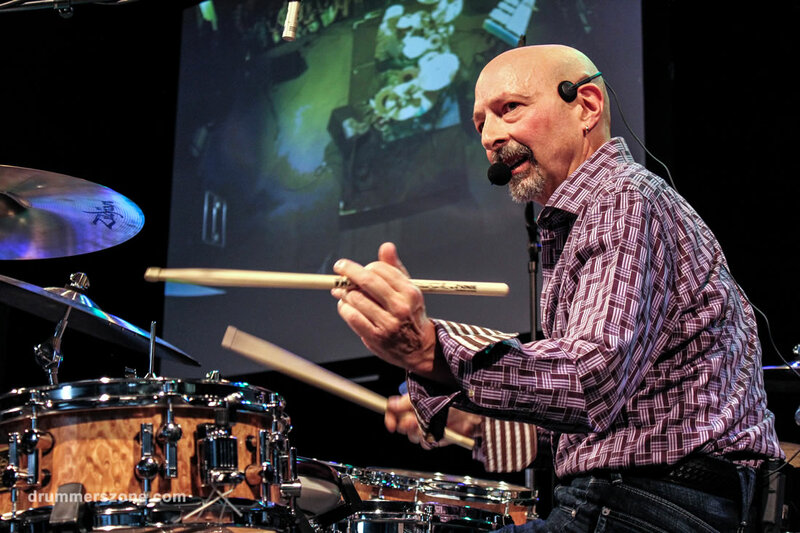 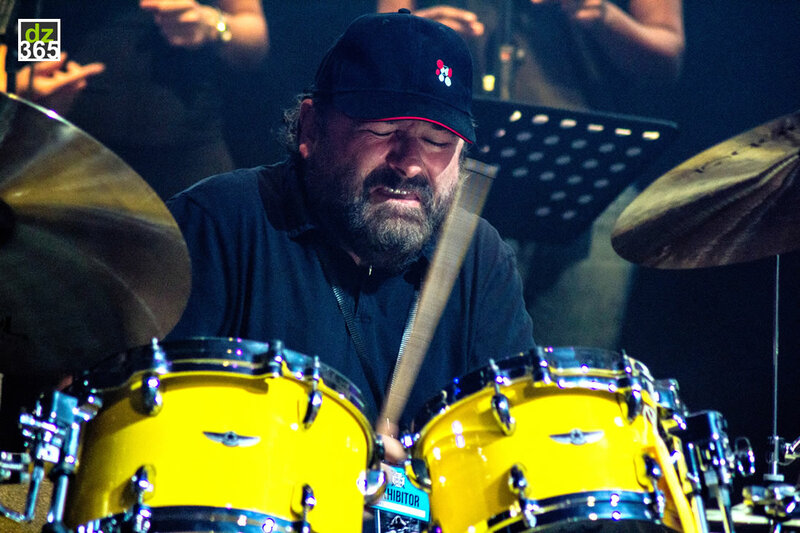 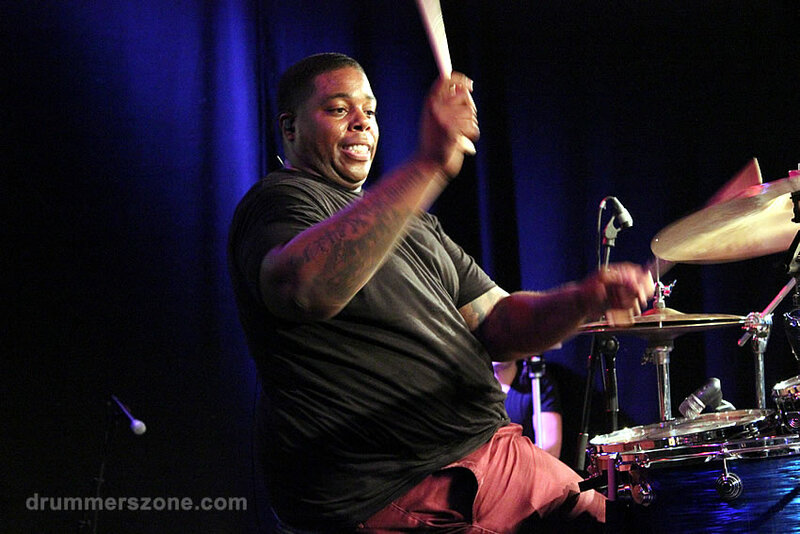 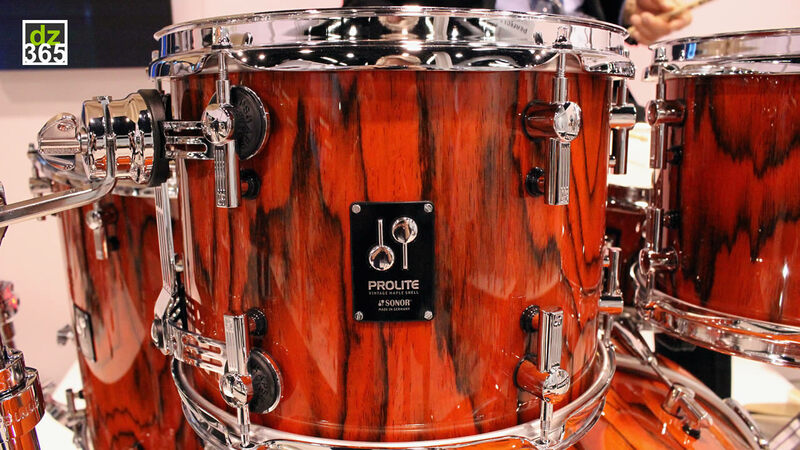 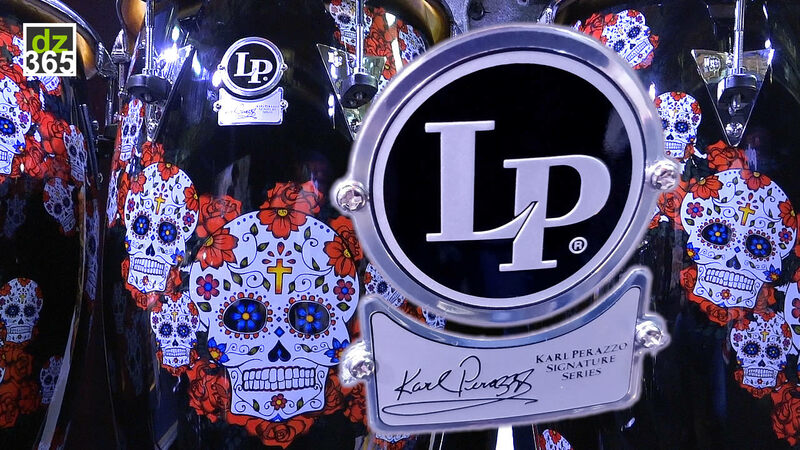 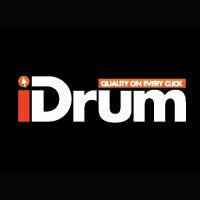 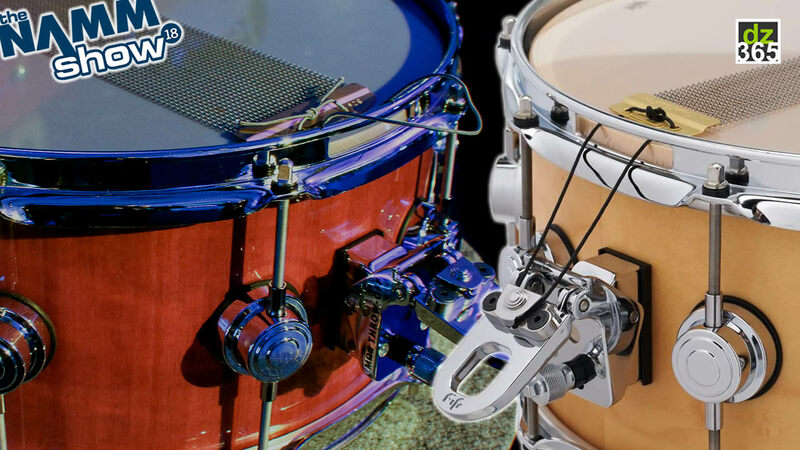 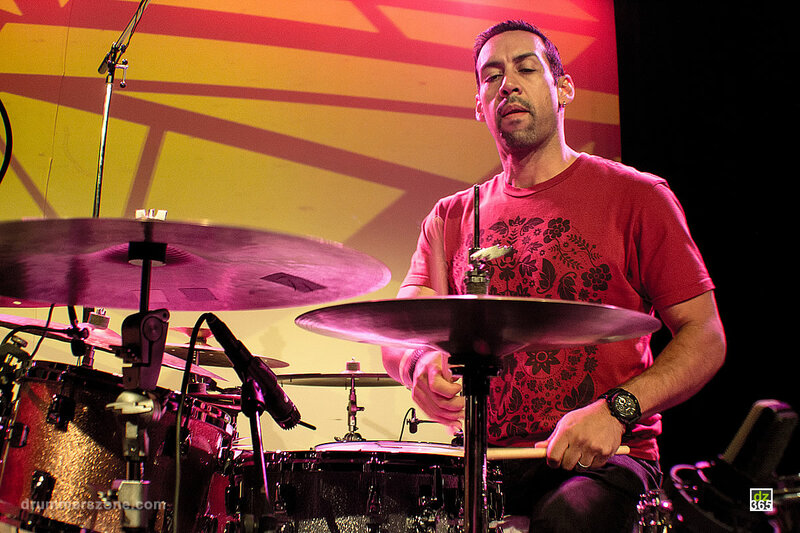 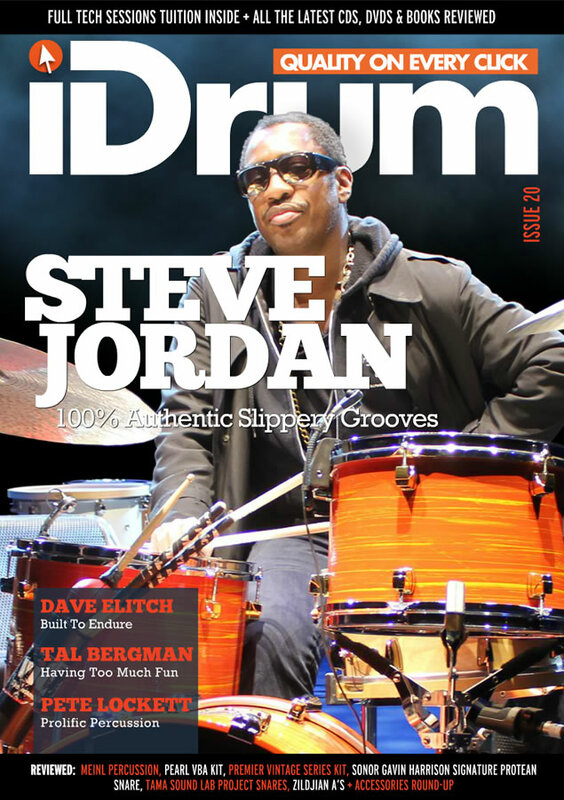 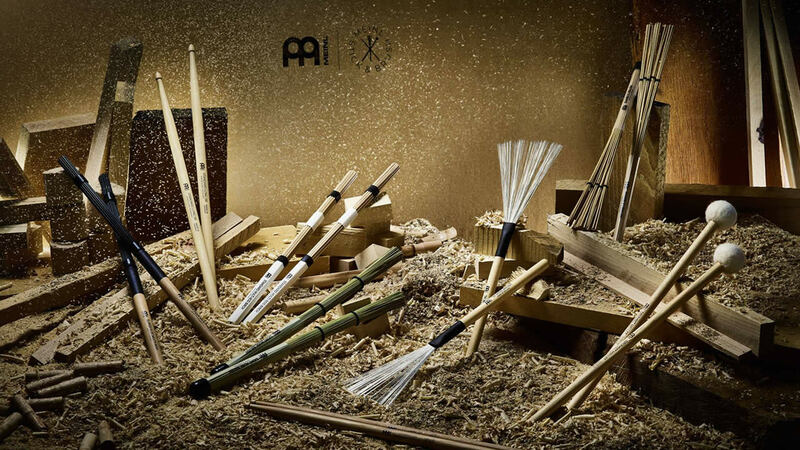 Drums traditionally have a purpose in music to supply and hold a tempo. 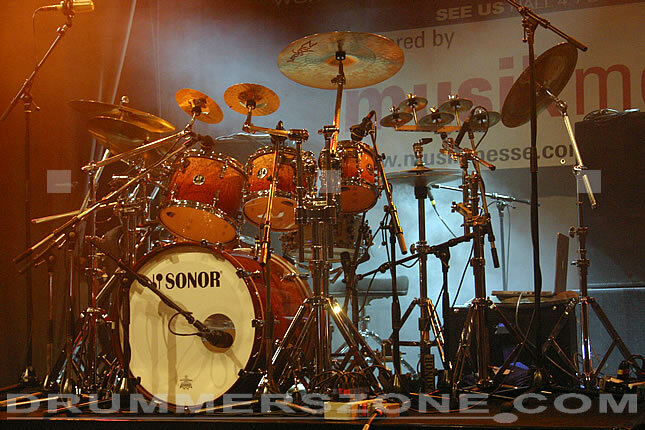 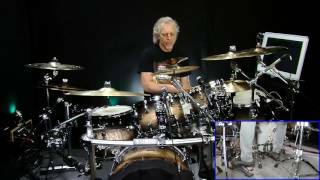 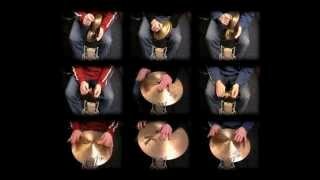 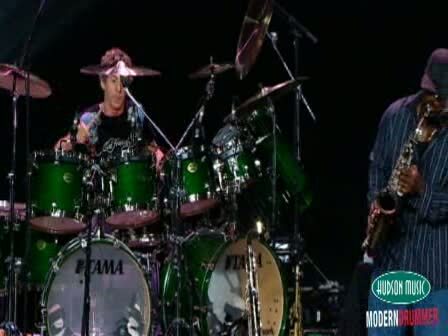 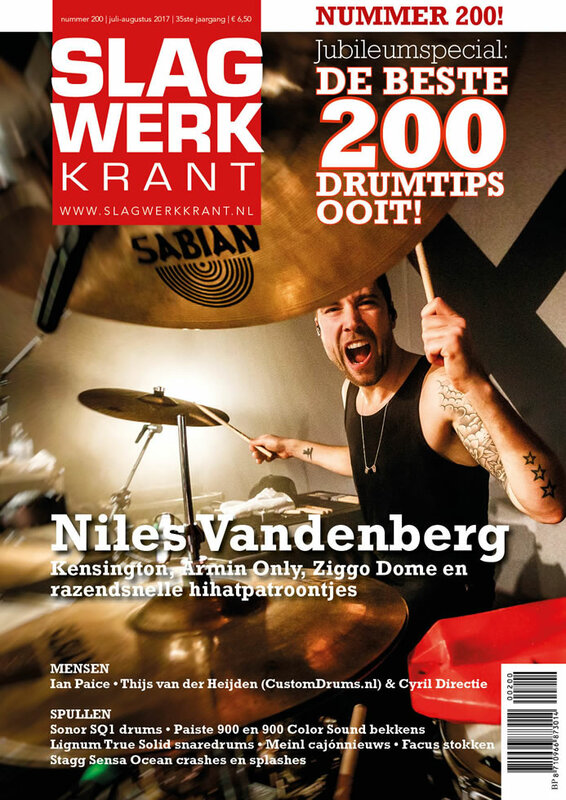 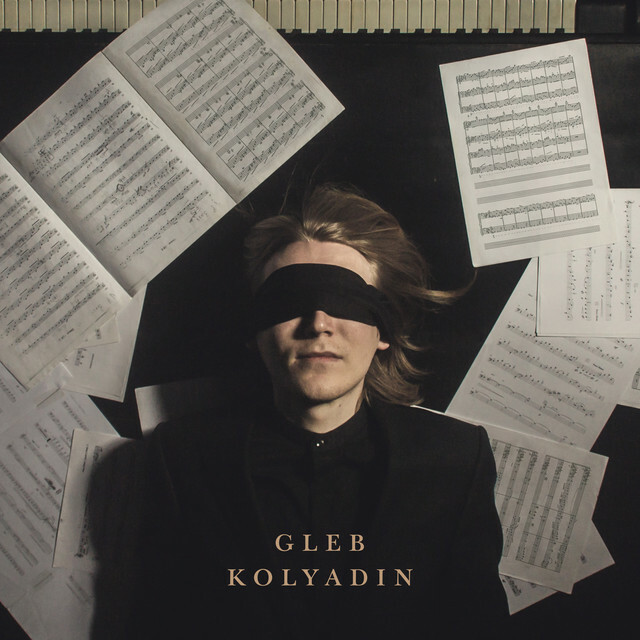 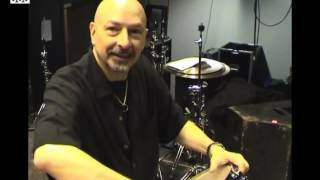 After all there isn't any really definable pitches coming out of the drumset that you would want to try to play melodies on in the normal sense. 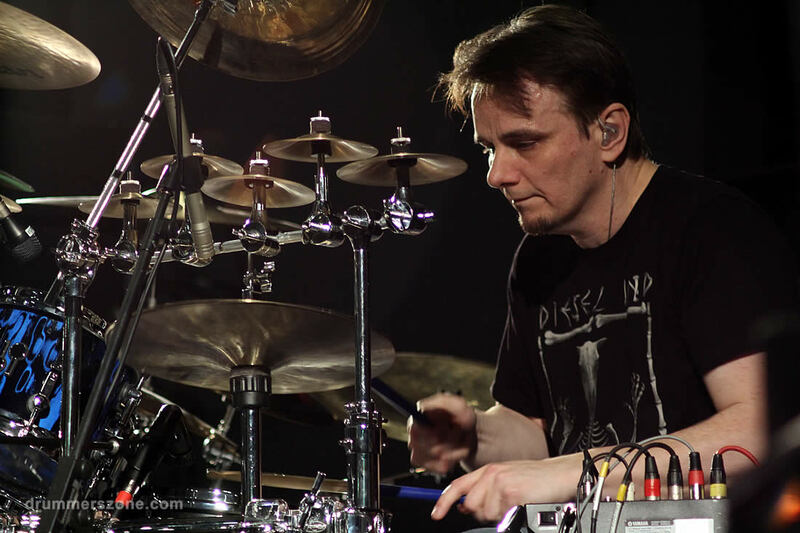 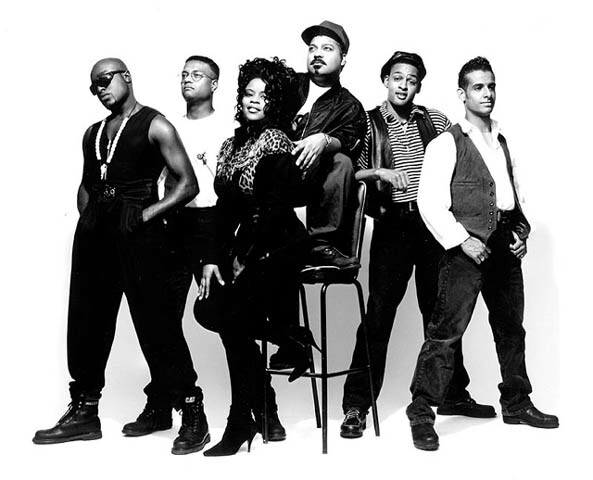 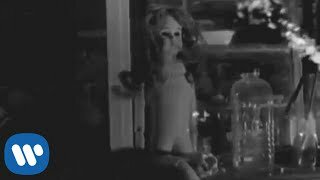 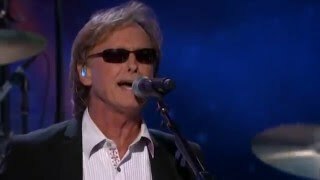 But I felt there was still a way to express emotion from the drums played with the attitude of "blowing" on a saxophone or "twiddling" around on a piano. 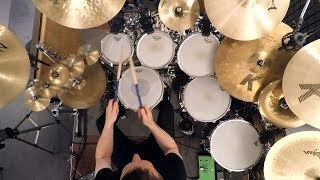 These "squiggle" pieces or sections (as I call them) would start with me recording the drums on their own without any pre- defined tune, arrangement, or tempo. 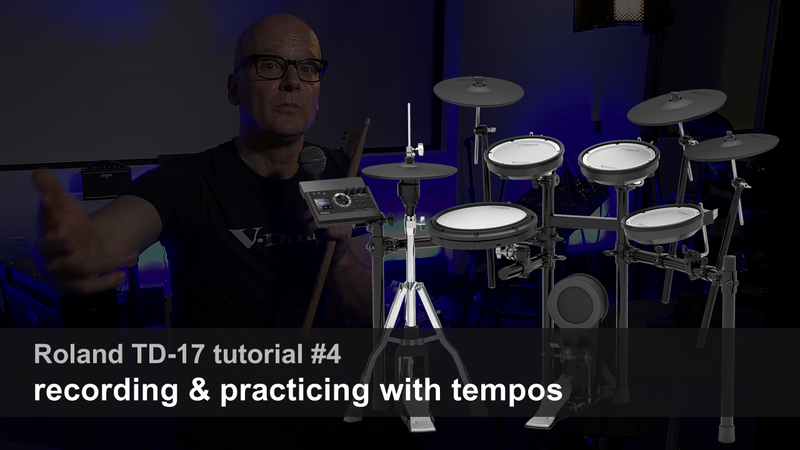 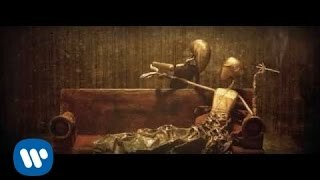 The only thing I would have as a guide would be the engineer signaling to me how many minutes had past because I couldn't really tell how much time was passing whilst I was in this "liquid" state of mind. 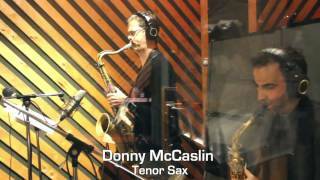 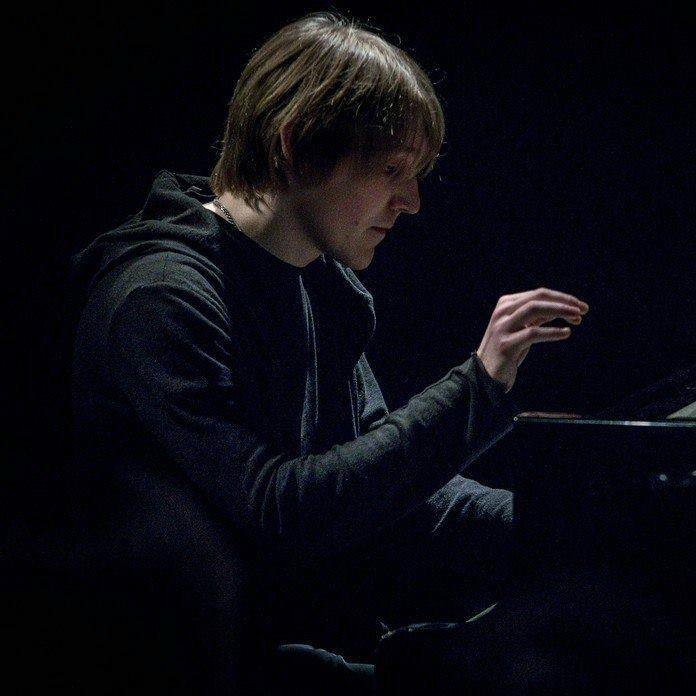 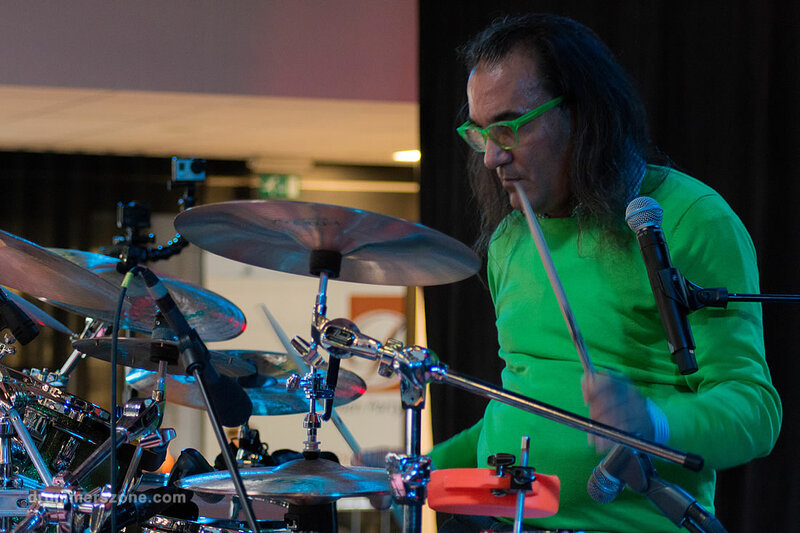 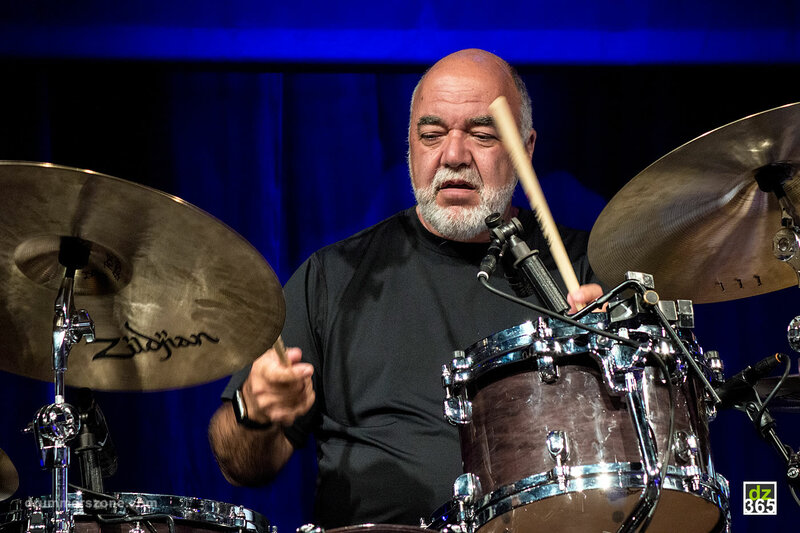 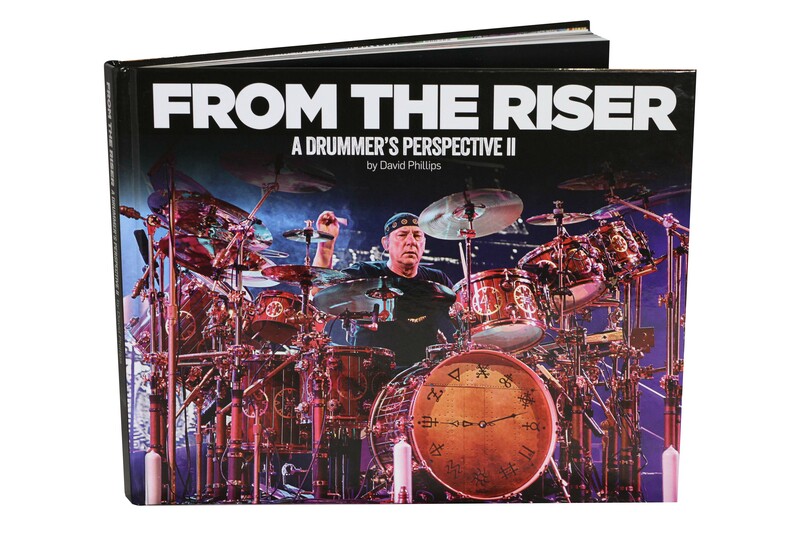 Of course listening back, many of the pieces turned out to be just too random for me - but there were some - that I felt had a good balance compositionaly between playing time and playing expressively "out there in space" on the drums. 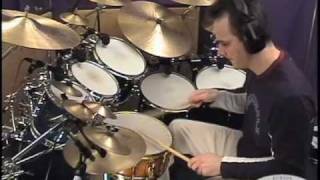 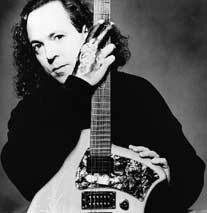 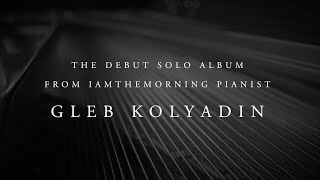 These pieces would then form the basis of a new composition with which the brilliant keyboardist Gary Sanctuary would "react" with and overdub to. 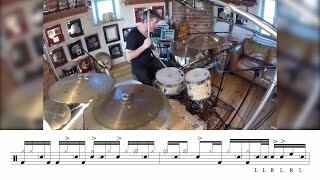 Dave Stewart (Eurythmics) did an equally great thing as a " drum and piano solo " section in a piece called "Big News For A Small Day".So we ended up with tunes where (in certain sections) the drums were the "leading" voice (in a kind of melodic but non solo way) and the rest of the composition was built up around the original drum performance - as tempo based or random as that was! 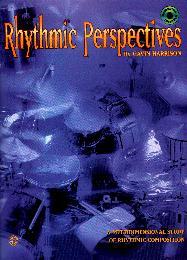 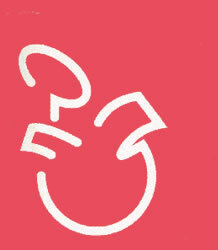 Other, more groove based tunes started life as "jams" between Mick Karn, Gary Sanctuary and myself. 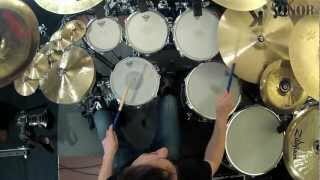 I wanted to try and find some more alternative stranger types of groove. 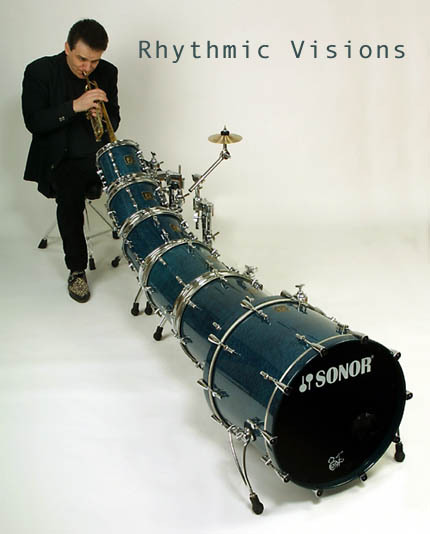 Then other musicians would come and play on top / underneath / or around the various rhythms and "squiggles" (when they occurred) and I would have chance to edit their collective performances into a kind of "collage" procedure."